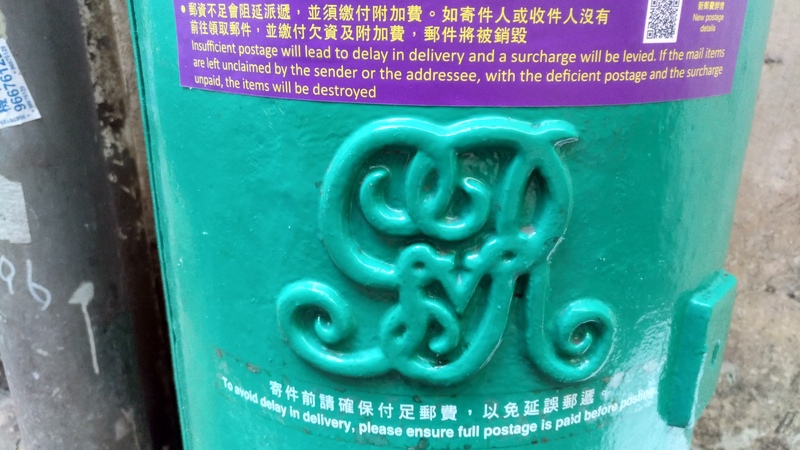 香港圓柱型 | "組織搜索隊 , 到可能地區 , 作徹底搜尋。" 香港圓柱型 – "組織搜索隊 , 到可能地區 , 作徹底搜尋。"
JoeJoe隊員目測報告: 油漆顏色良好,頂部油漆有零碎小部分脫色, 郵筒左側手工差 底部紫色油漆染上了綠色油漆, 整體而言,不錯. 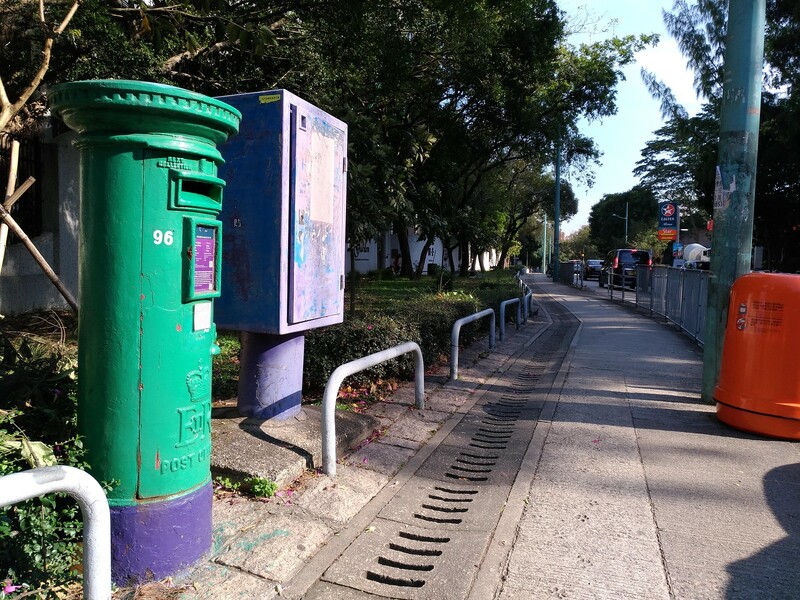 隊友通訊: 搜索隊記錄為全體成員所有(實情我更想說全人類), 並非隊長獨享. 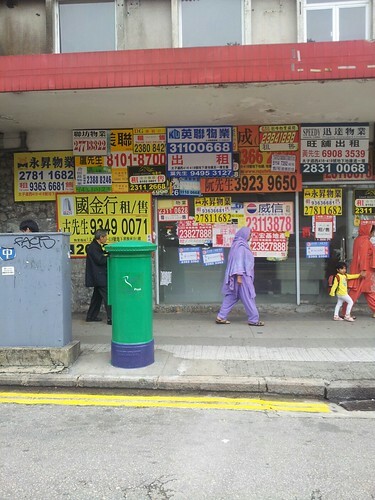 隊員所呈交之記錄(包括由隊長代製之collage, gif 及補充資料等), 該隊員本人當然可自由隨意於自己的facebook, xanga, blog等使用, 複製, 轉載. 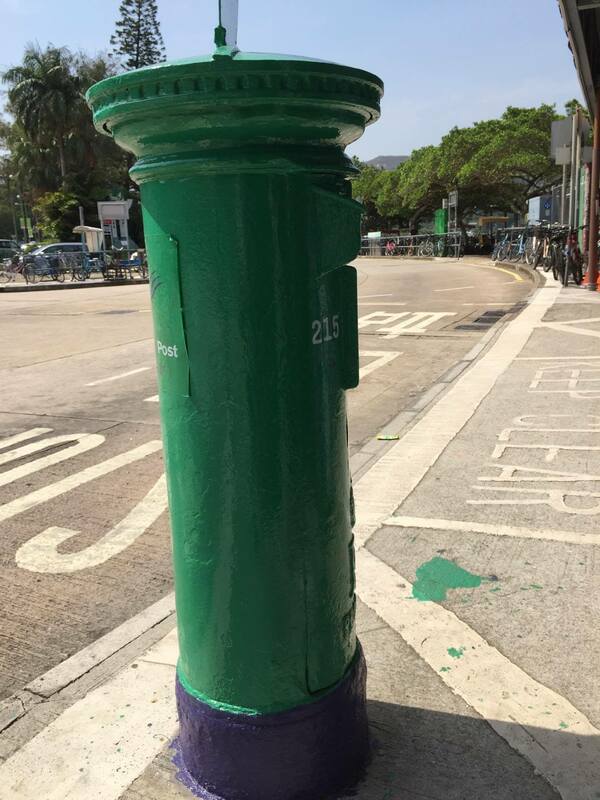 由隊長呈交之記錄, 資料, 相片等, 隊員亦可自由如上使用, 無任歡迎也. 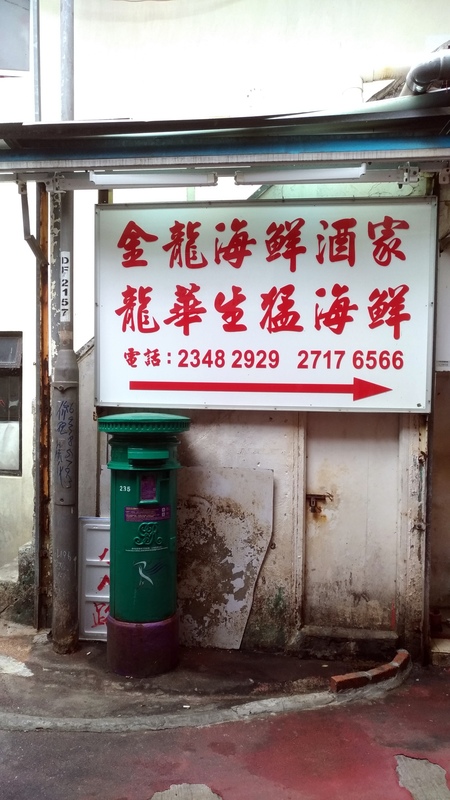 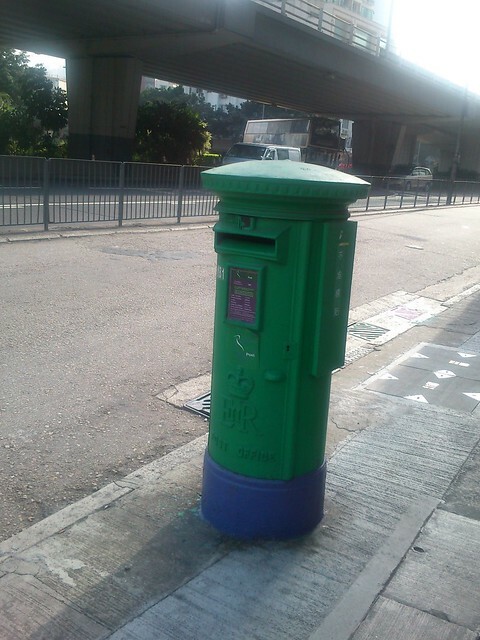 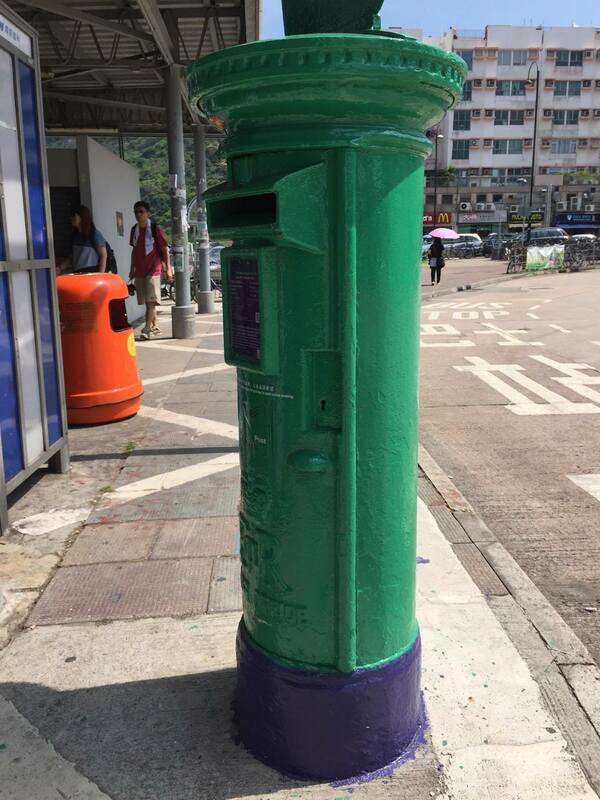 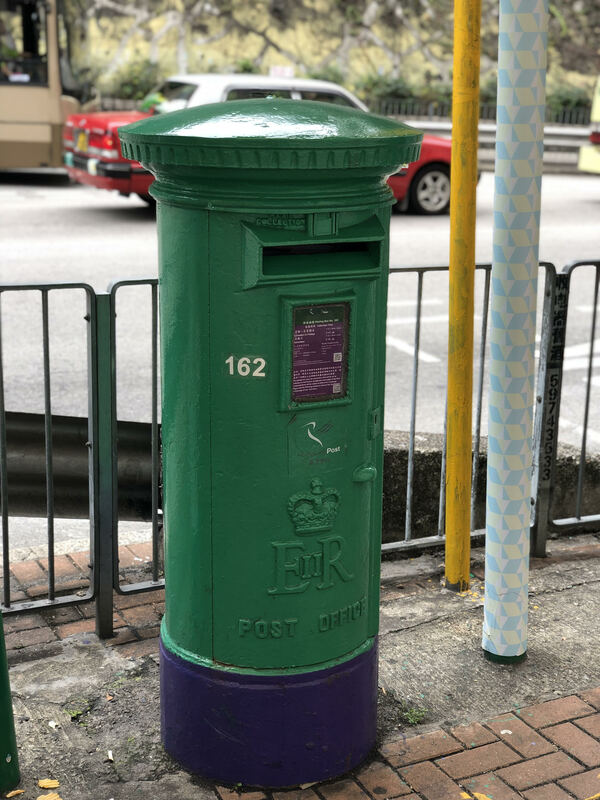 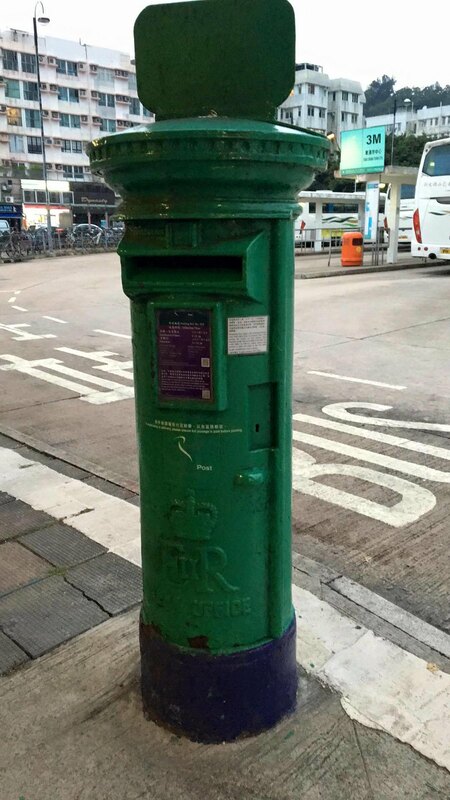 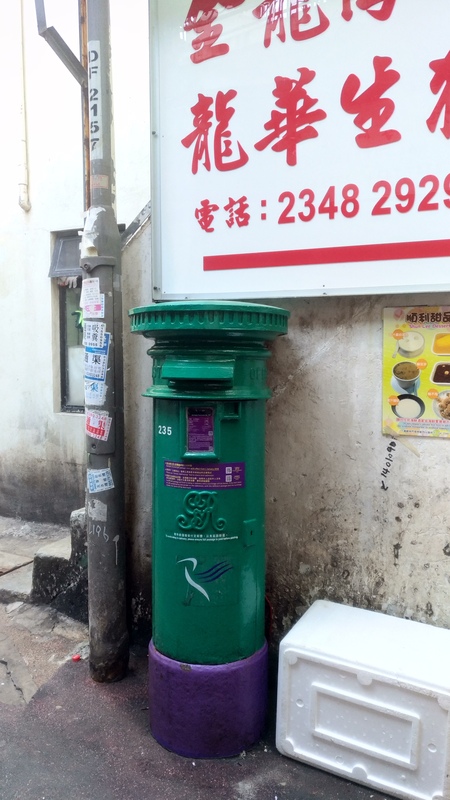 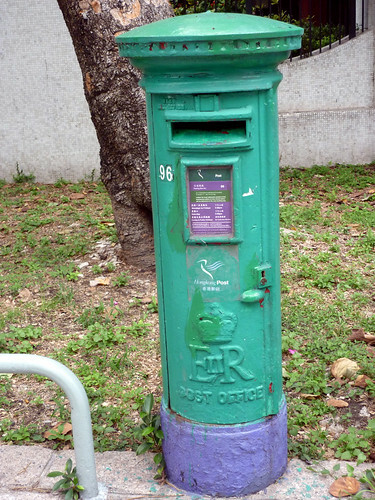 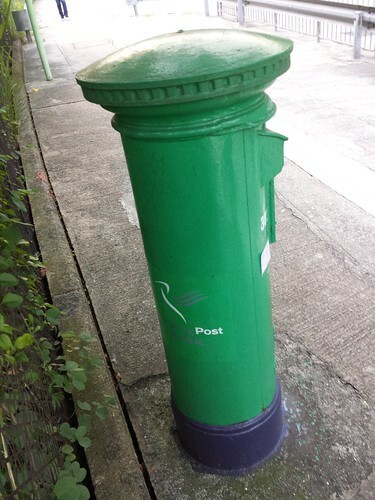 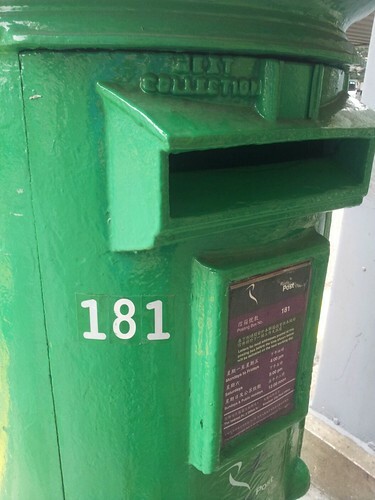 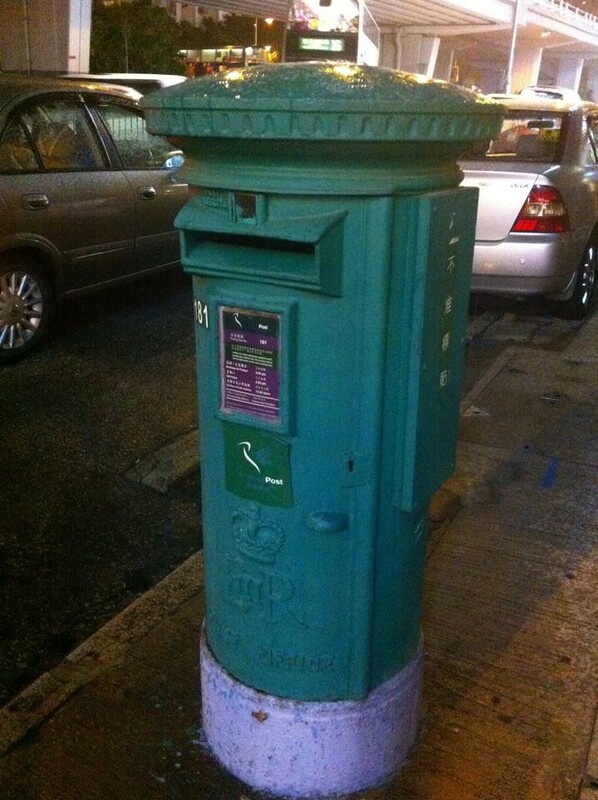 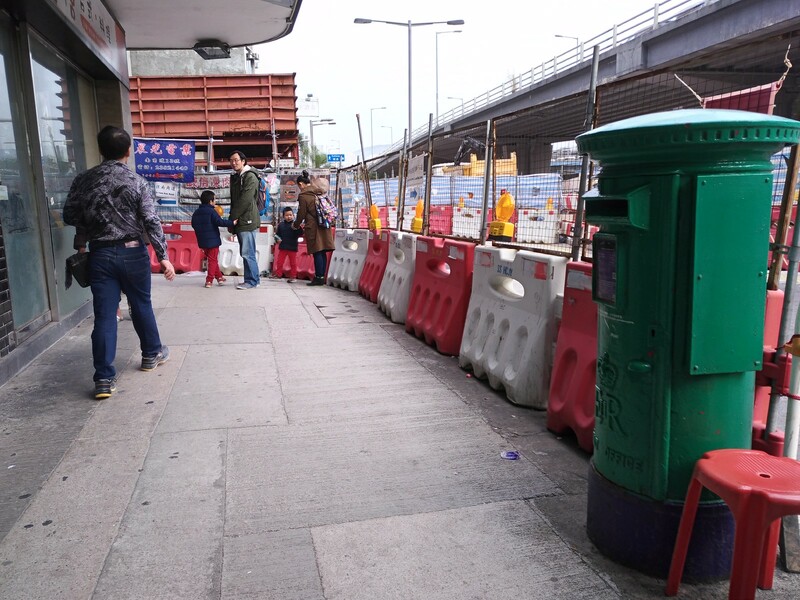 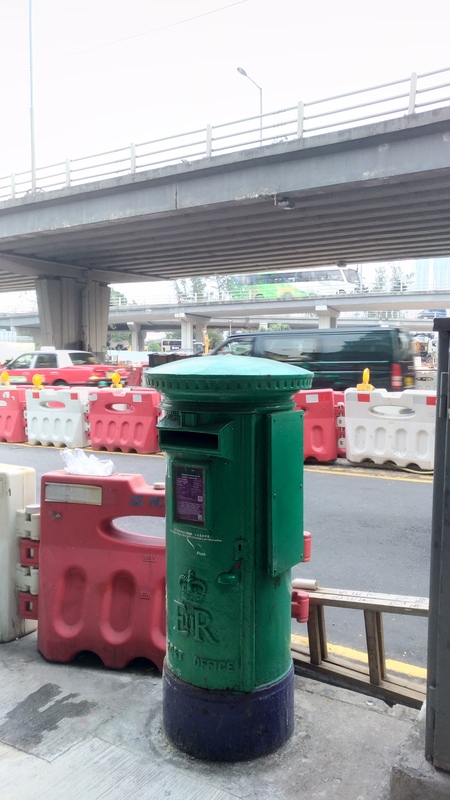 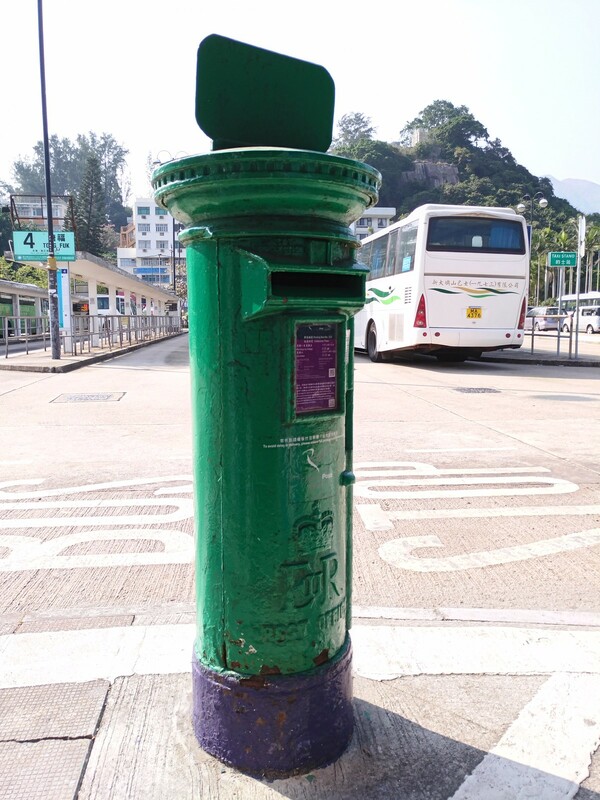 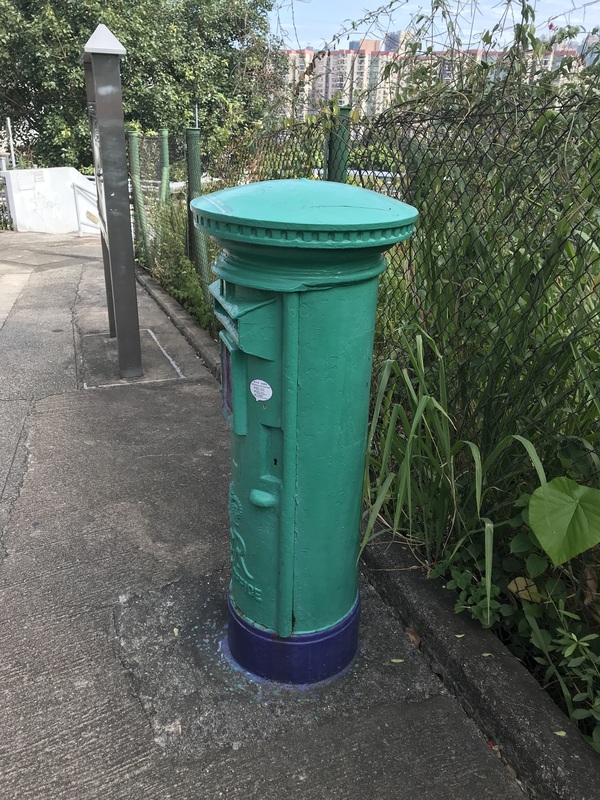 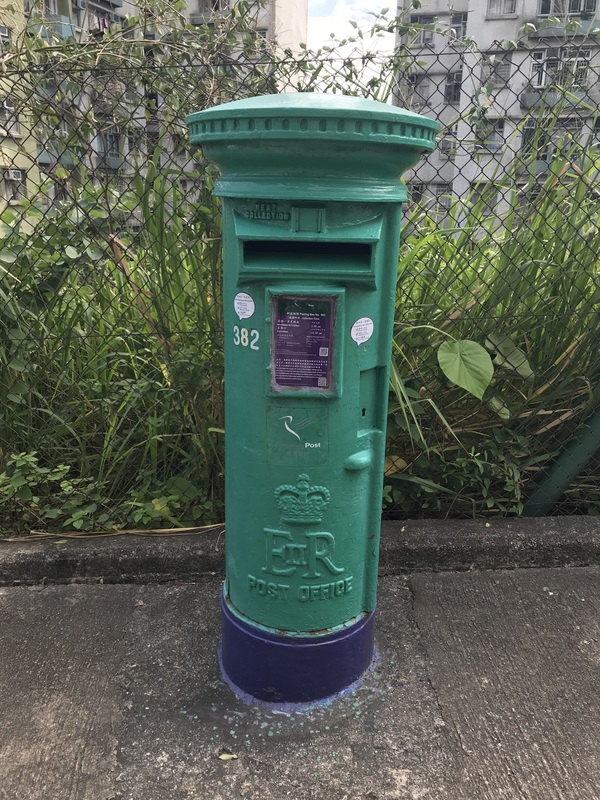 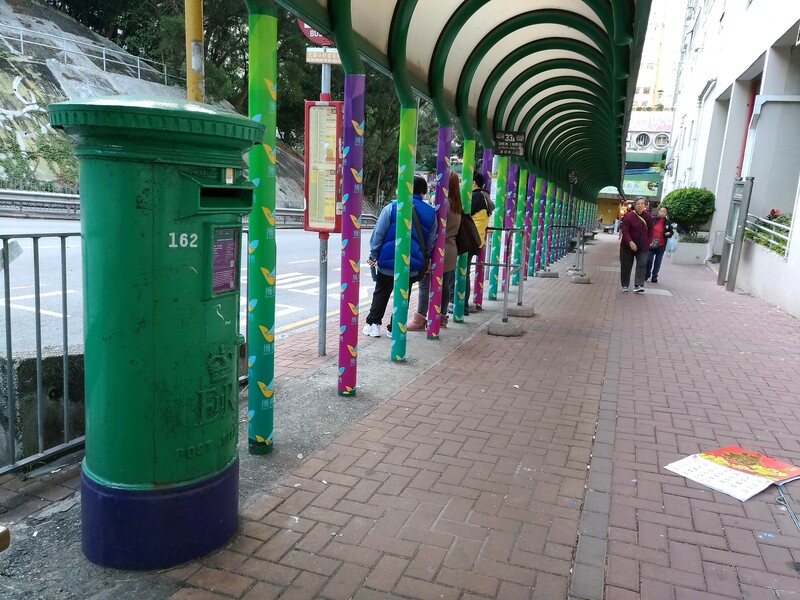 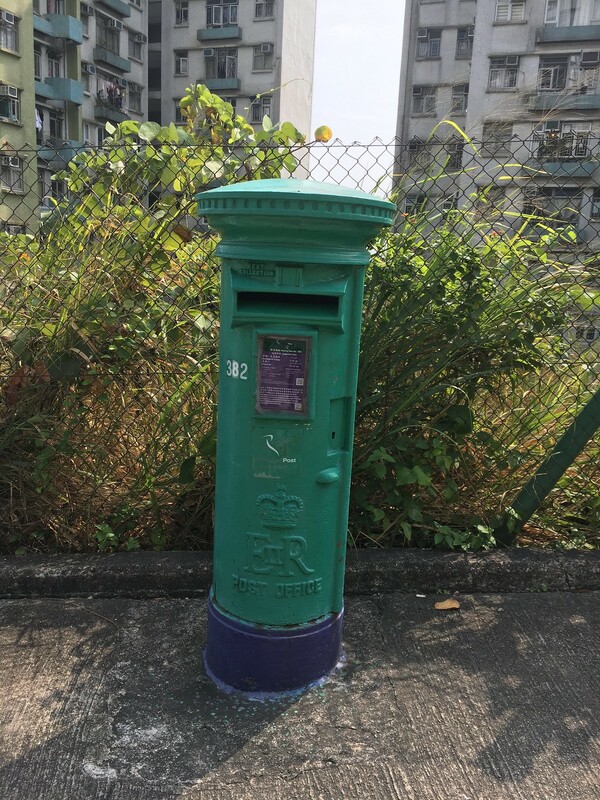 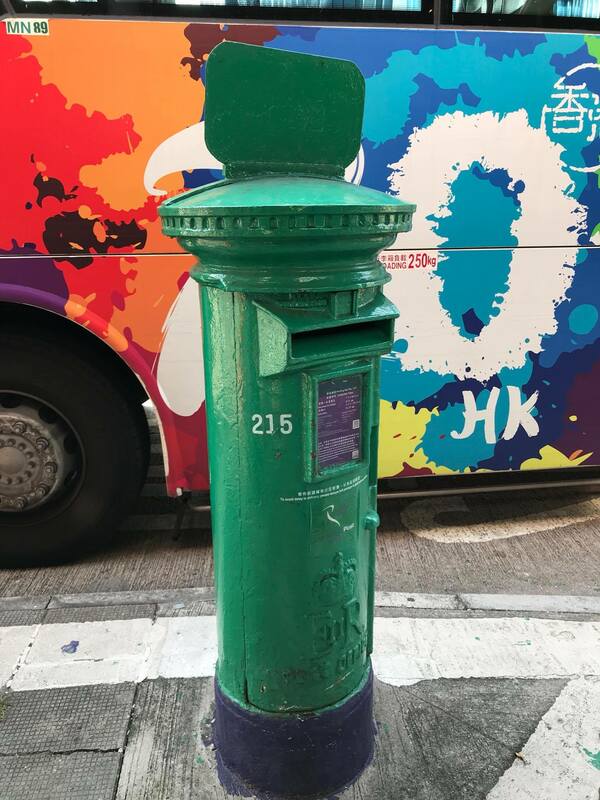 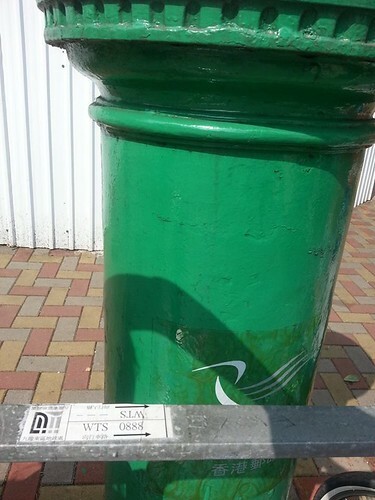 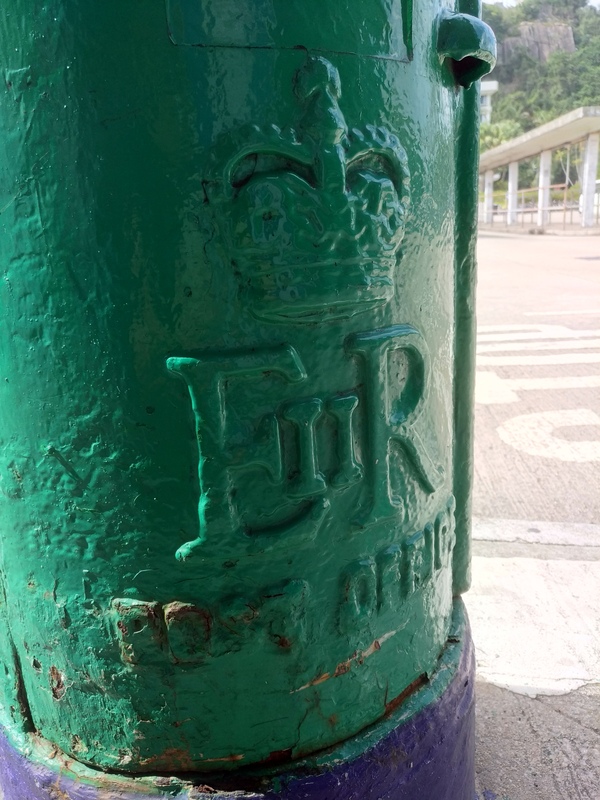 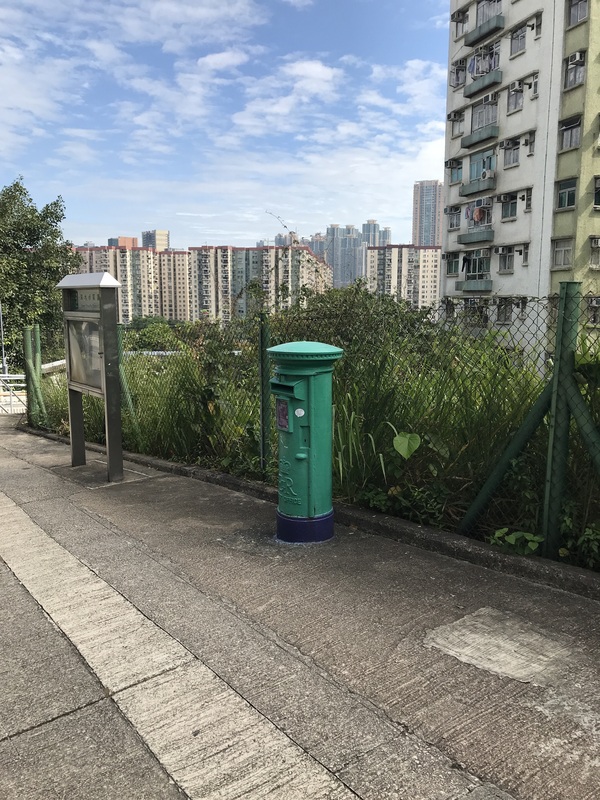 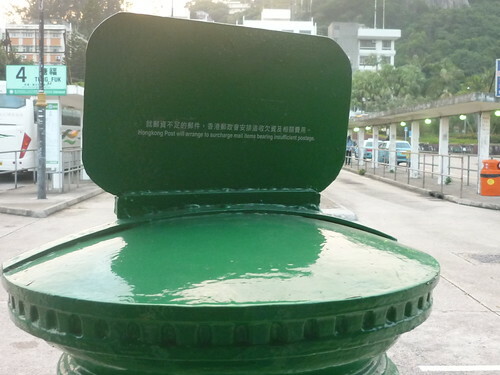 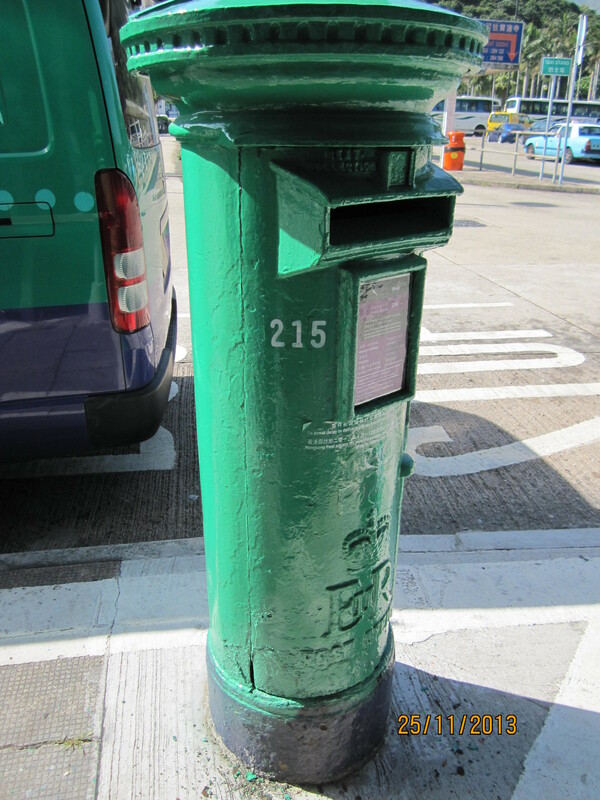 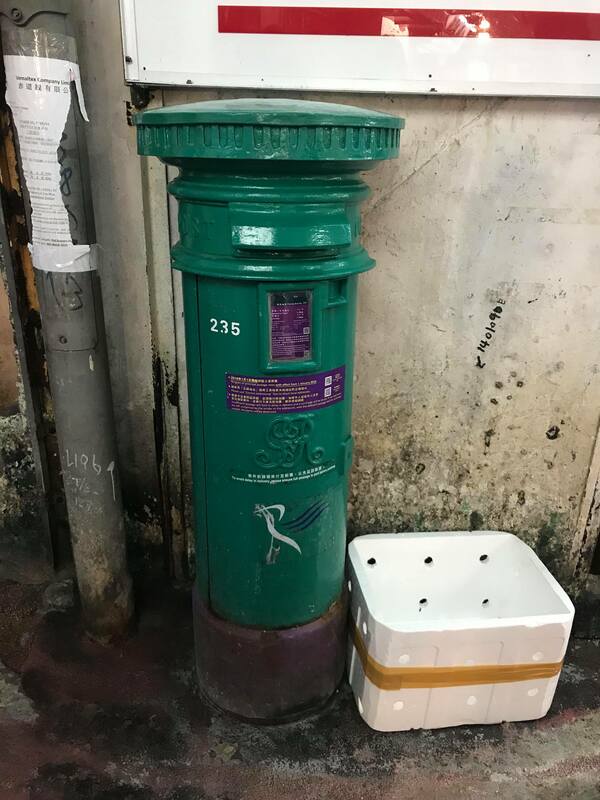 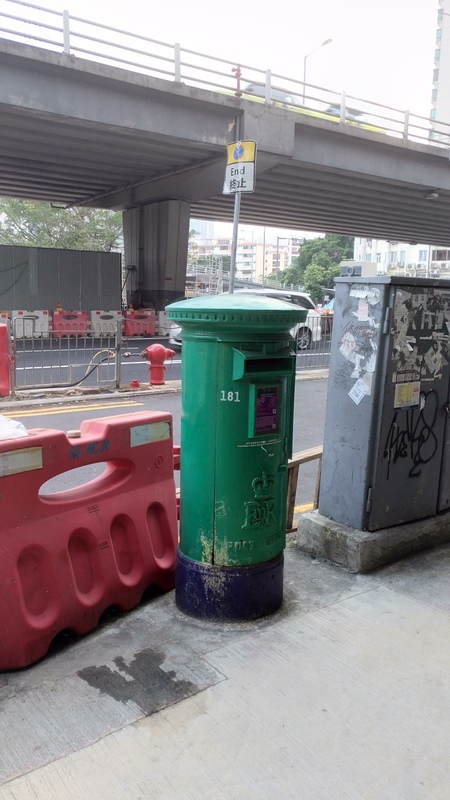 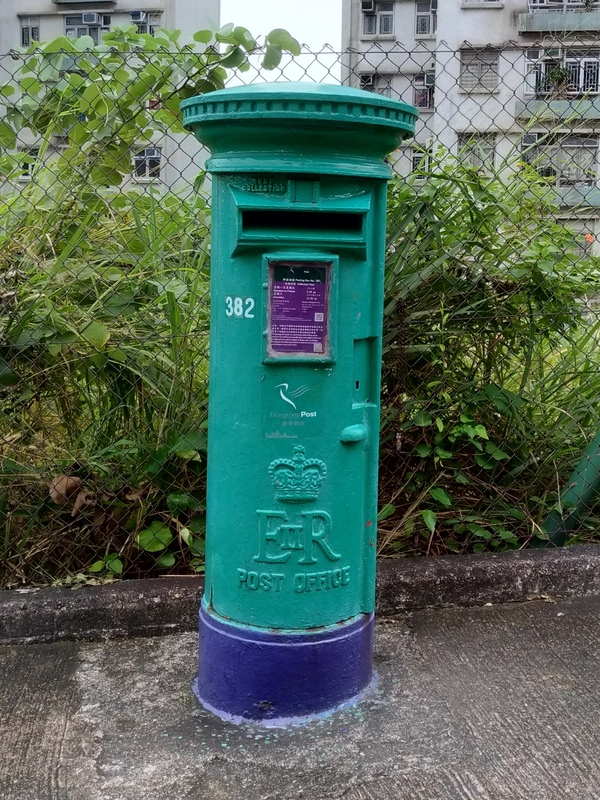 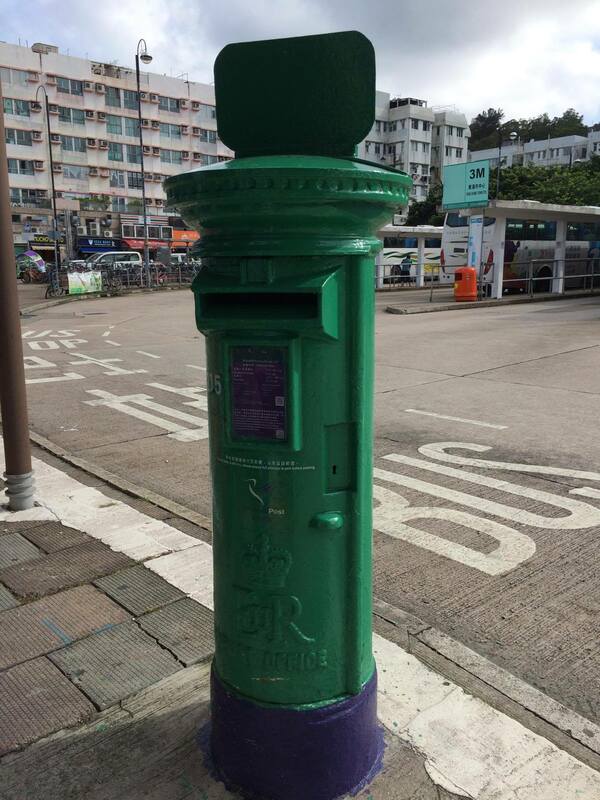 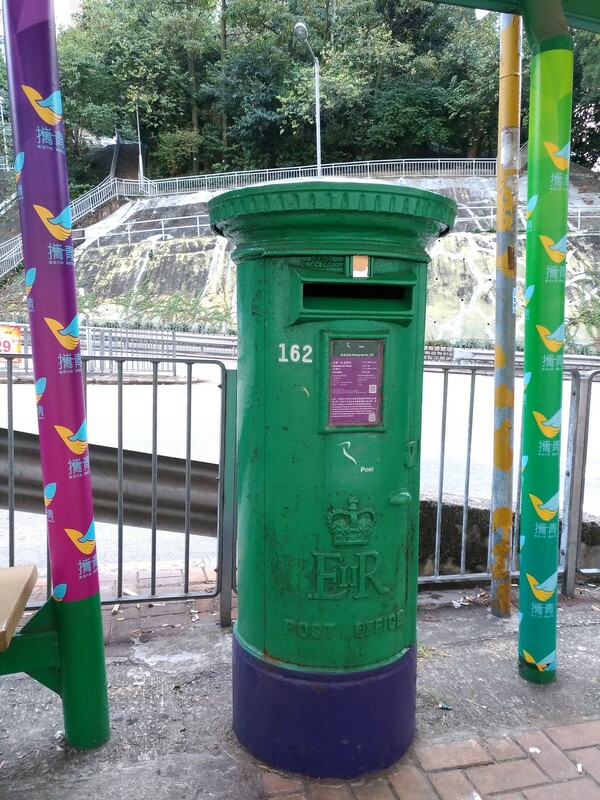 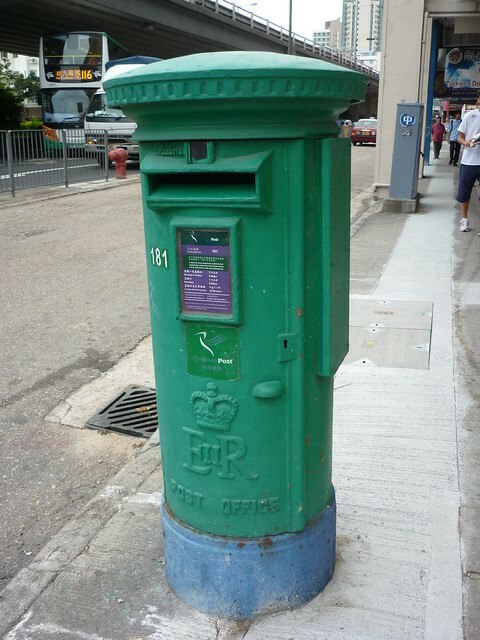 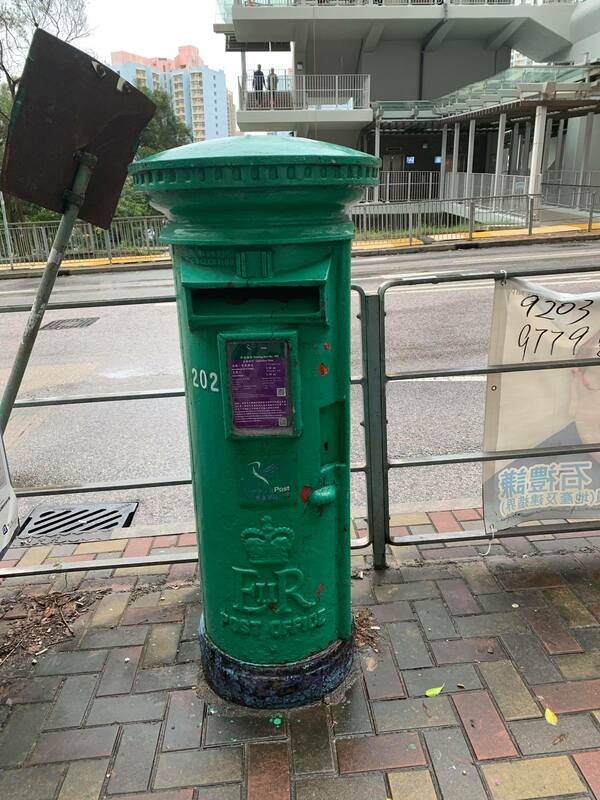 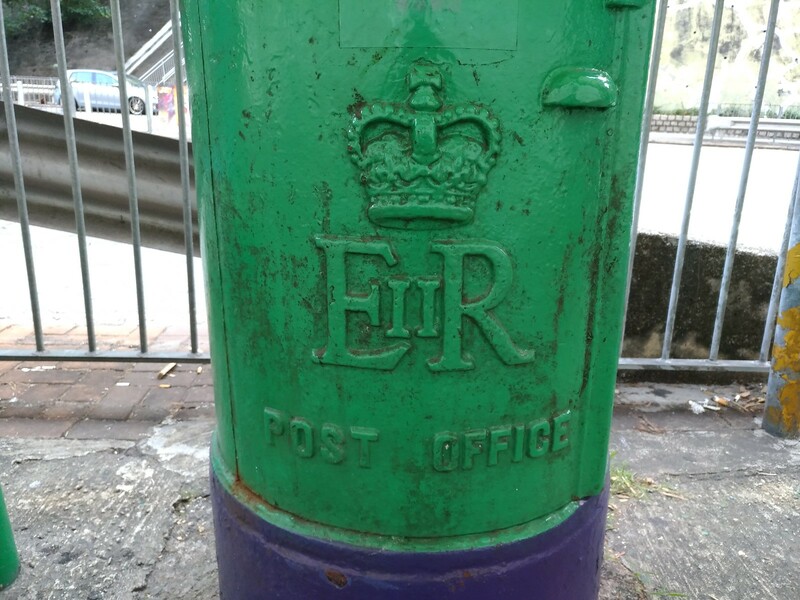 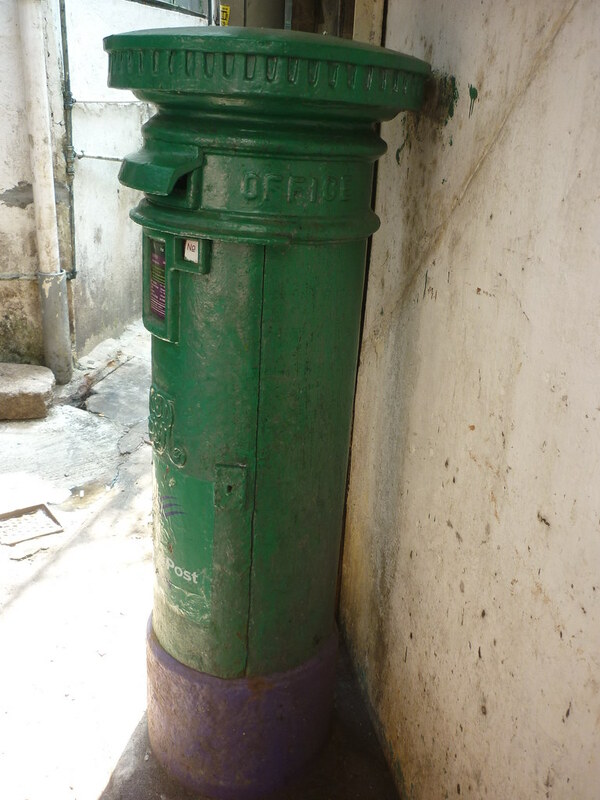 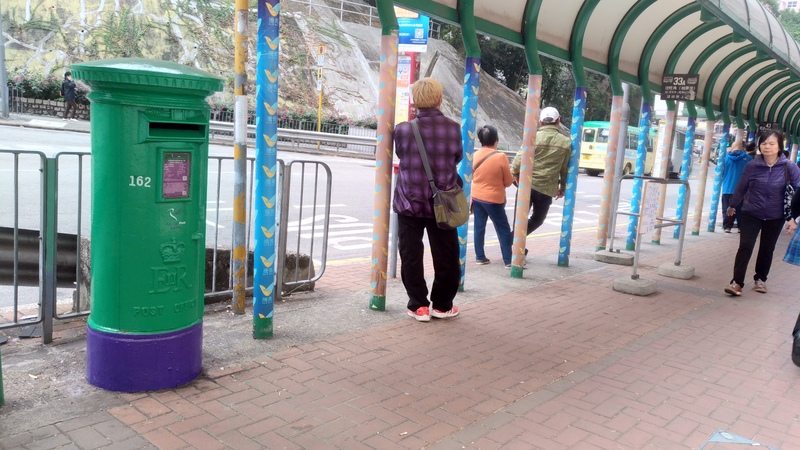 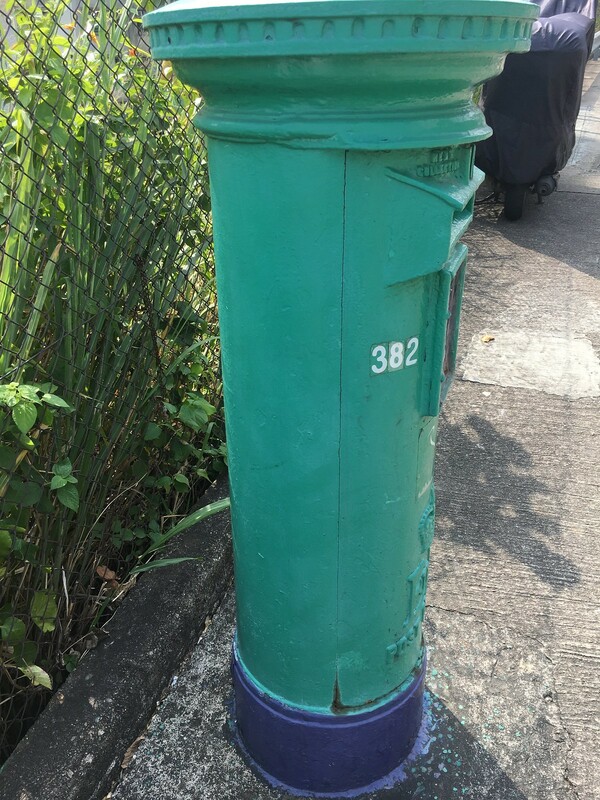 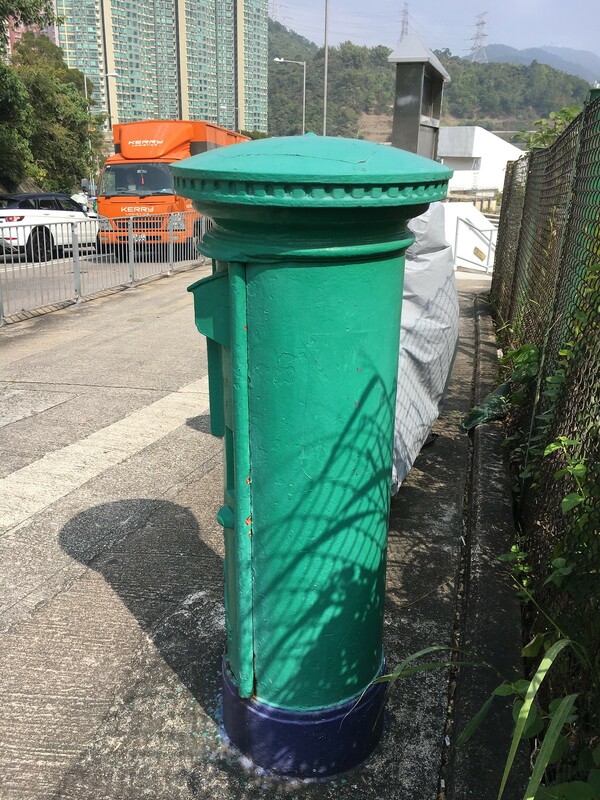 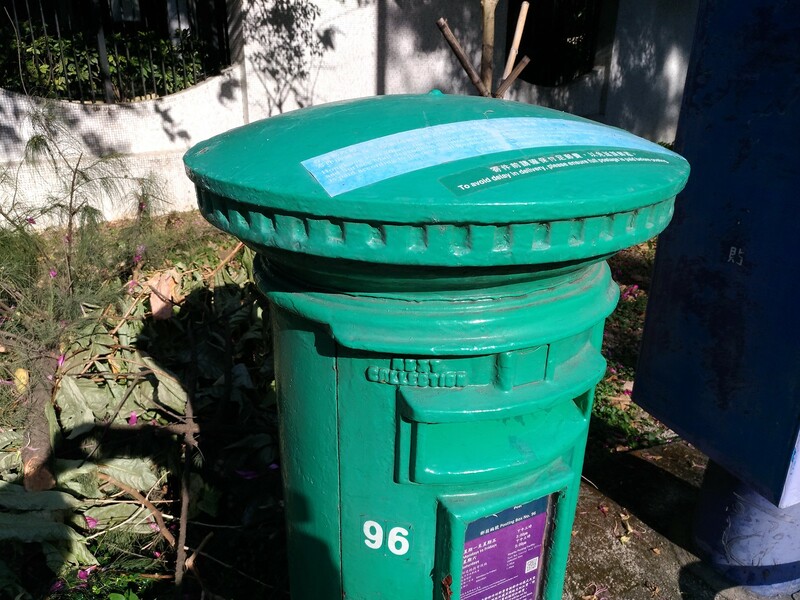 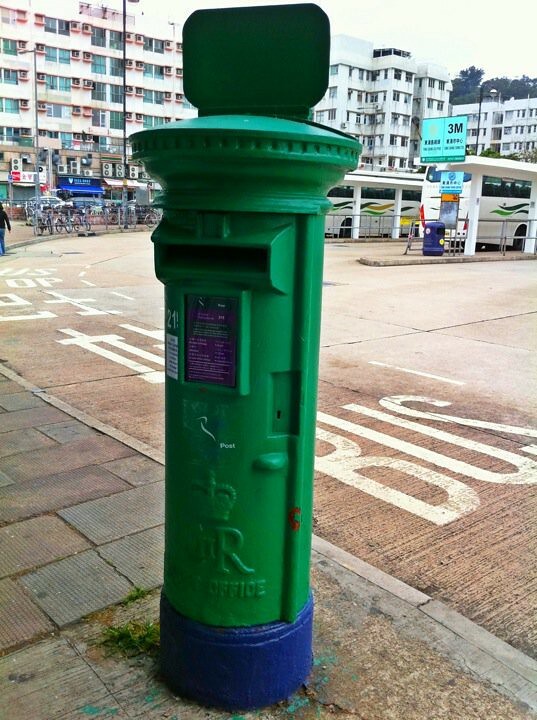 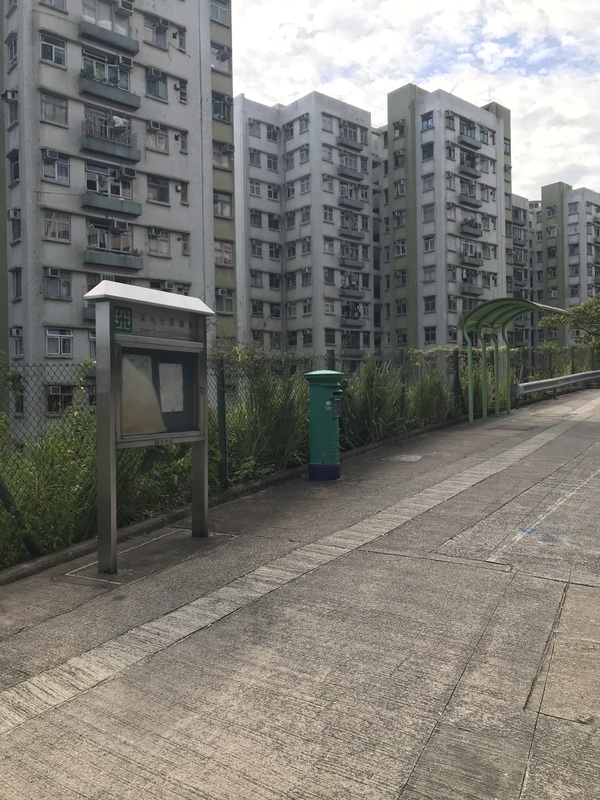 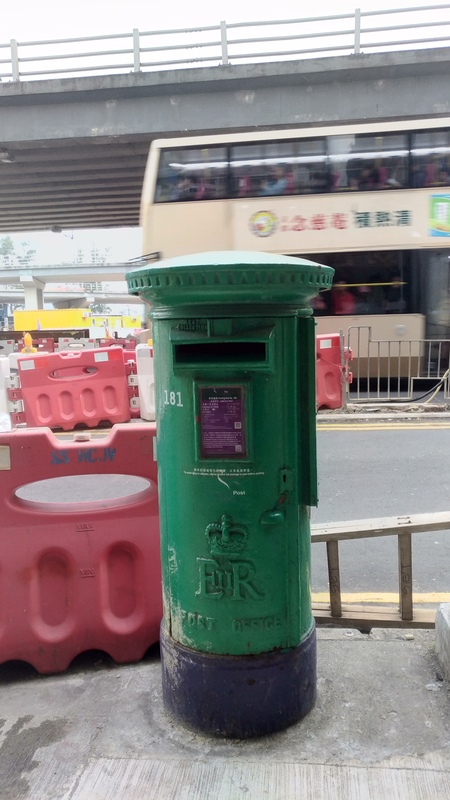 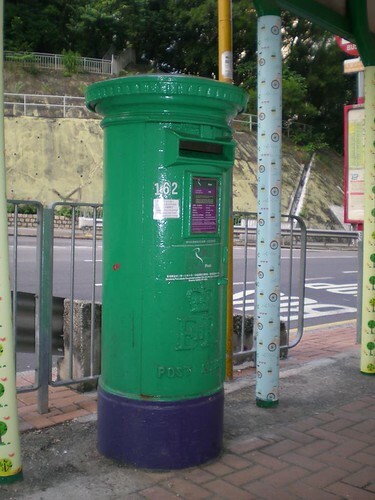 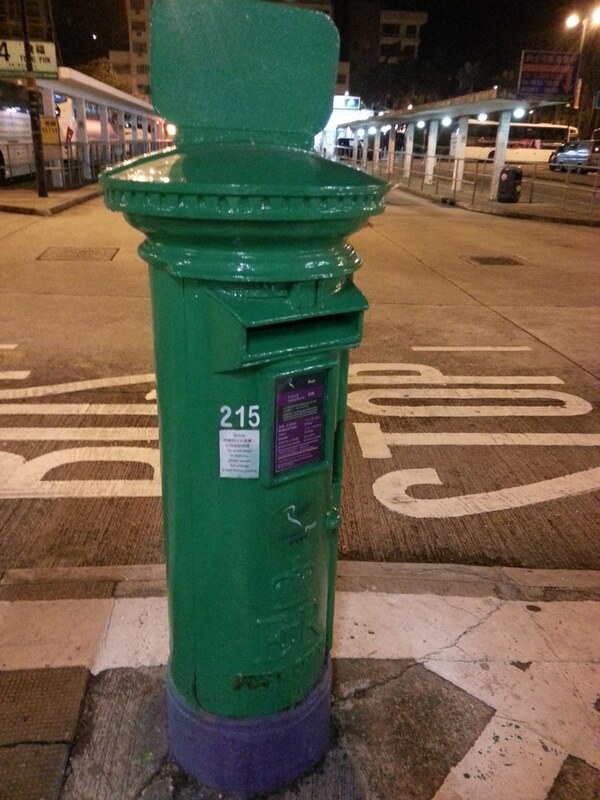 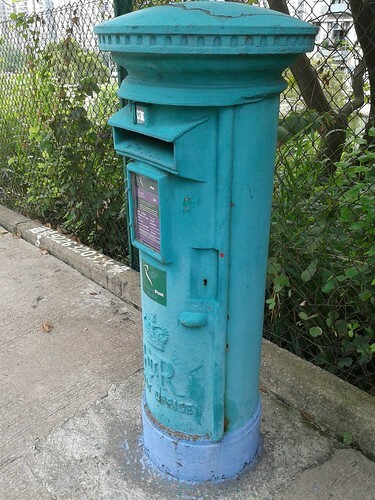 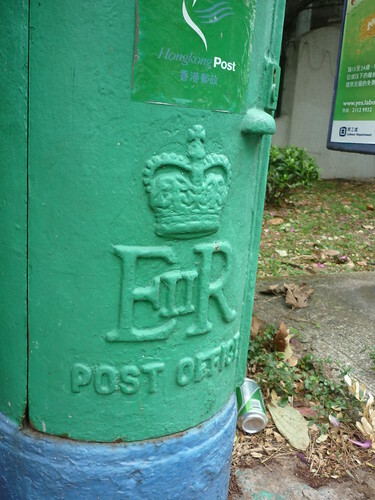 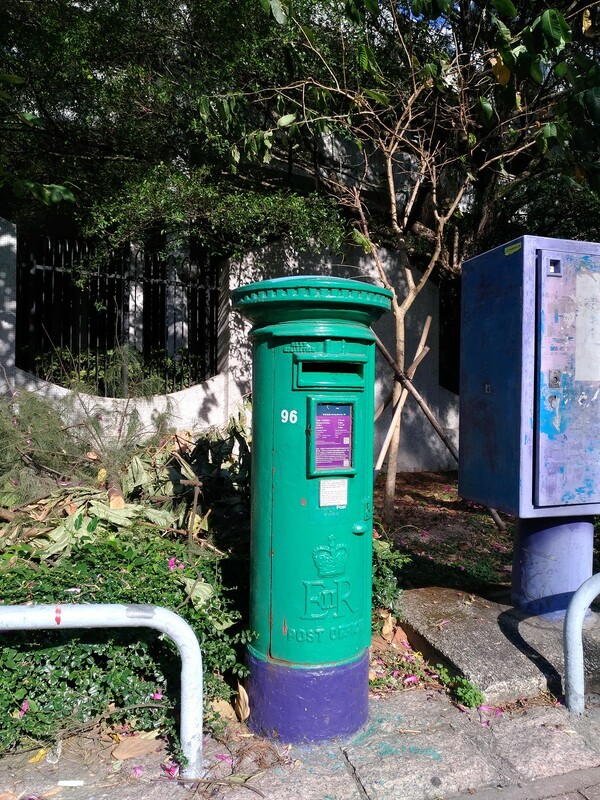 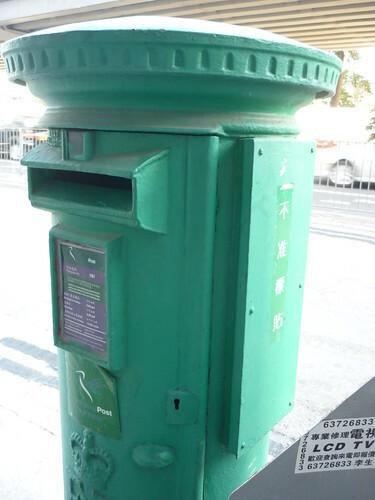 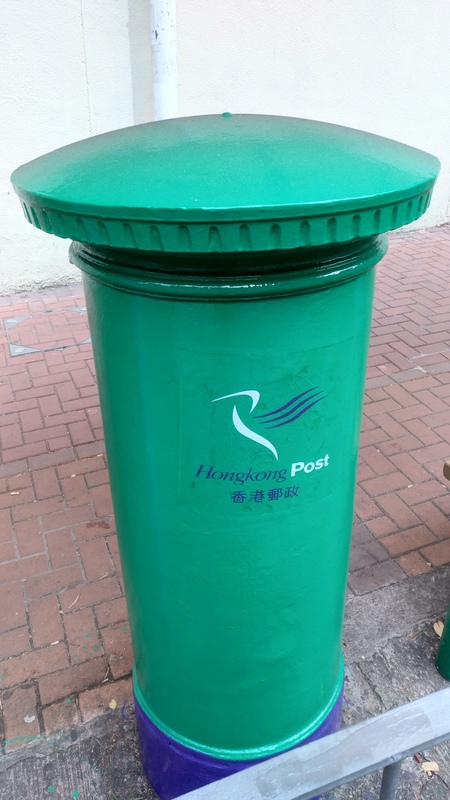 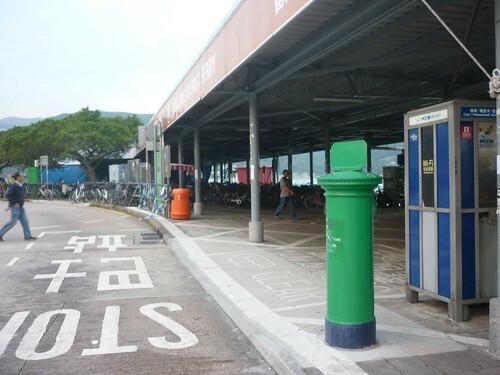 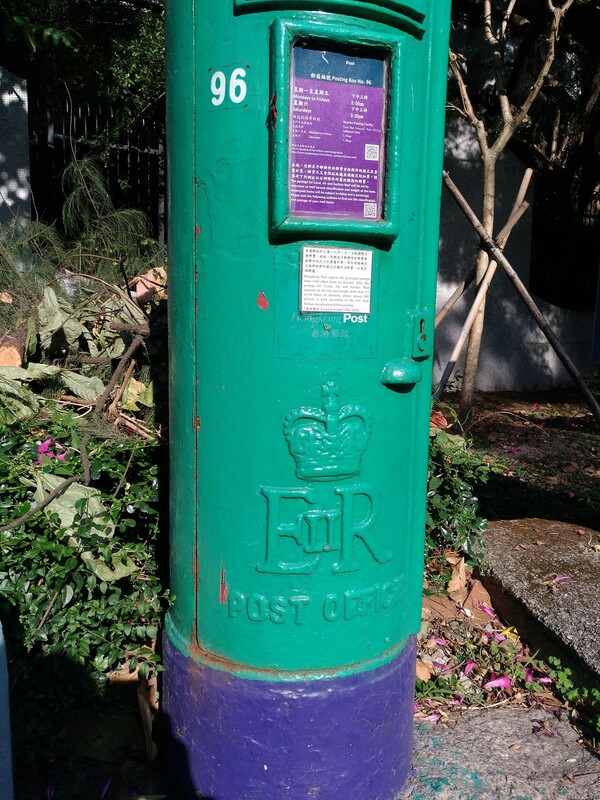 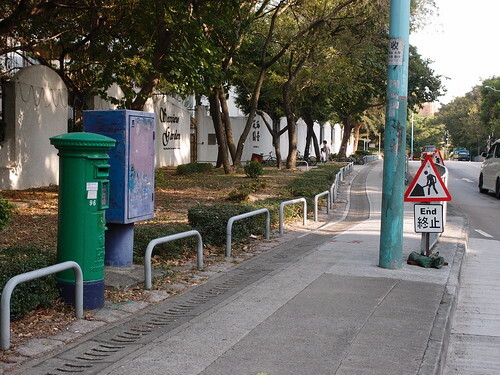 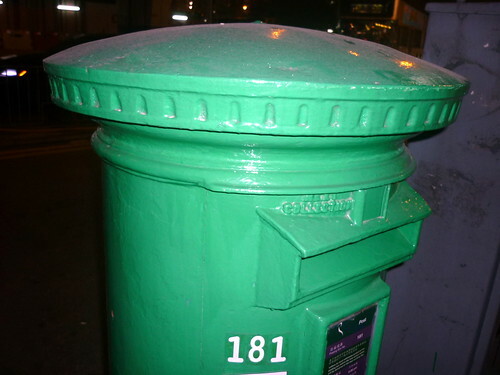 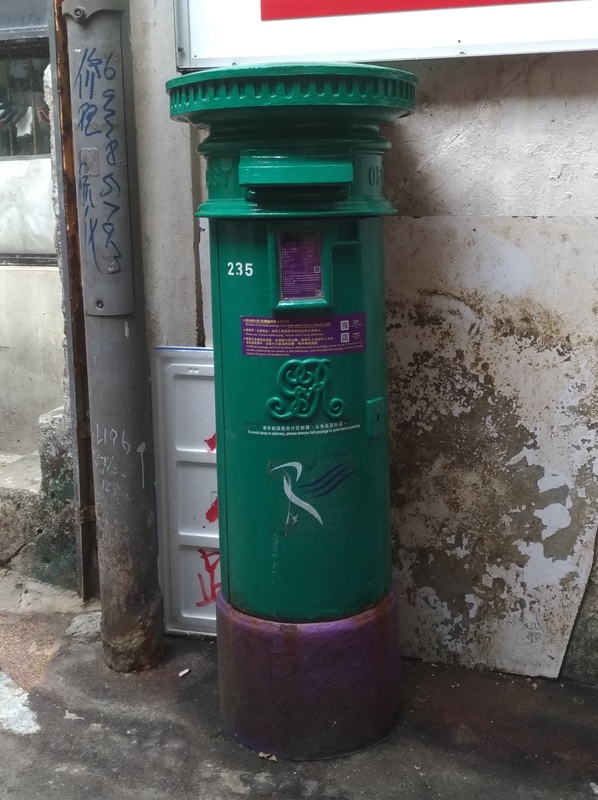 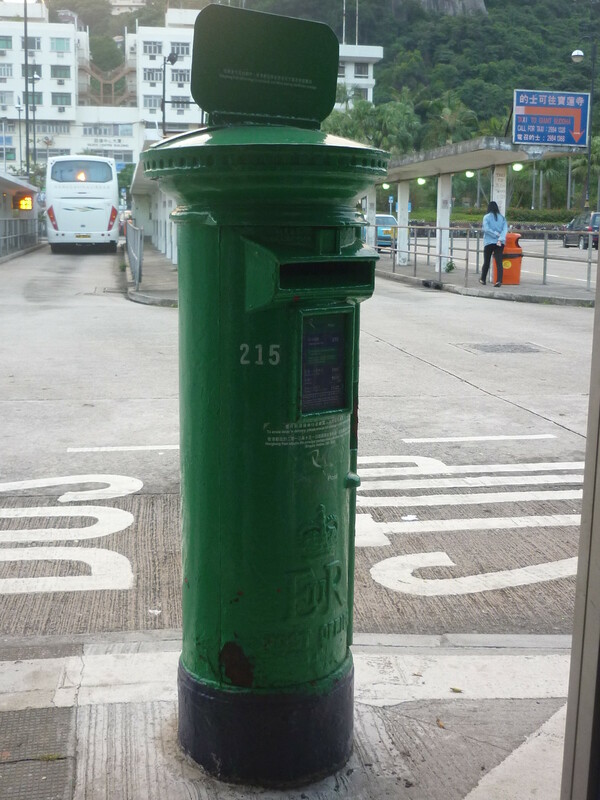 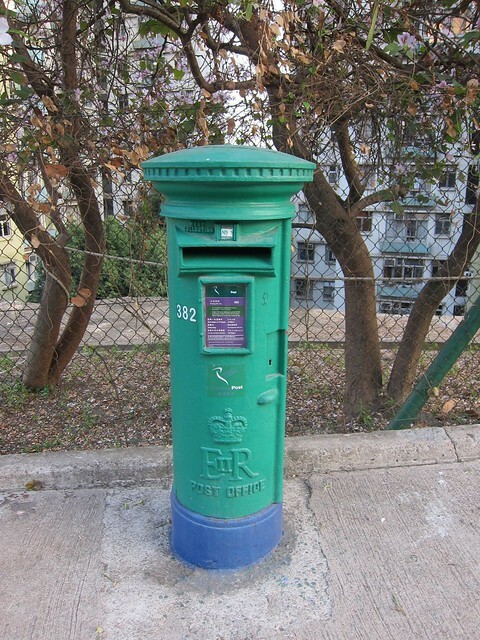 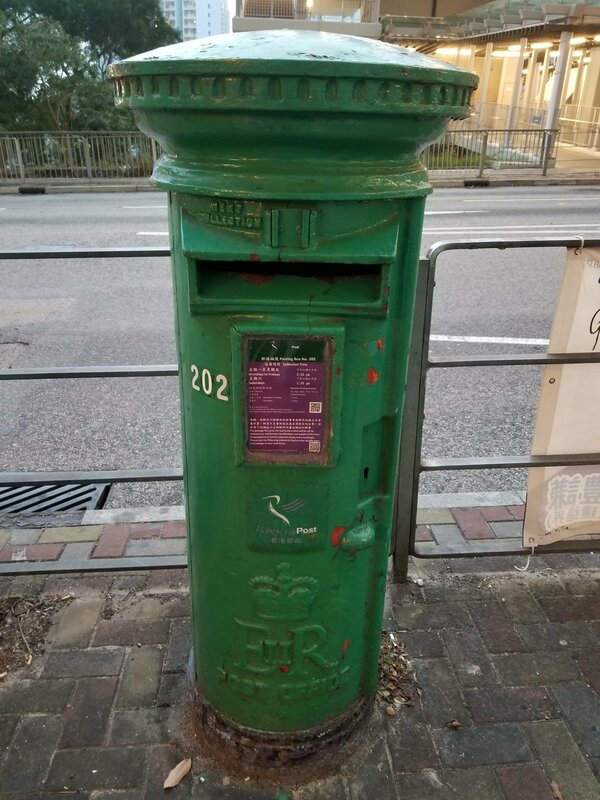 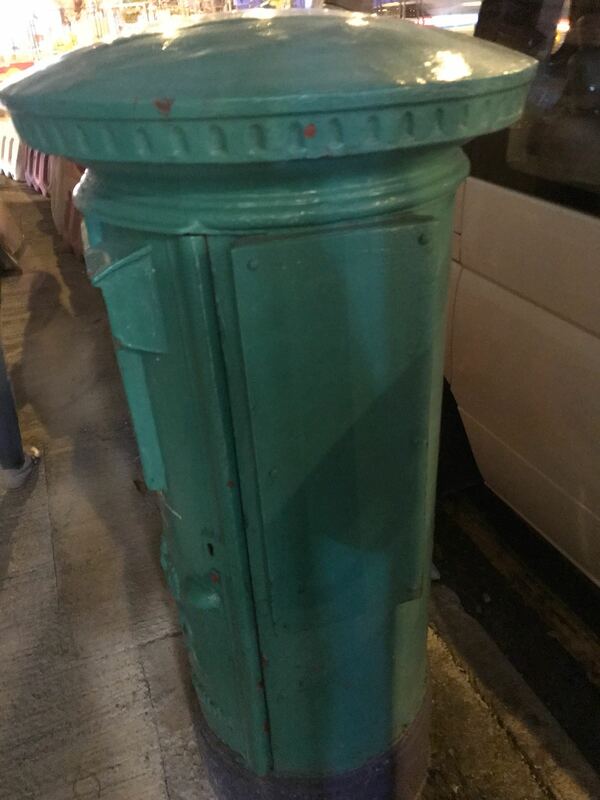 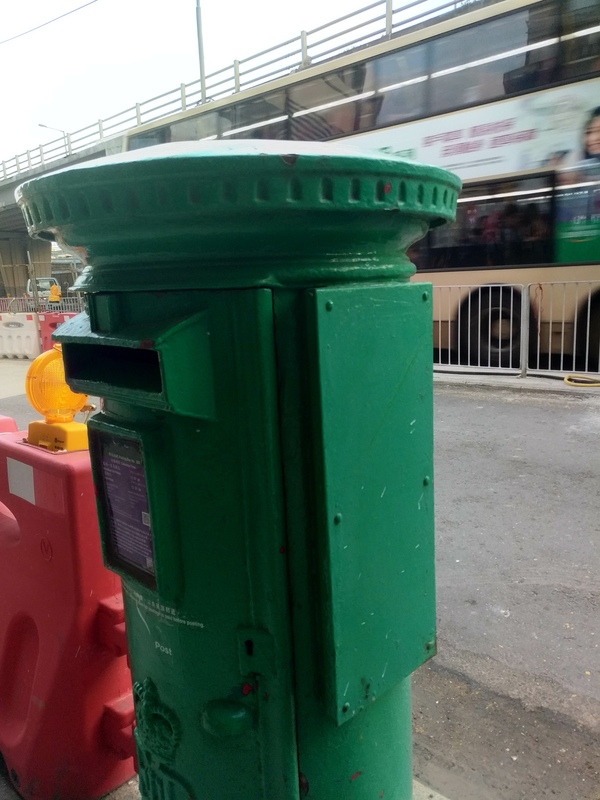 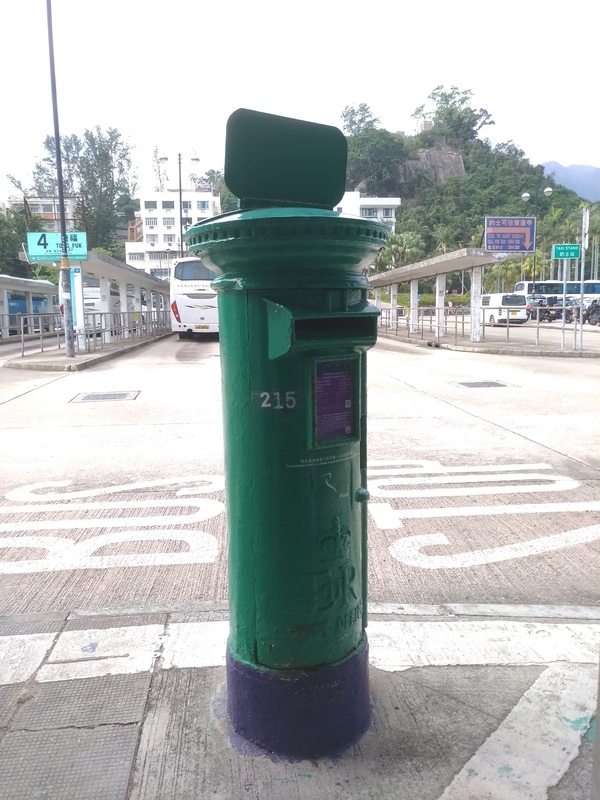 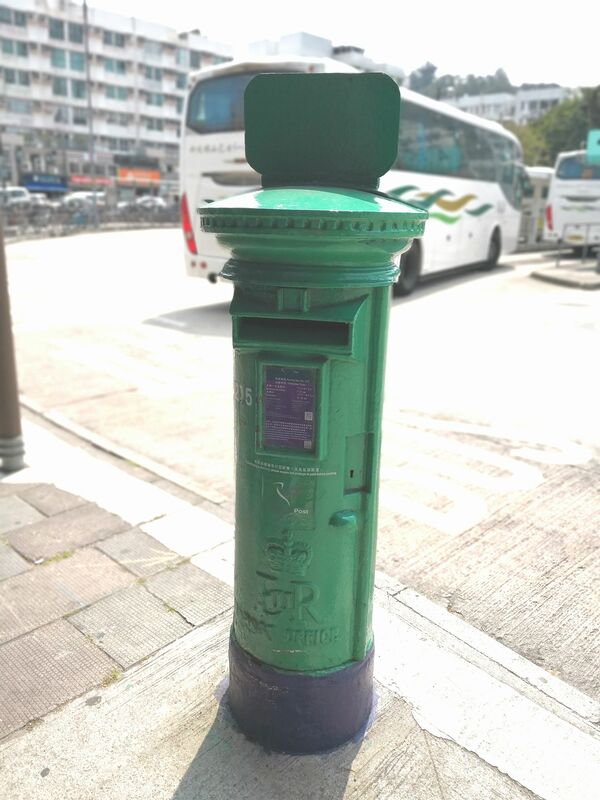 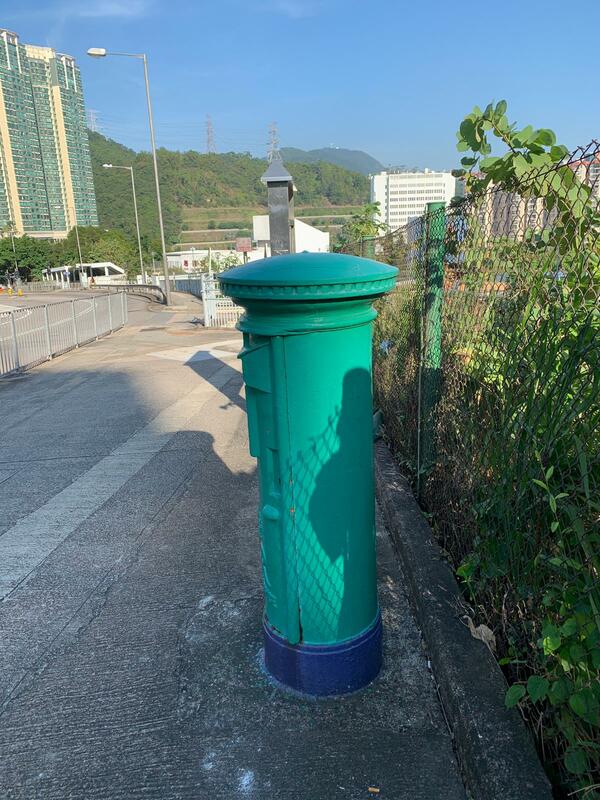 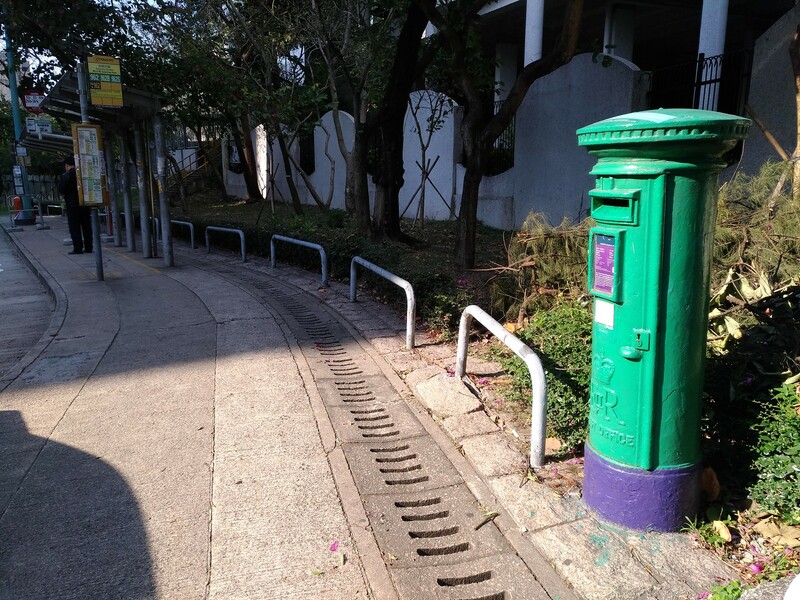 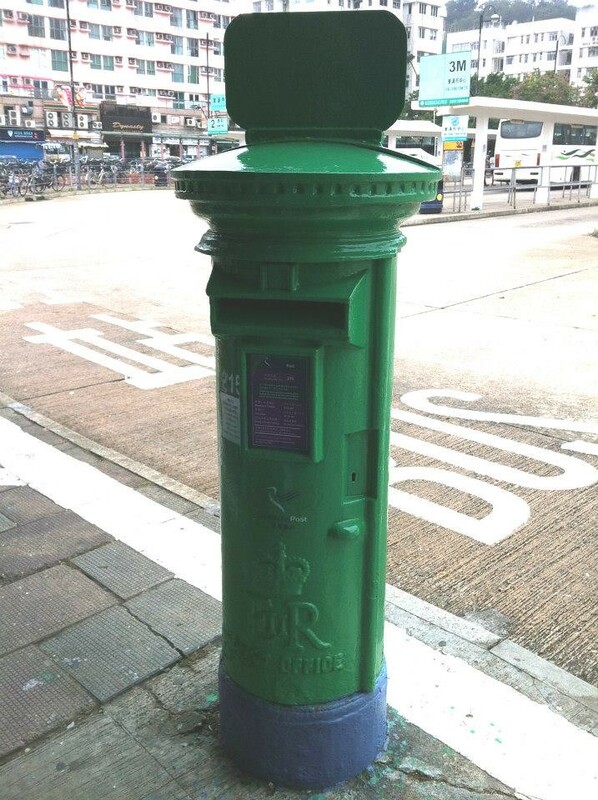 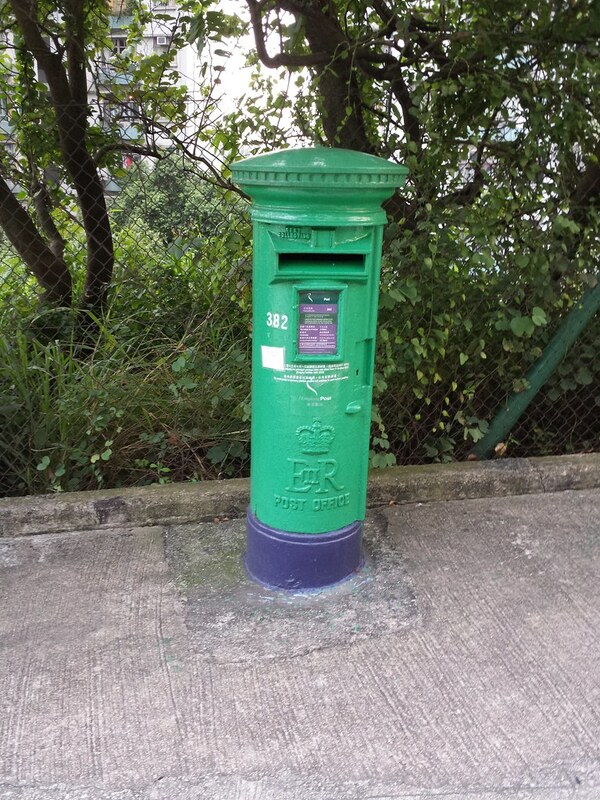 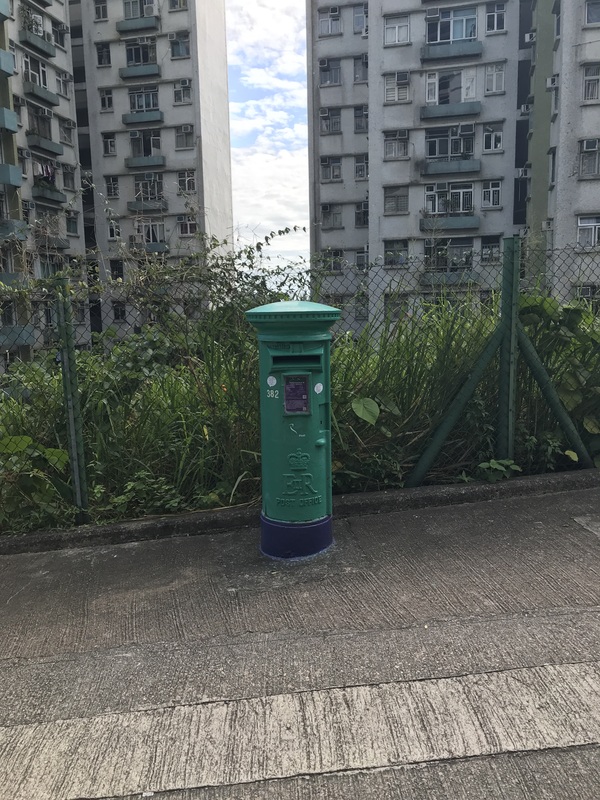 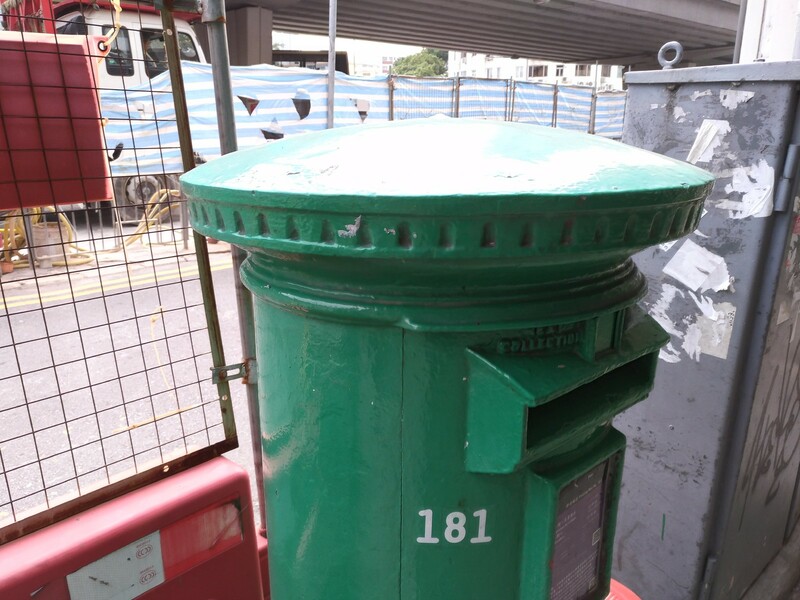 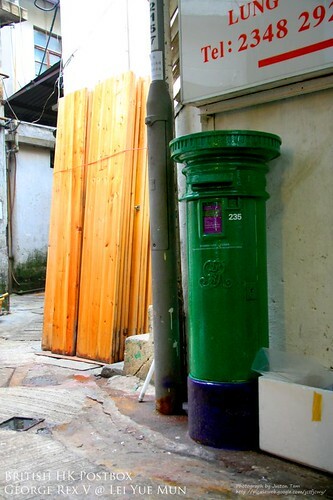 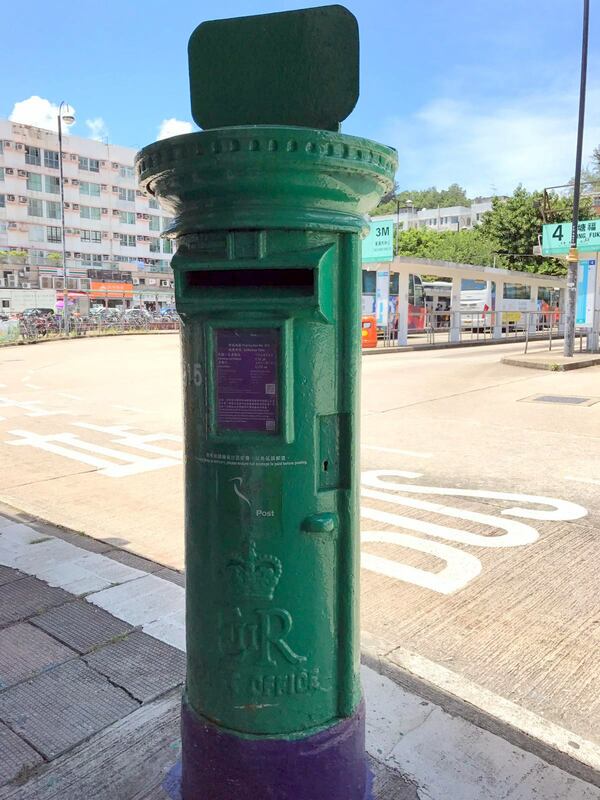 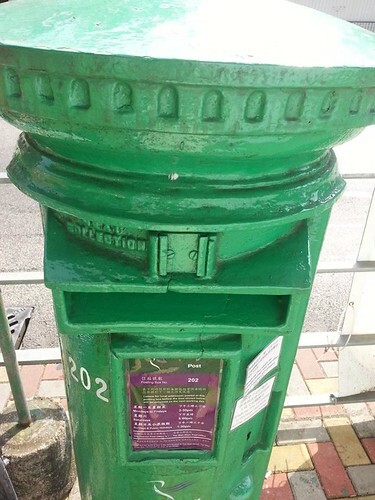 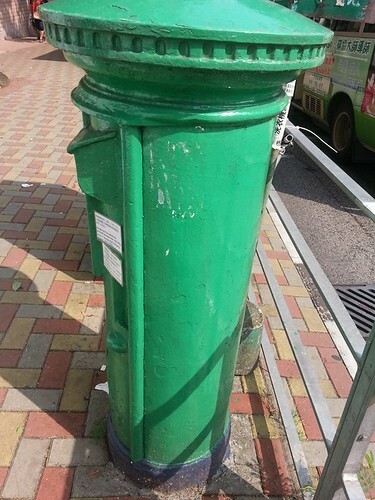 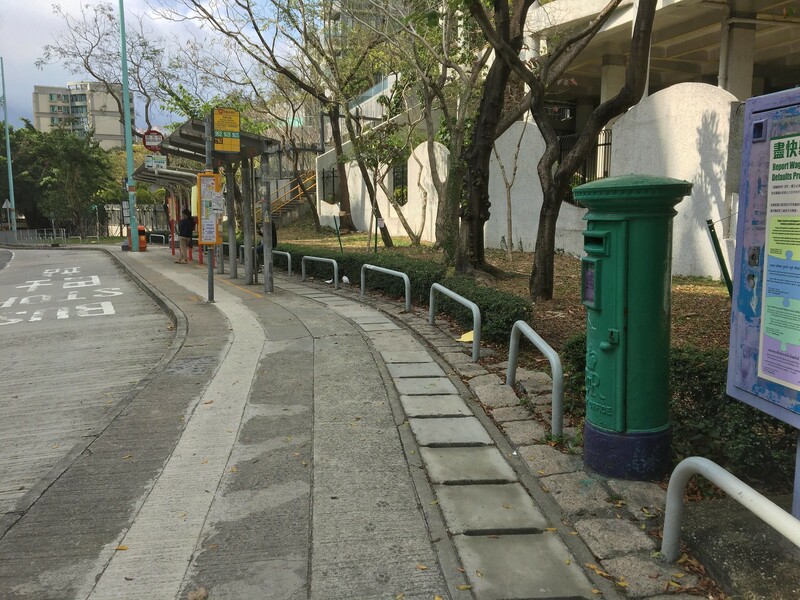 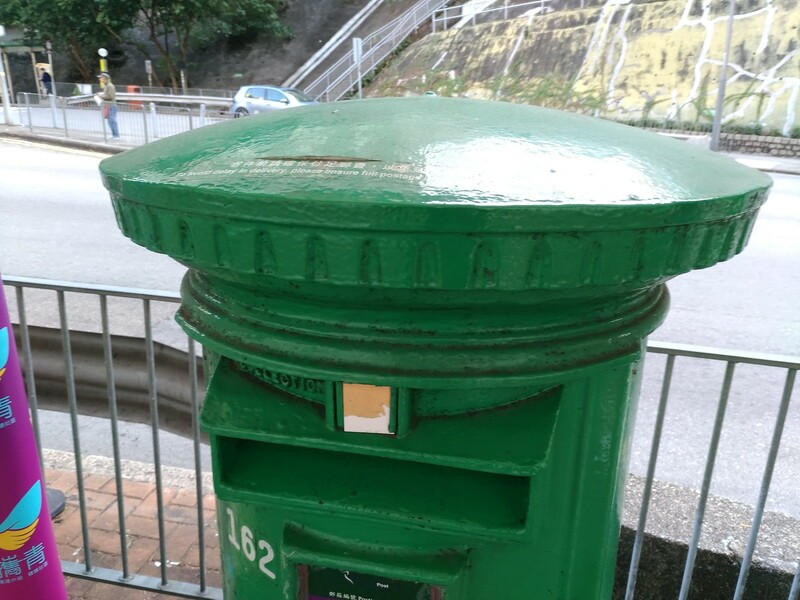 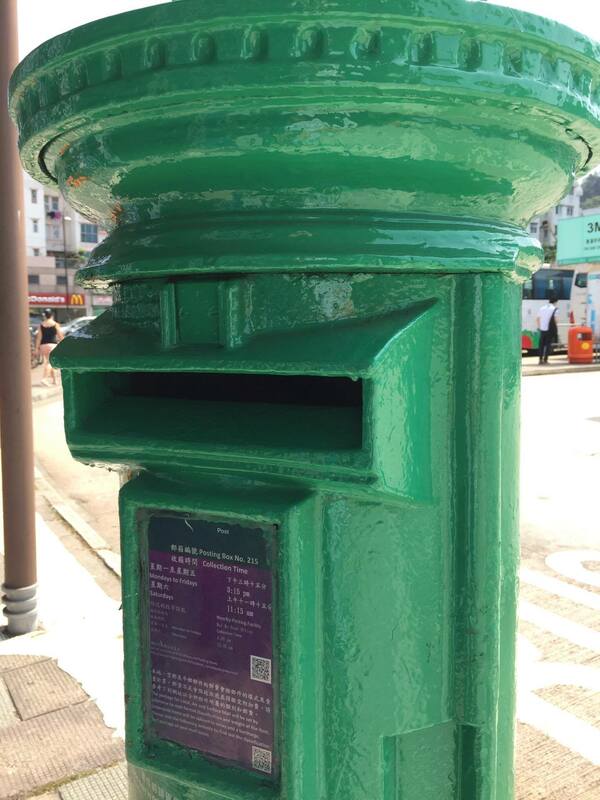 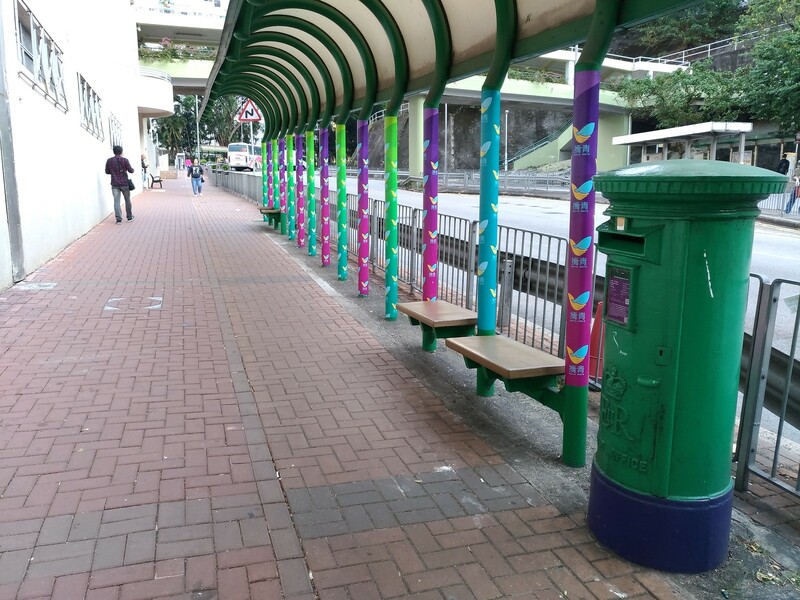 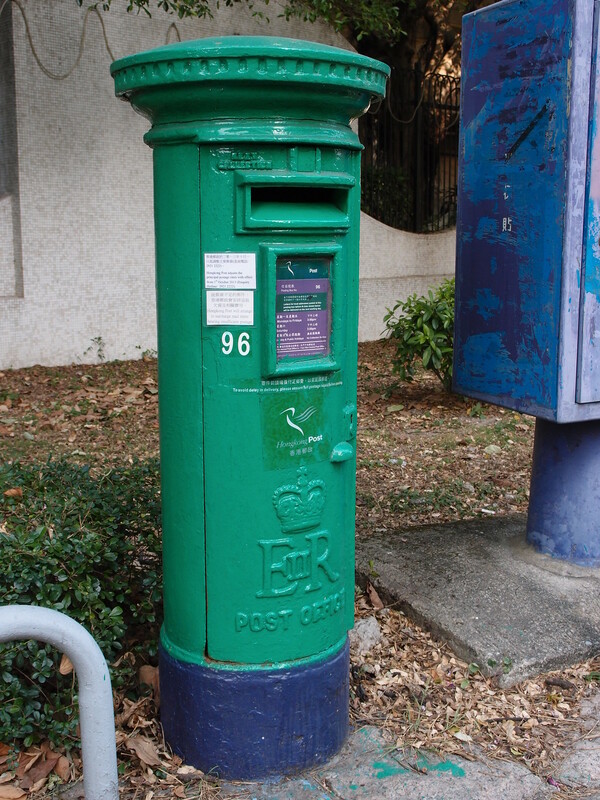 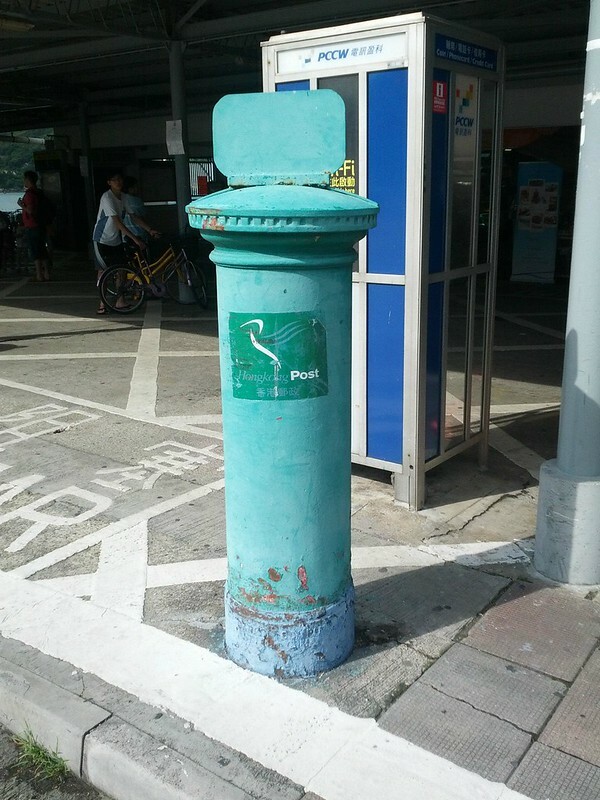 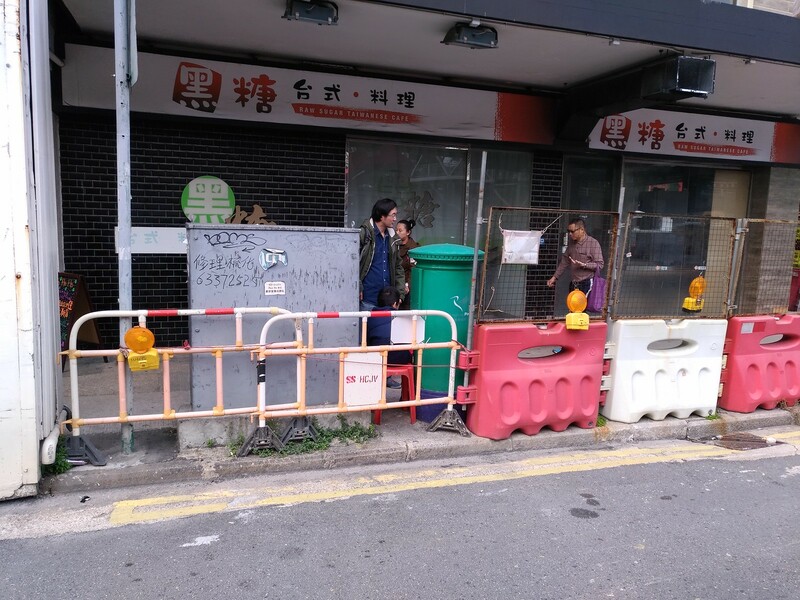 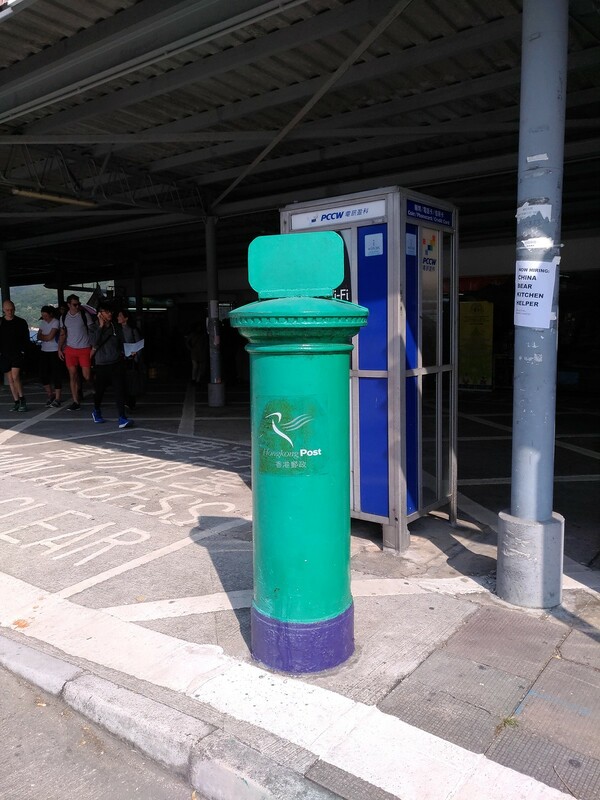 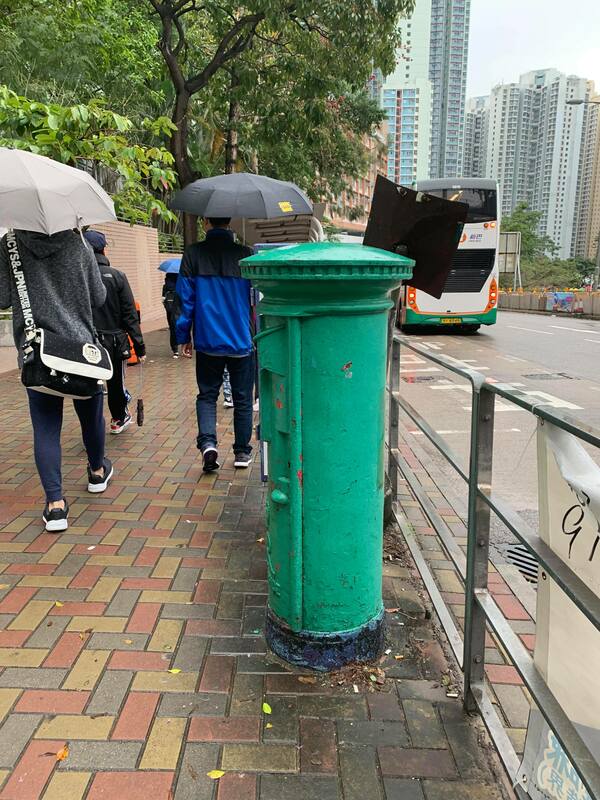 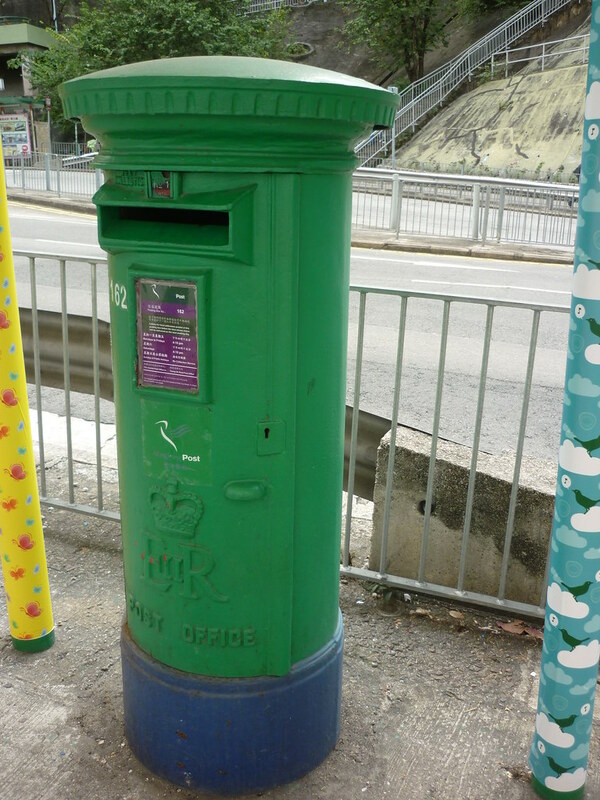 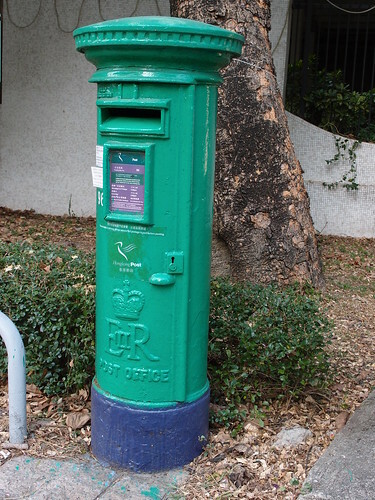 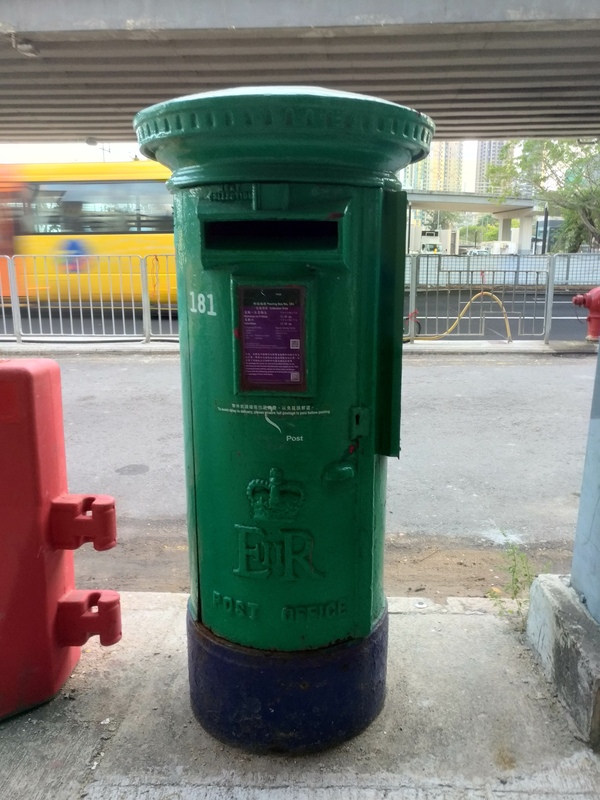 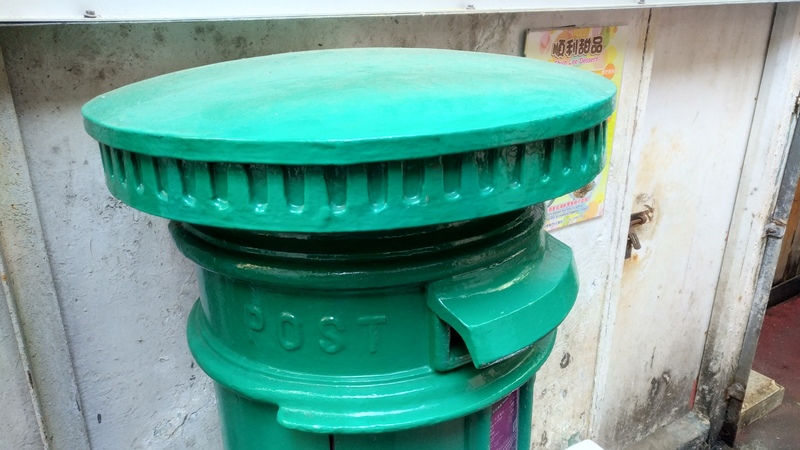 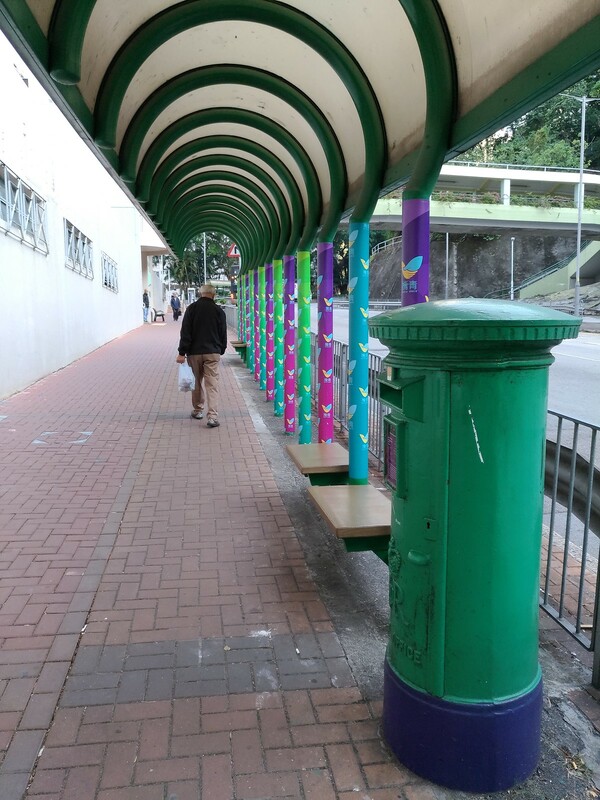 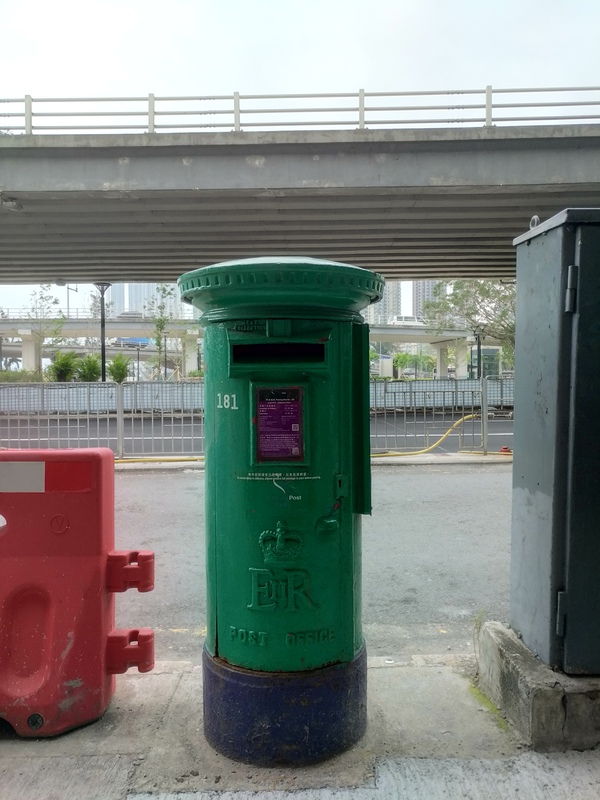 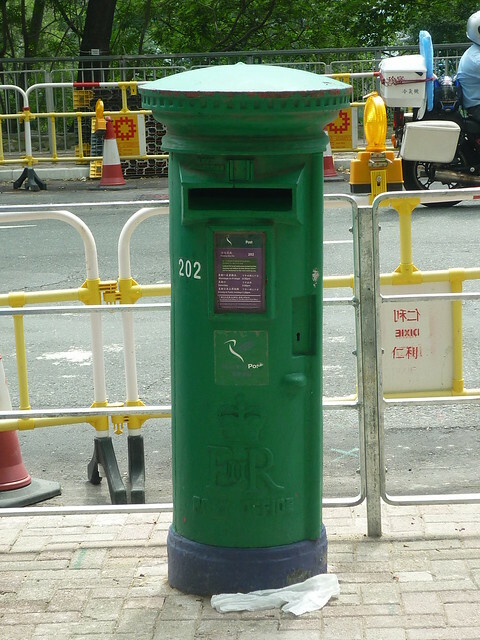 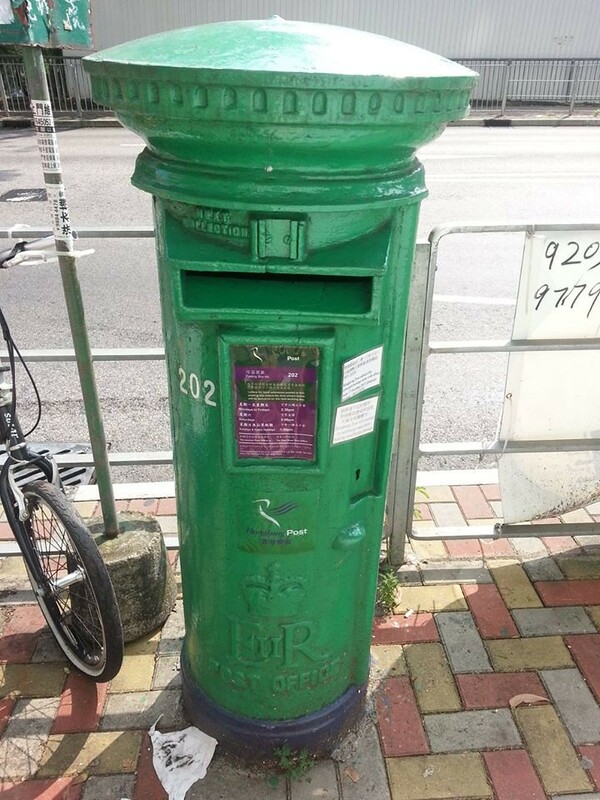 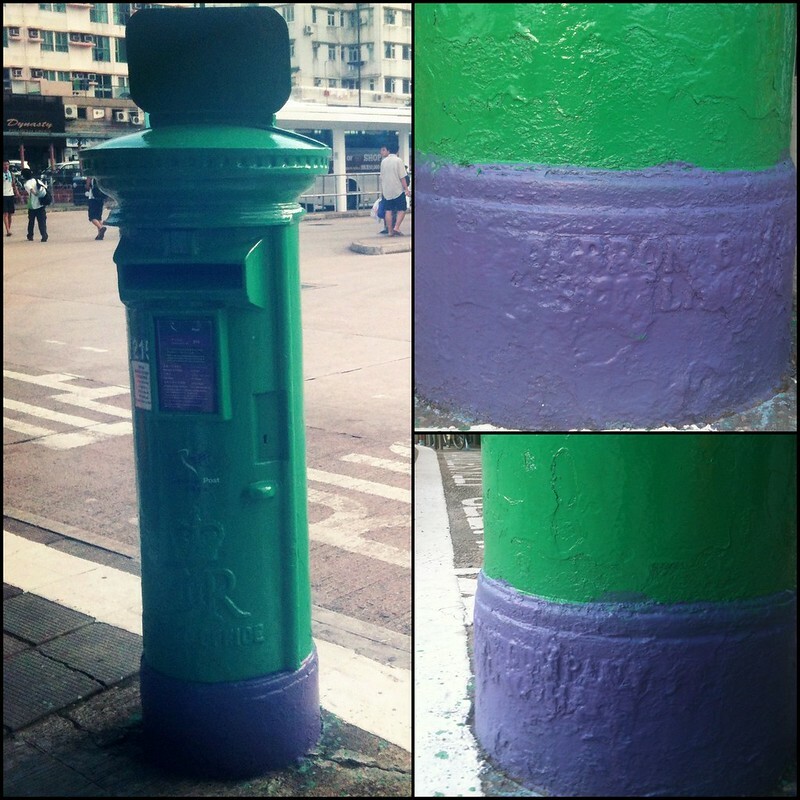 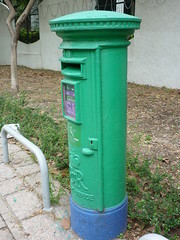 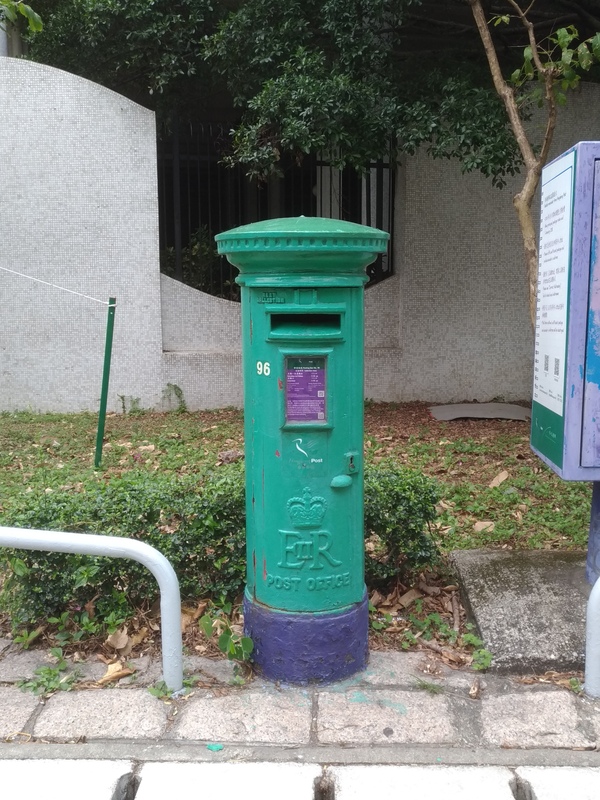 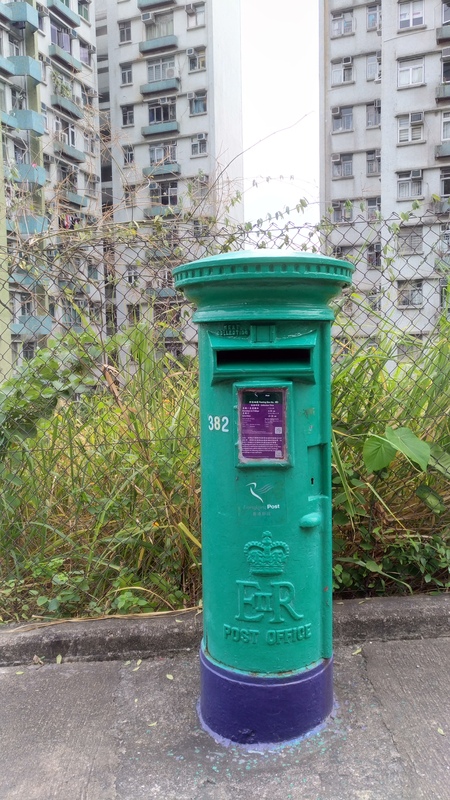 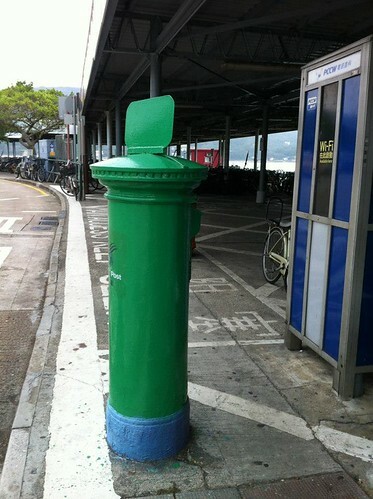 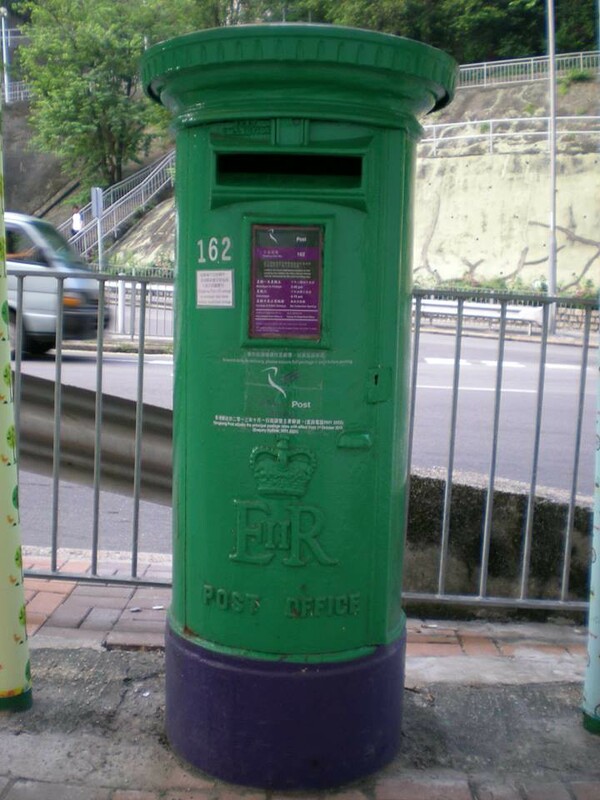 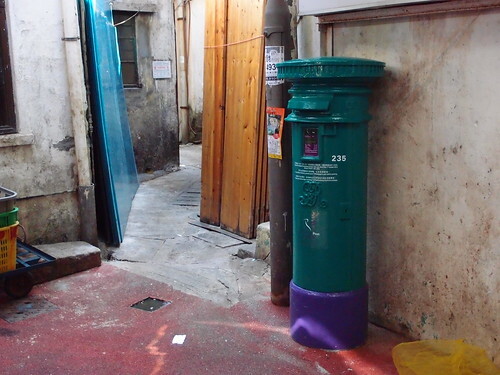 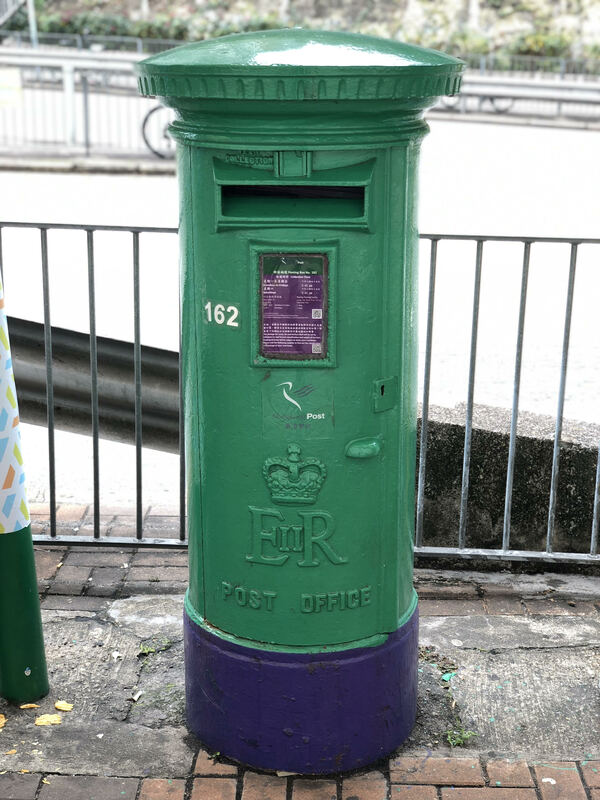 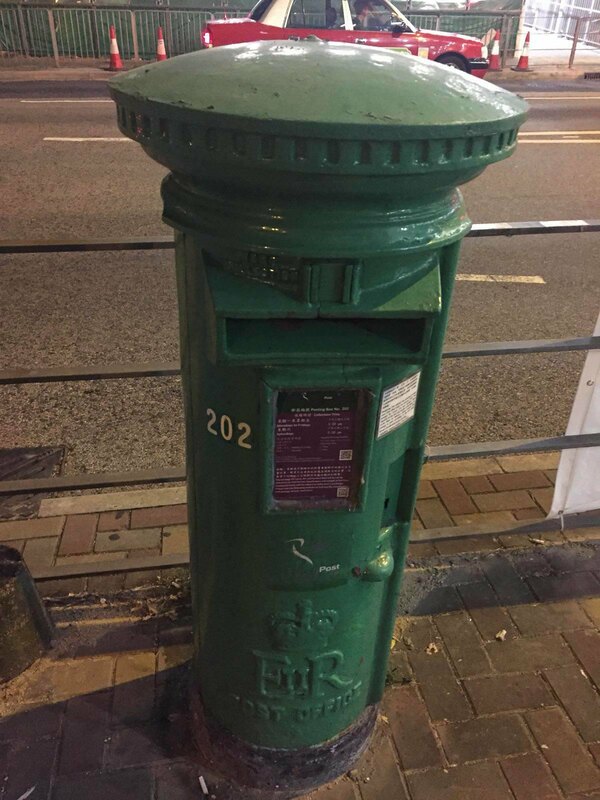 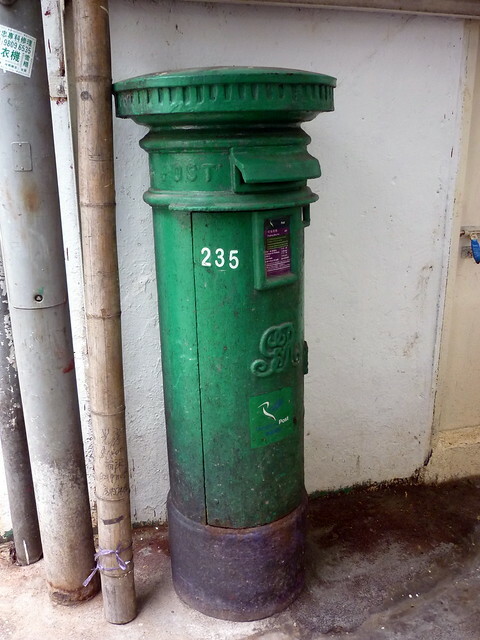 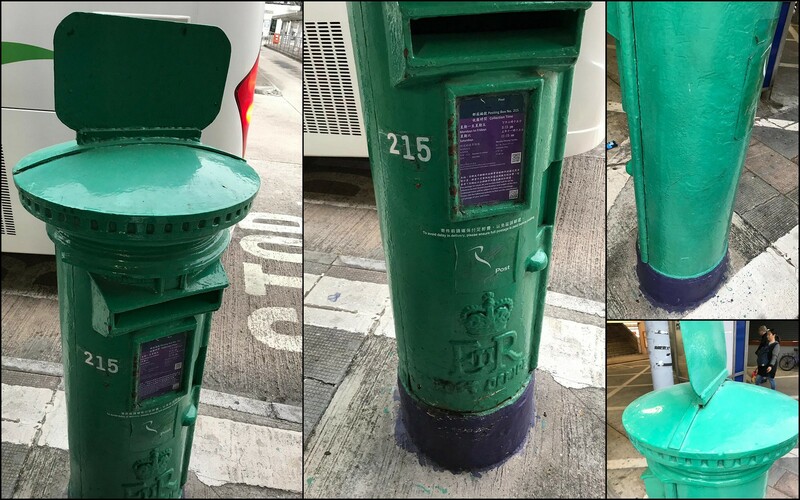 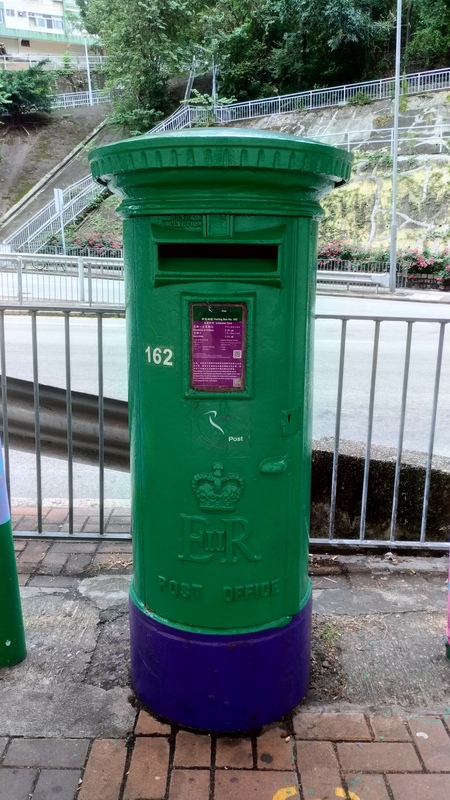 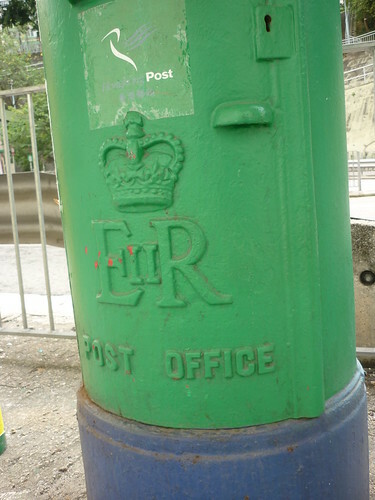 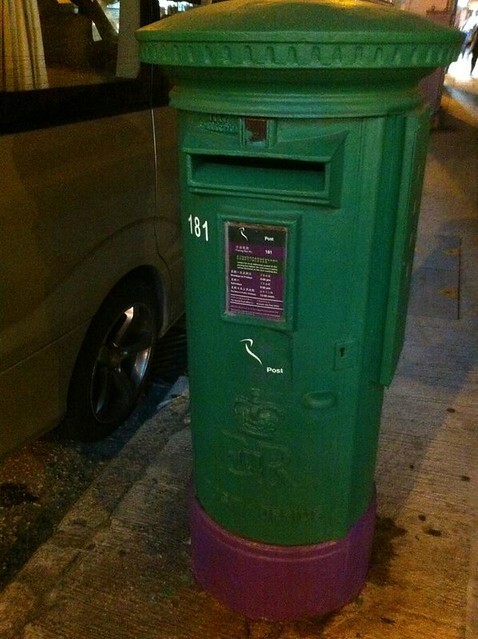 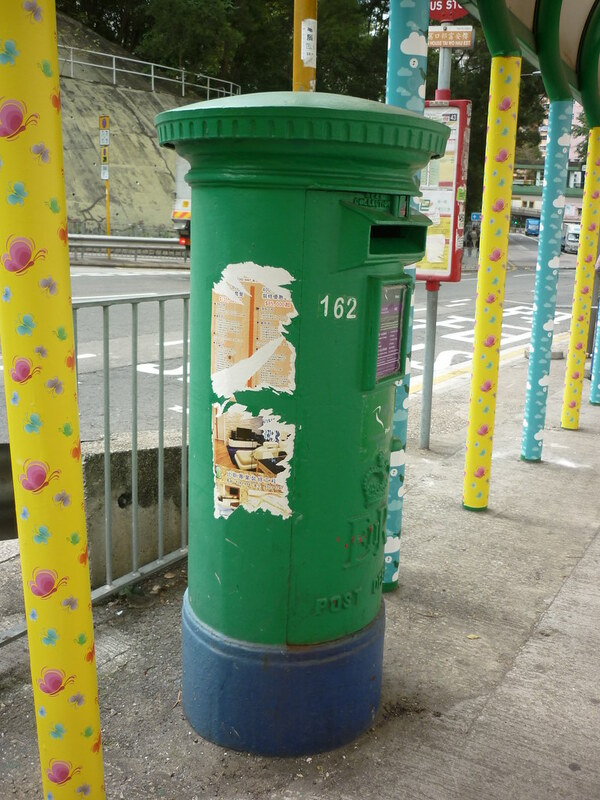 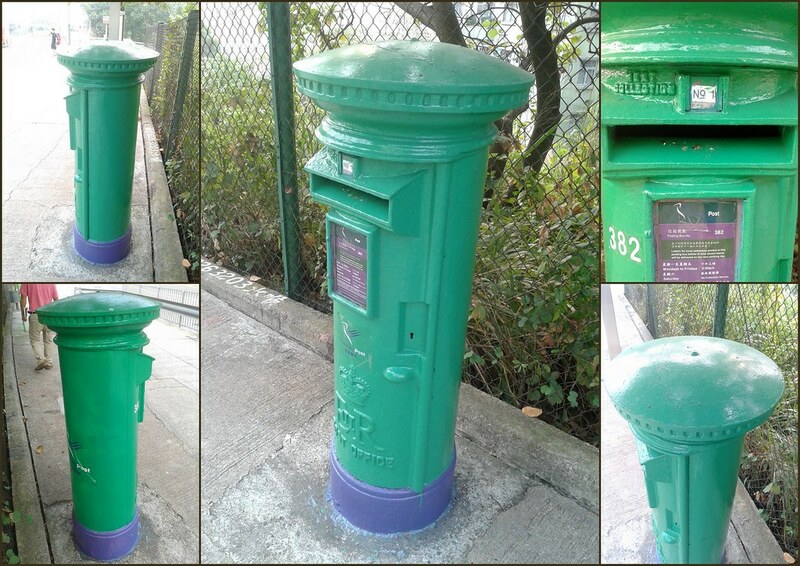 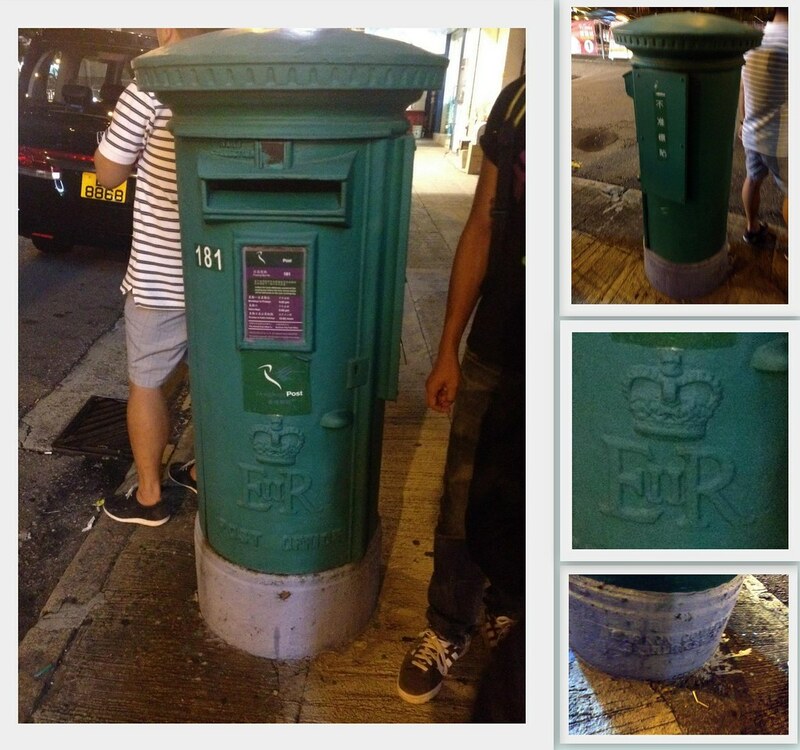 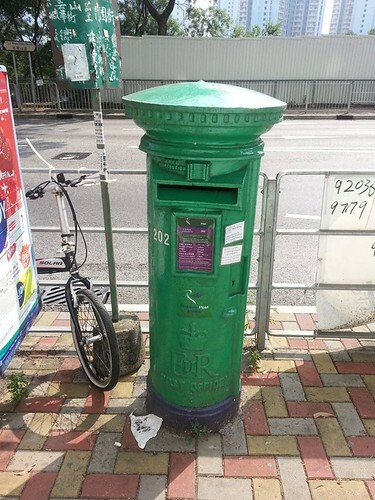 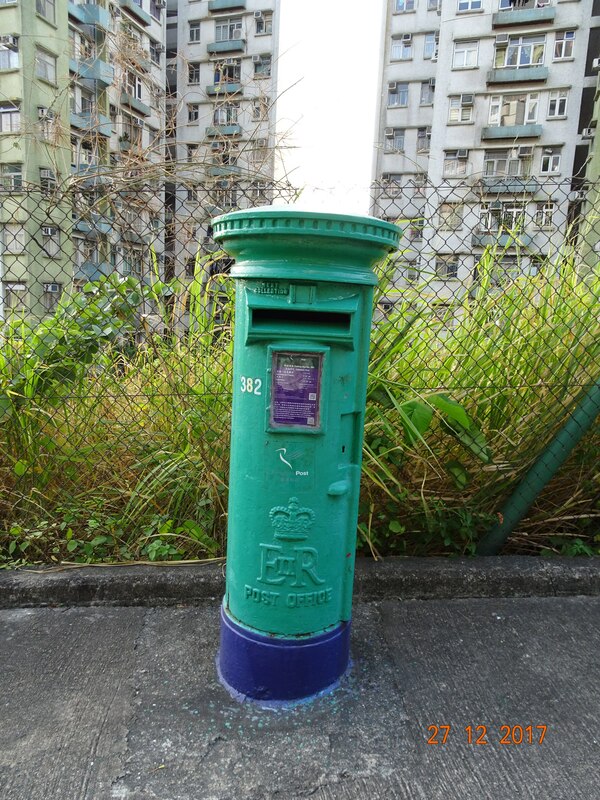 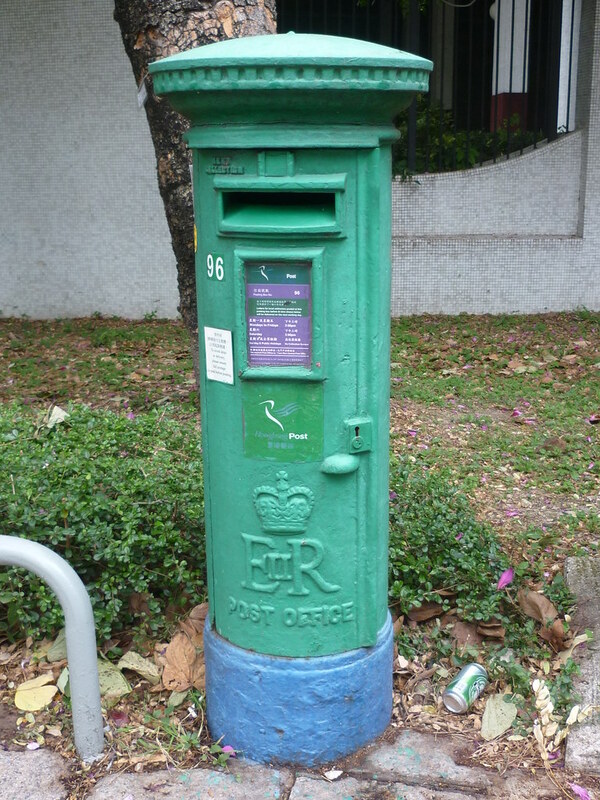 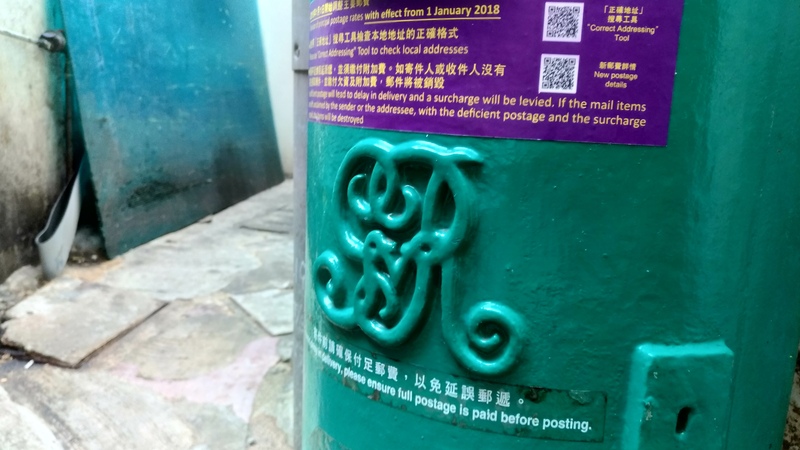 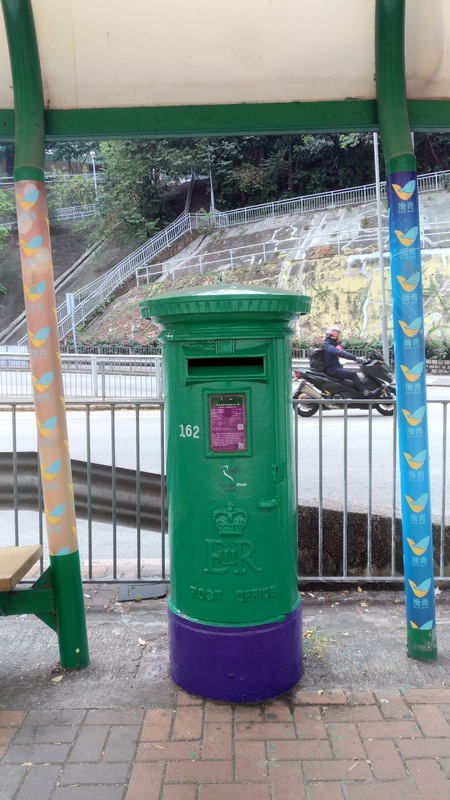 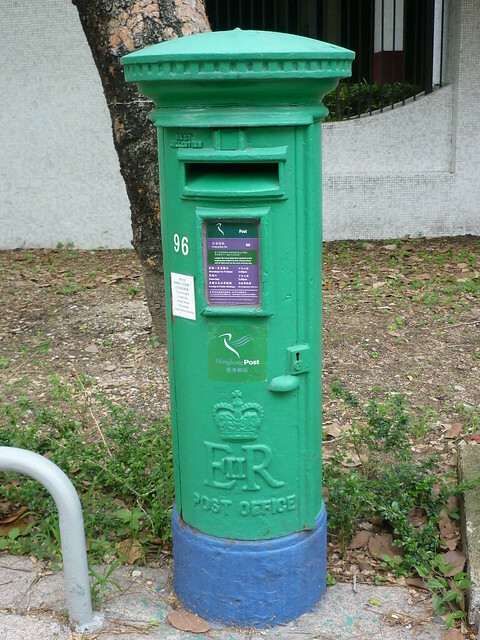 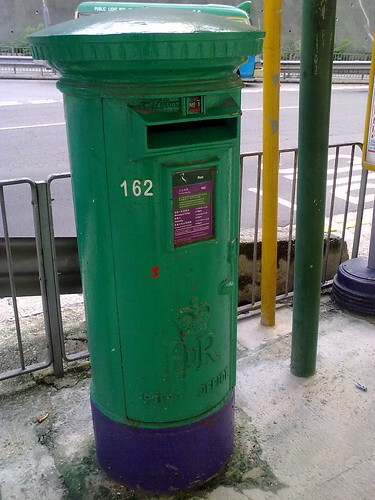 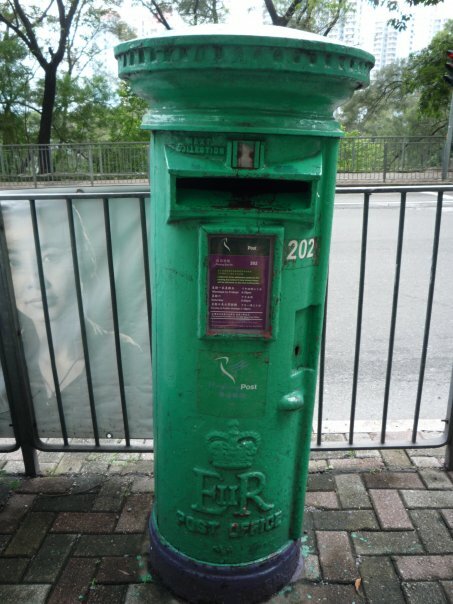 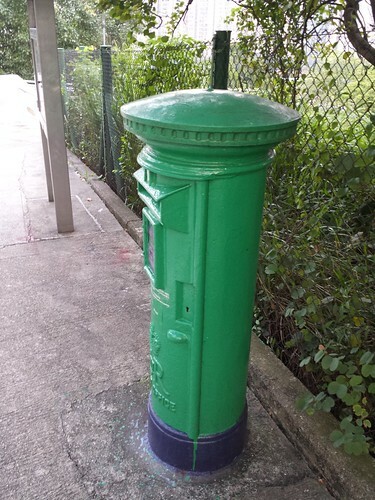 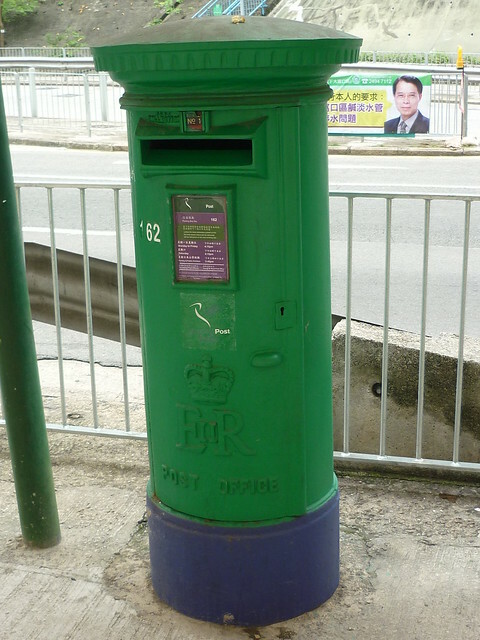 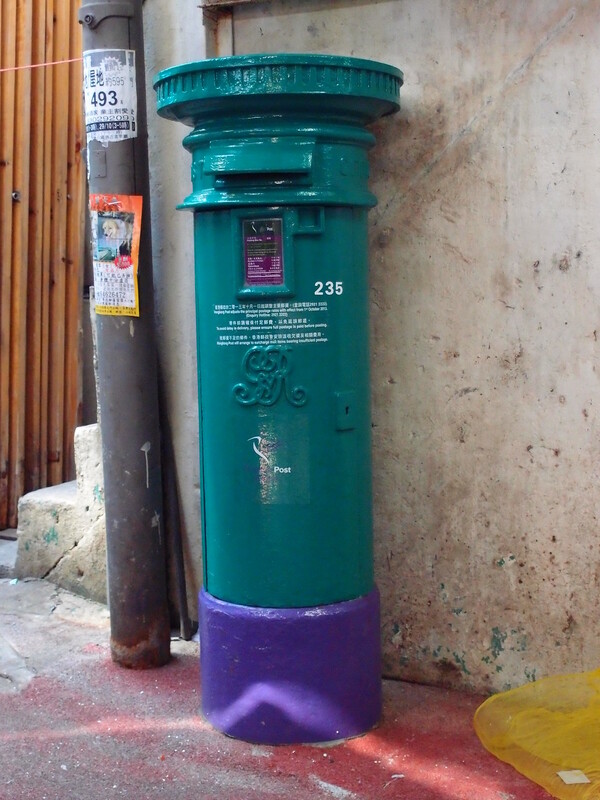 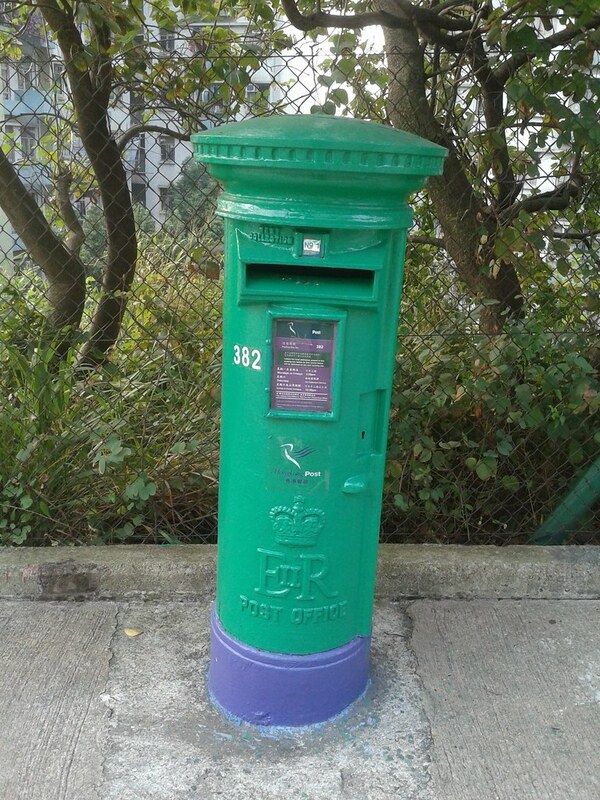 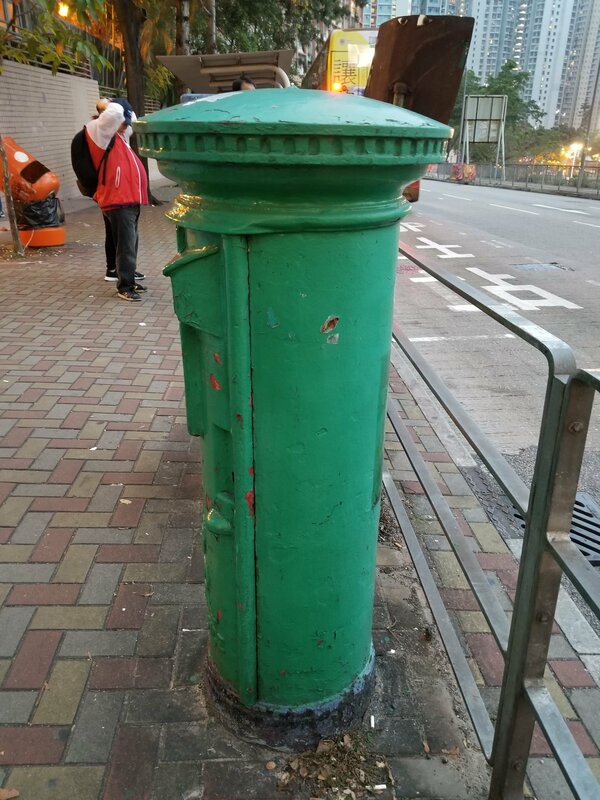 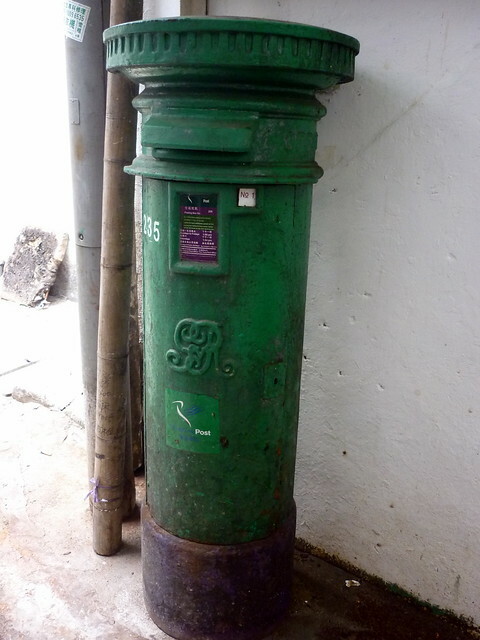 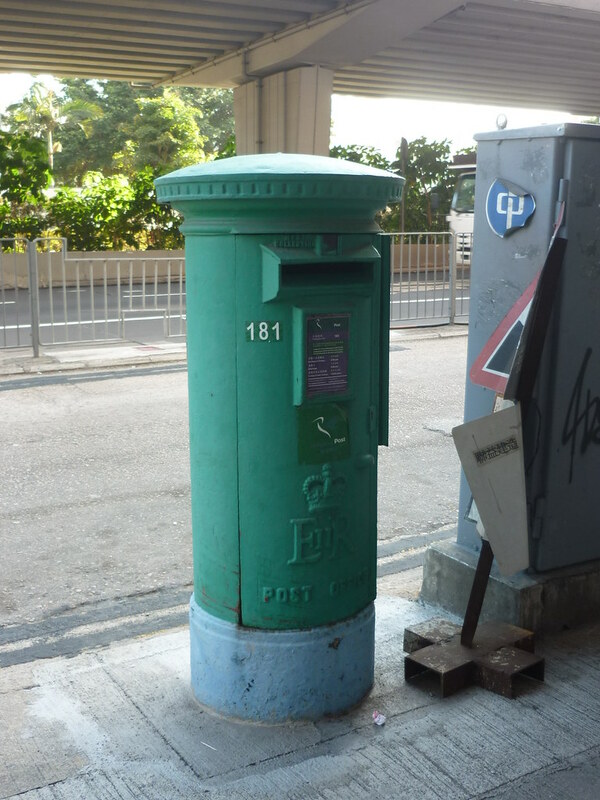 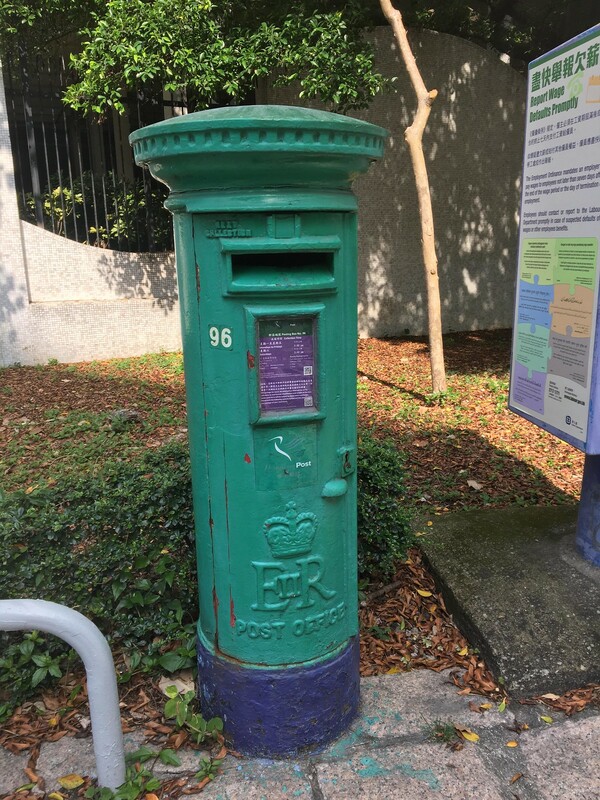 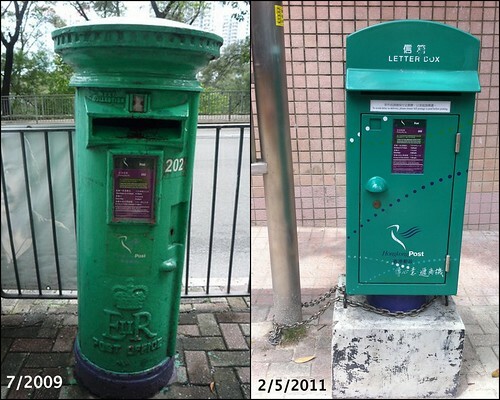 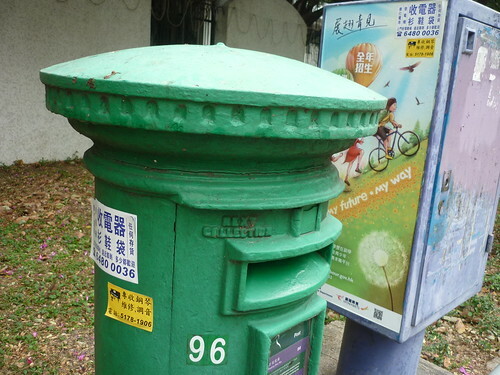 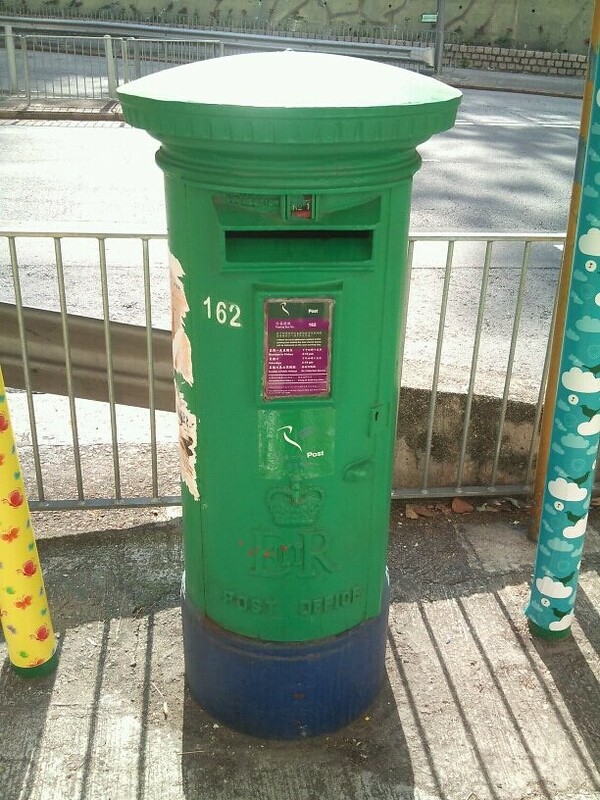 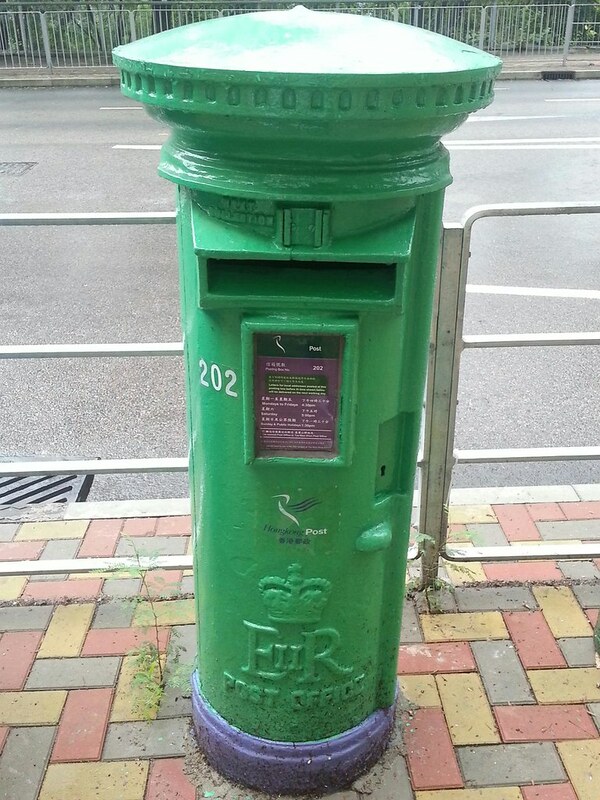 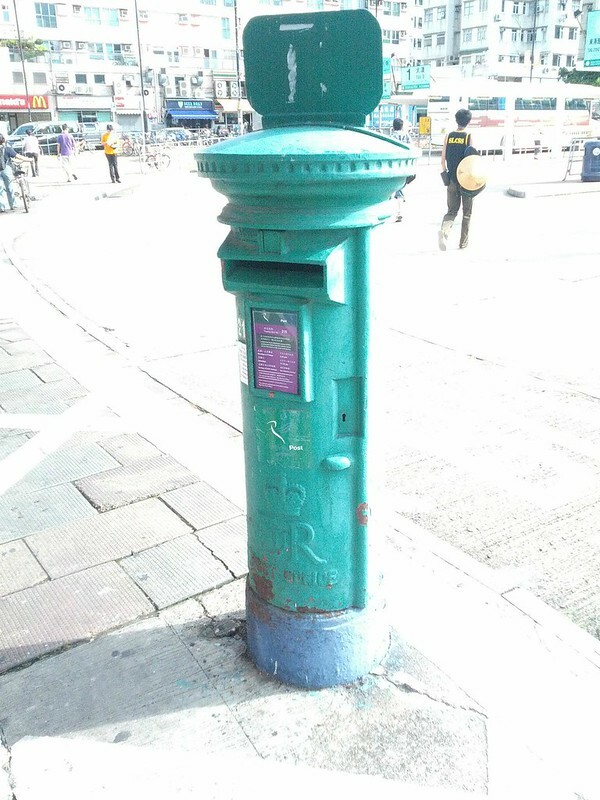 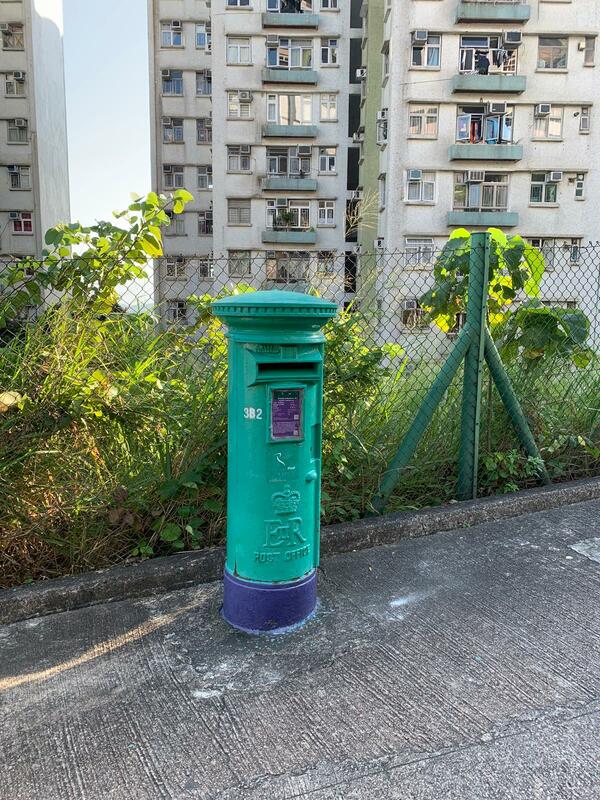 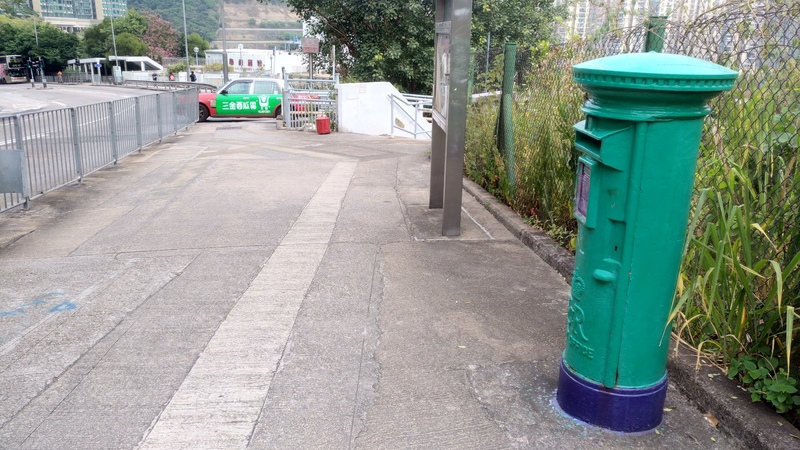 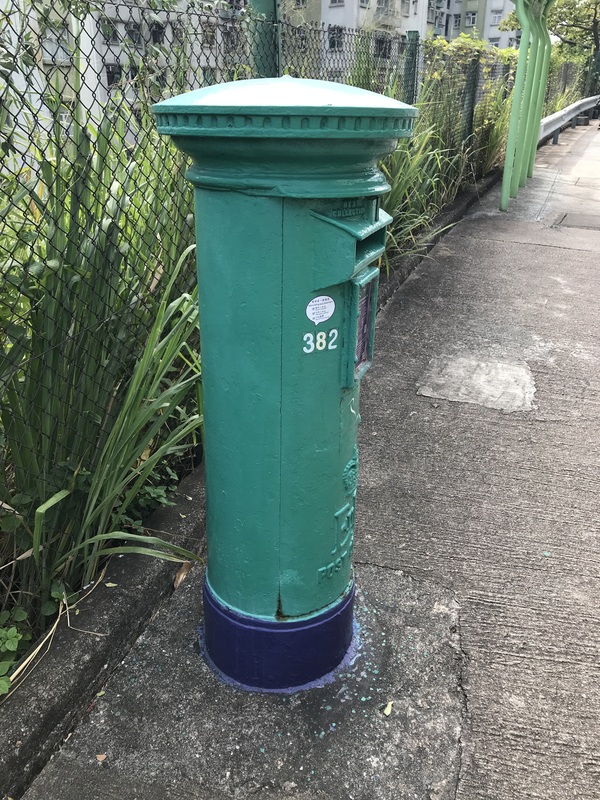 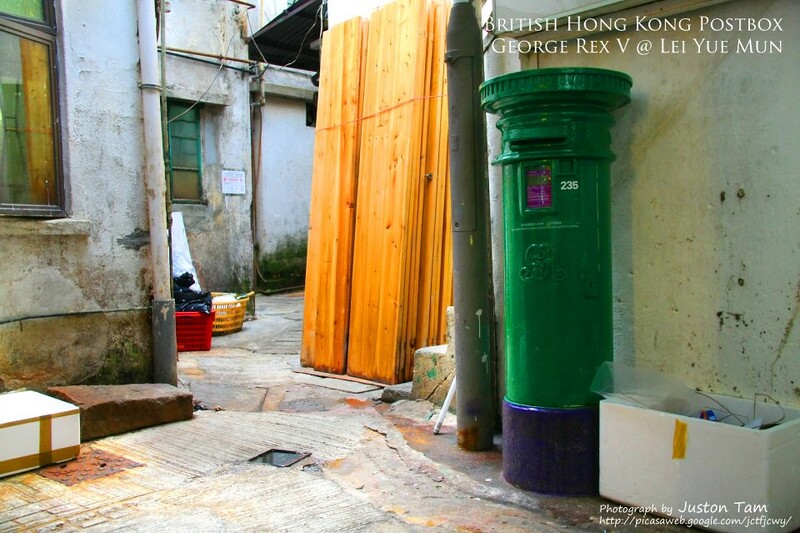 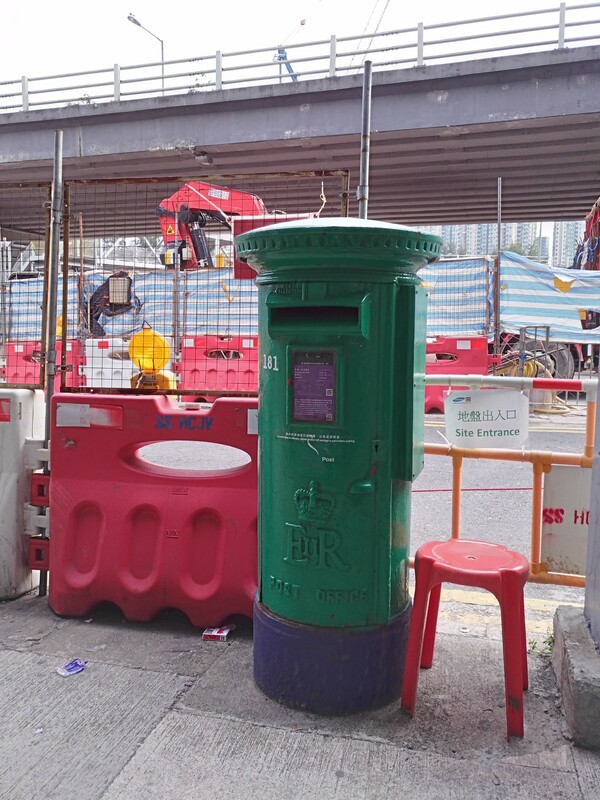 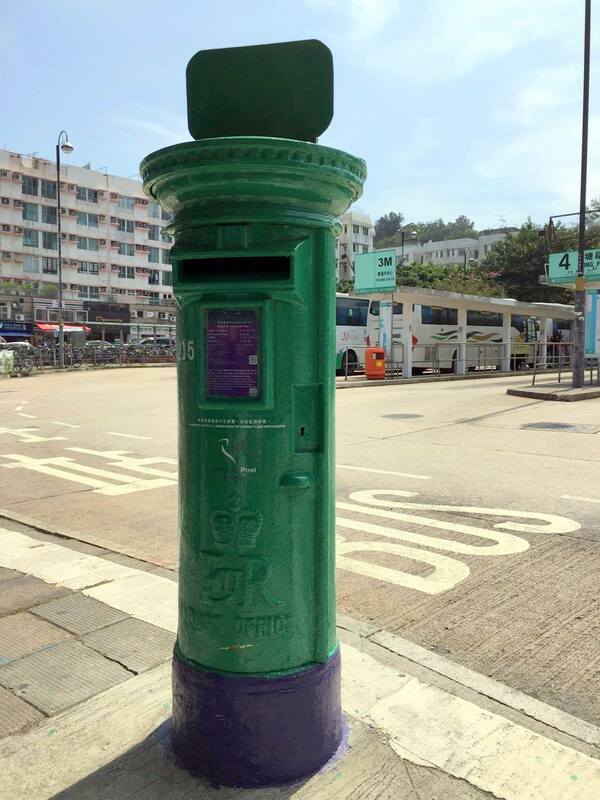 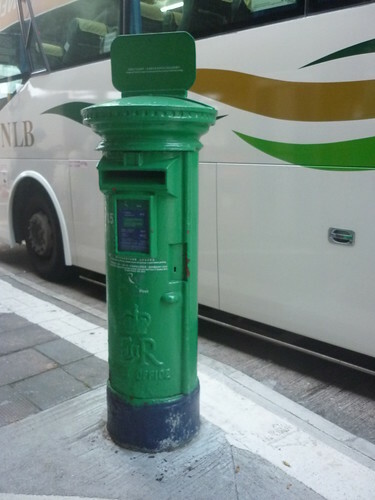 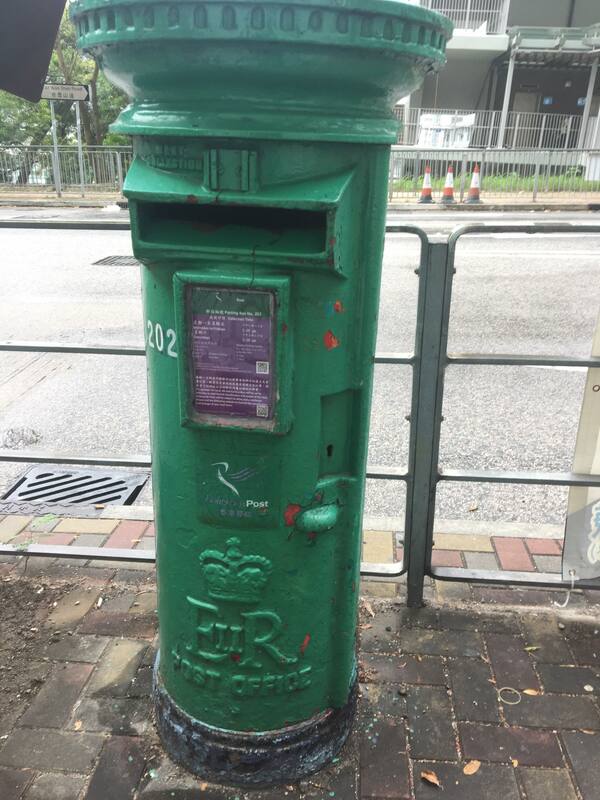 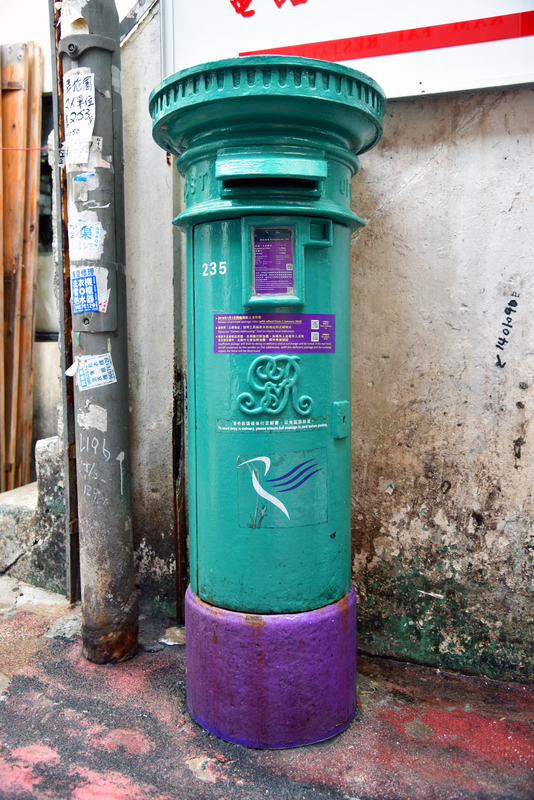 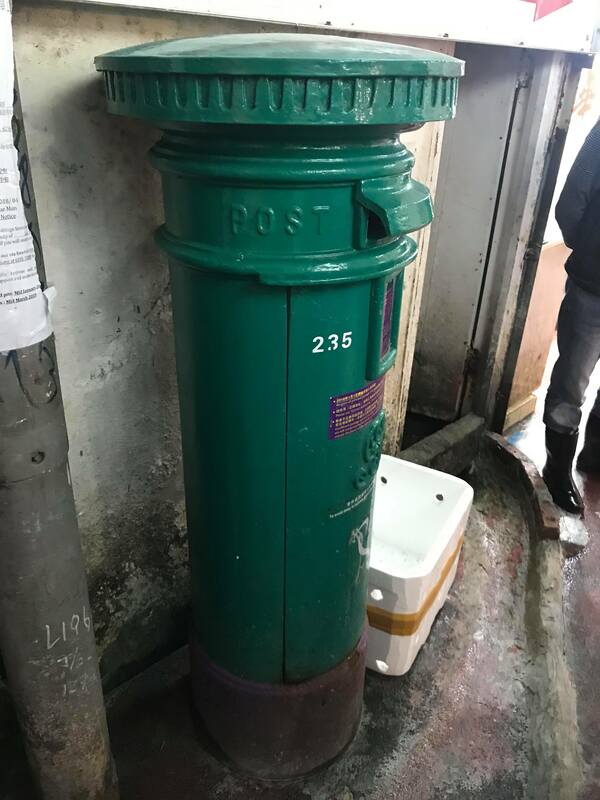 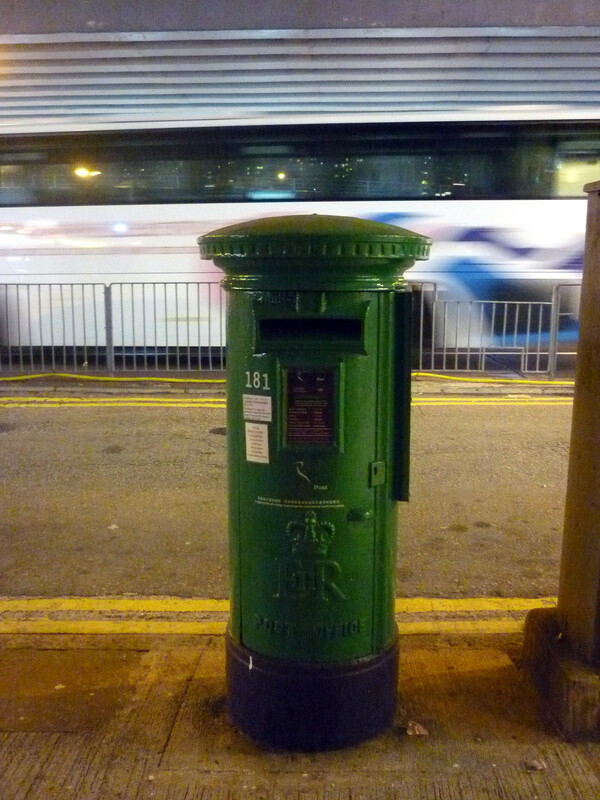 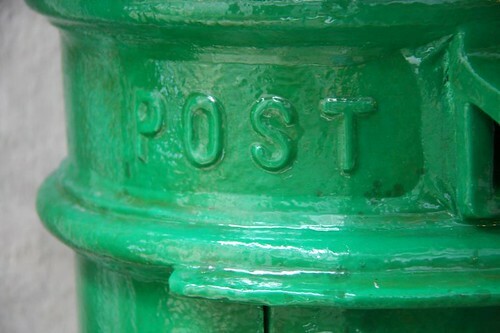 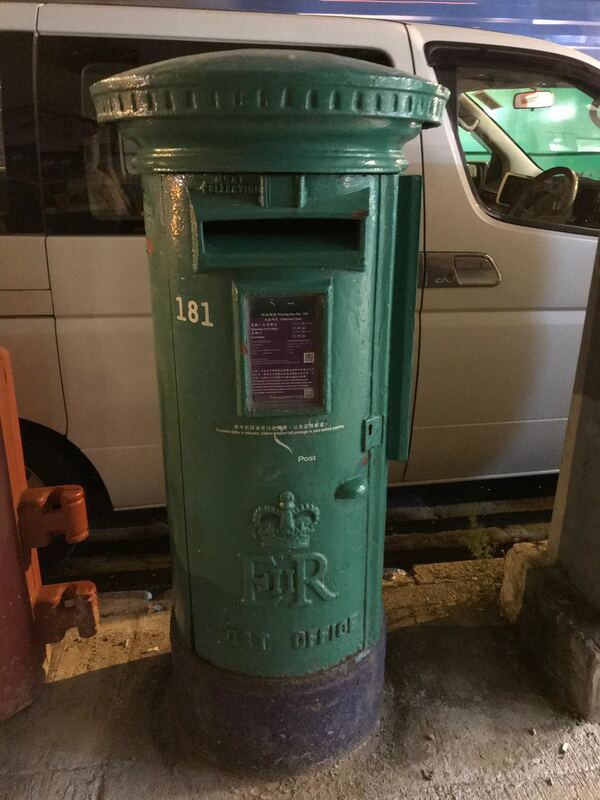 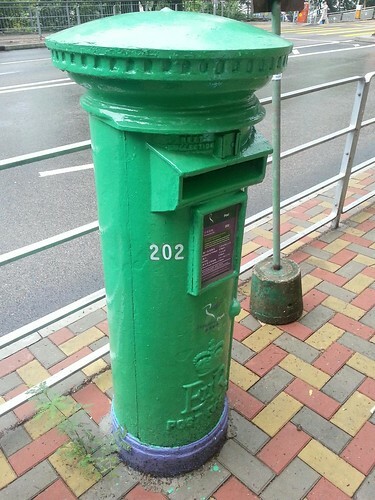 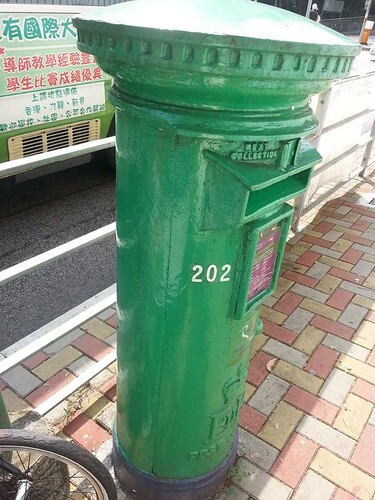 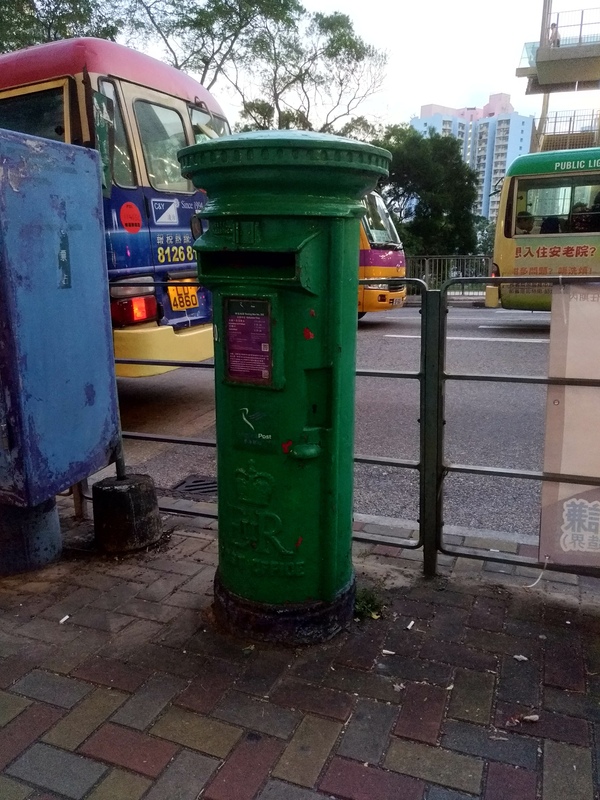 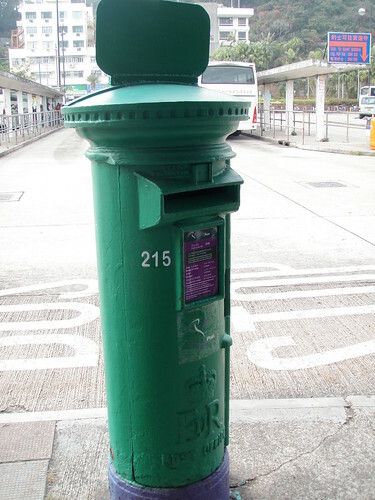 Thank you for your email of 11 January 2017 and our subsequent updates regarding the Street Posting Box (SPB) Number 131(located at La Salle Road, Kowloon Tong) and Number 215 (located at Mui Wo Ferry Pier, Lantau Island). 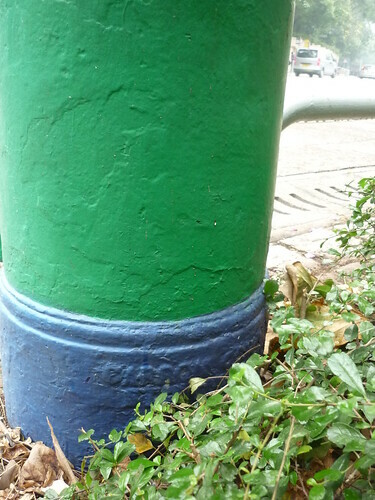 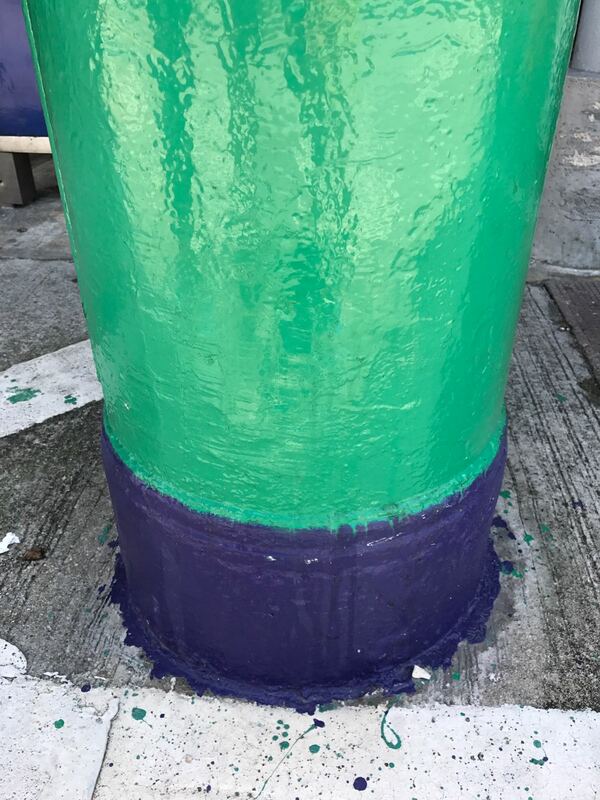 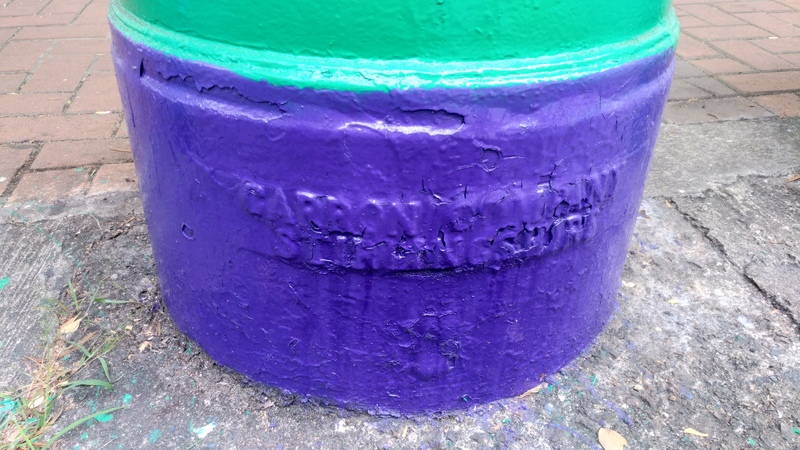 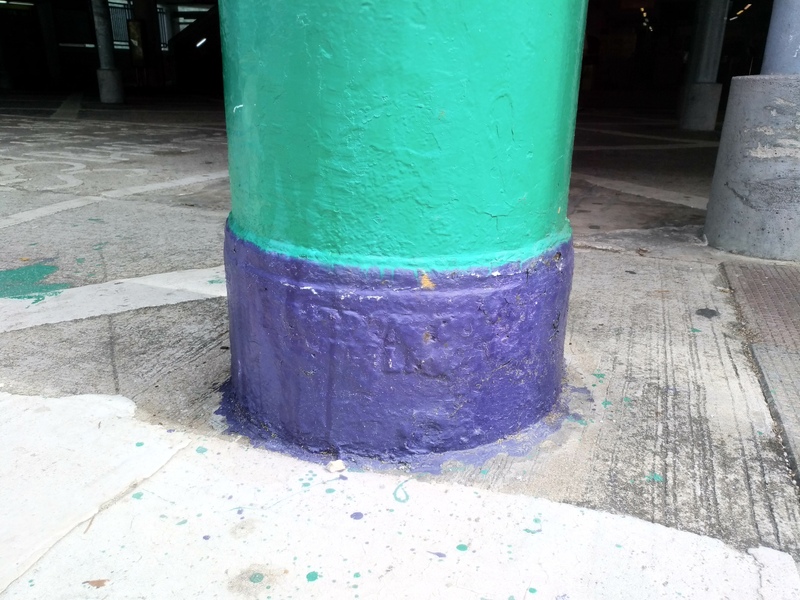 Please be advised that the repainting work of these two SPBs have been completed. 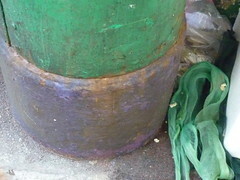 Photos showing their conditions after the re-painting work are attached for your reference, please. 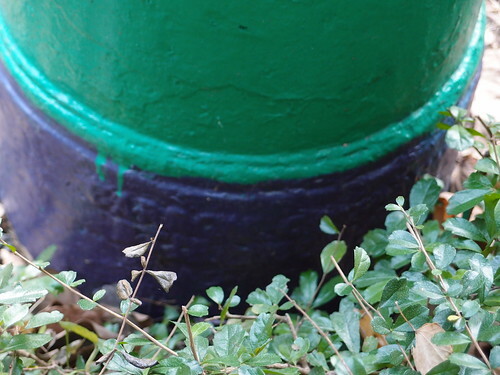 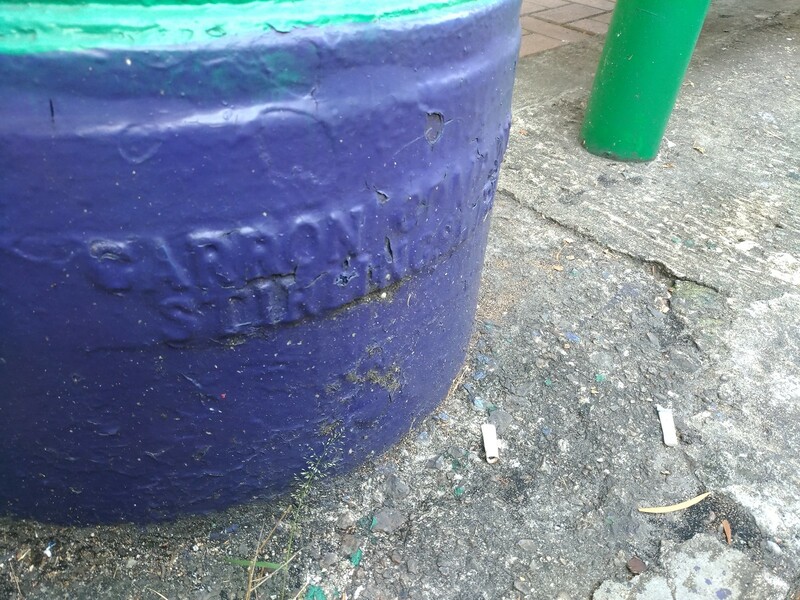 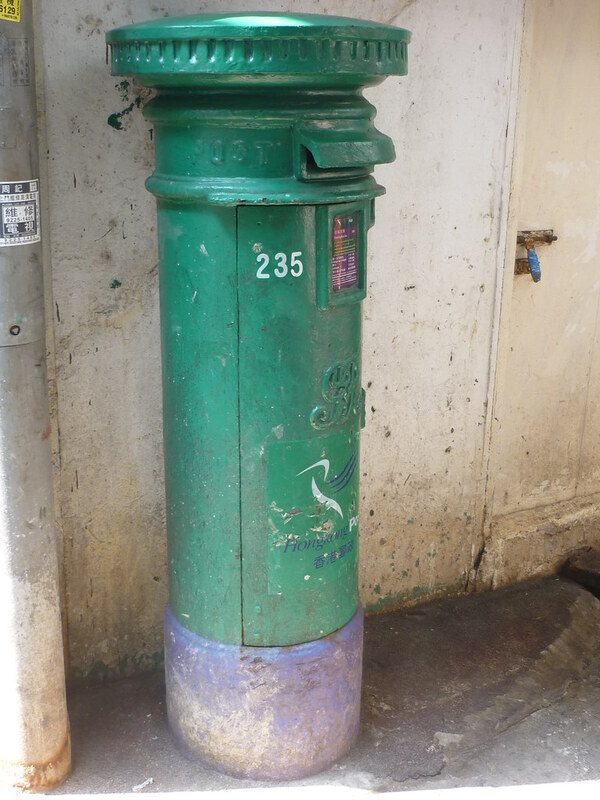 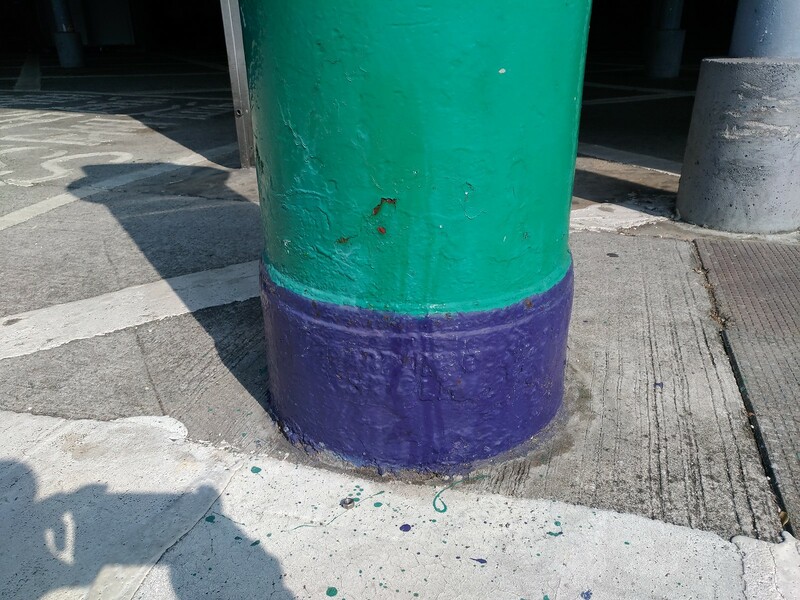 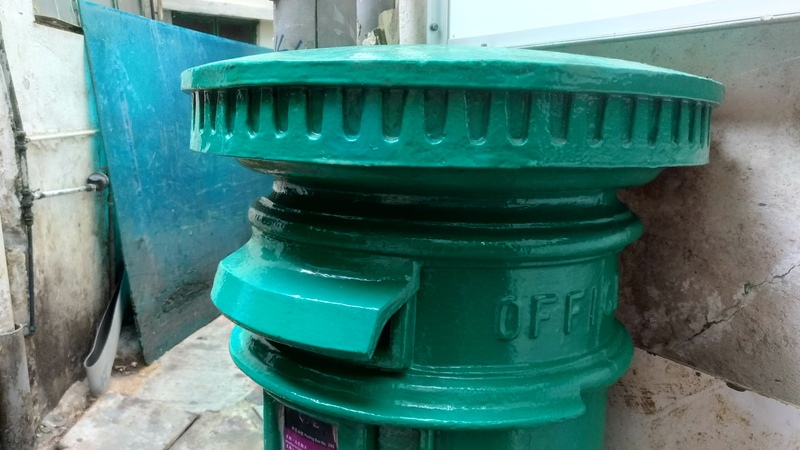 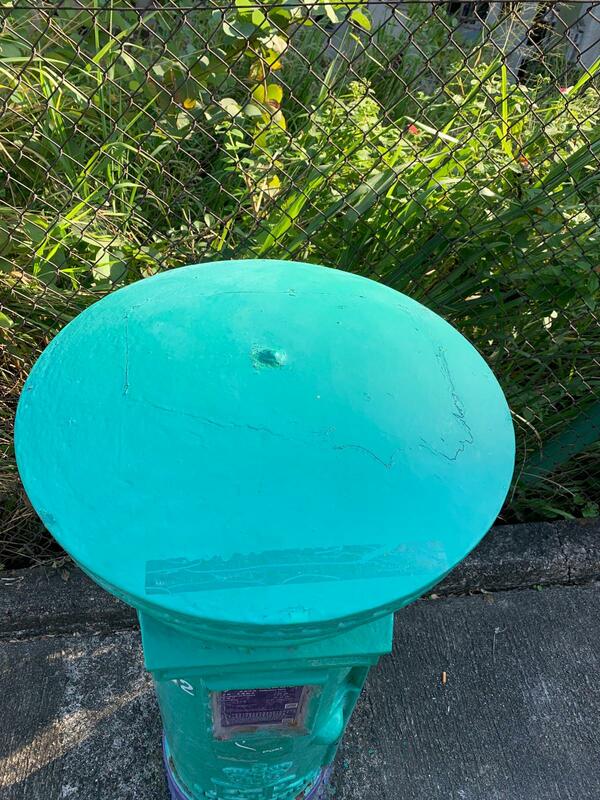 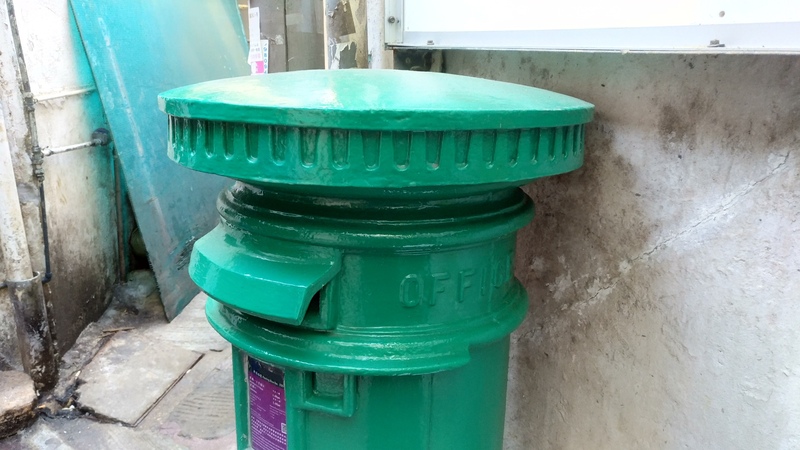 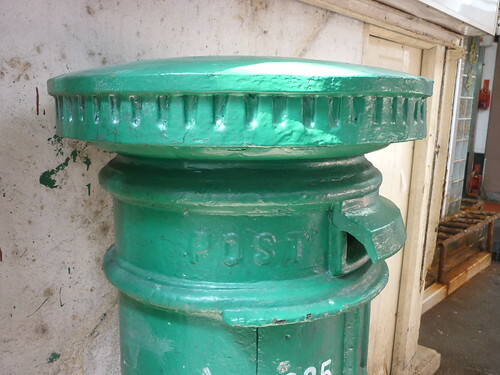 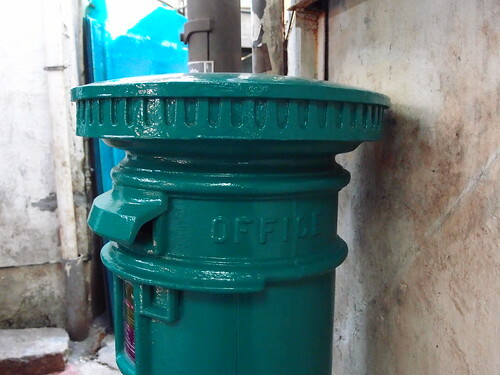 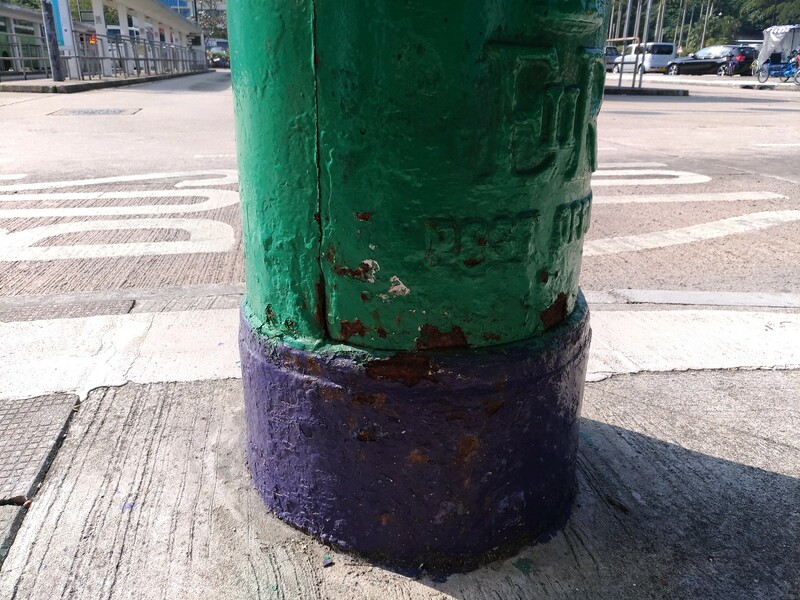 Another updates that we have engaged a contractor, and it is expected that the suitable maintenance and repainting work for the two posting boxes would be completed by around early Mar 2017. 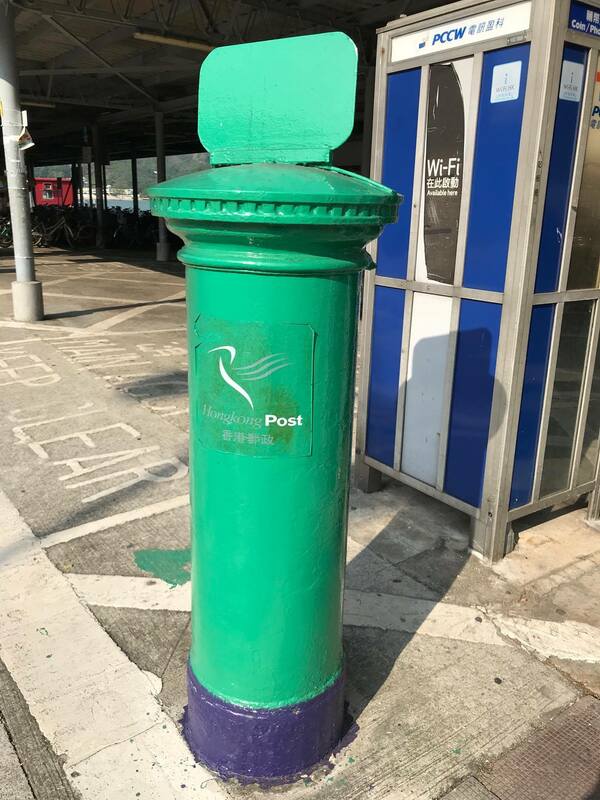 We will keep you posted once the job is completed. 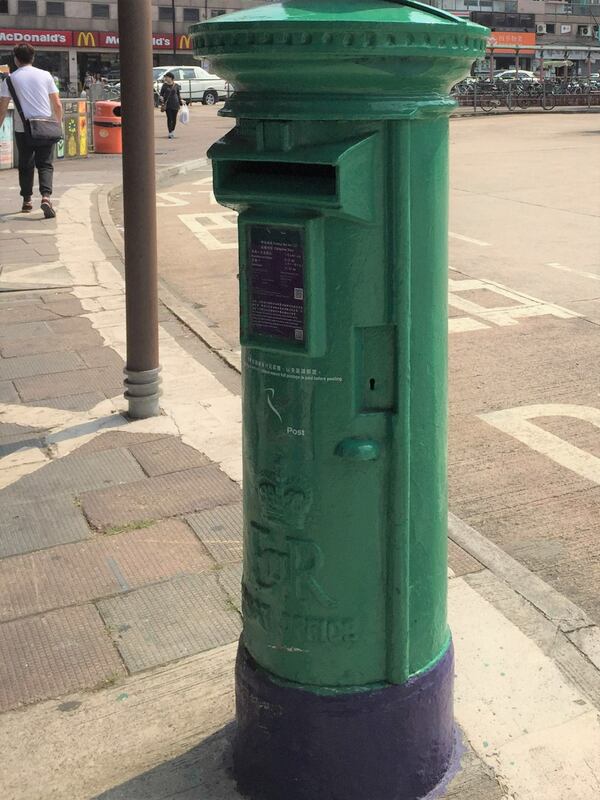 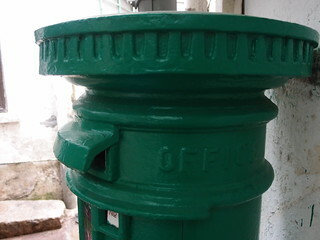 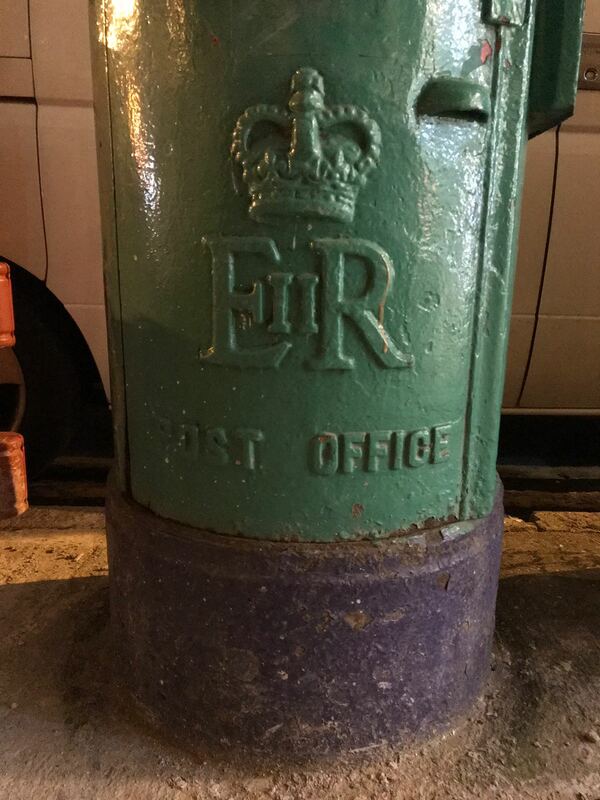 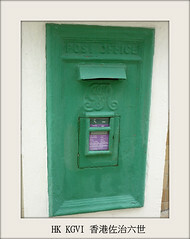 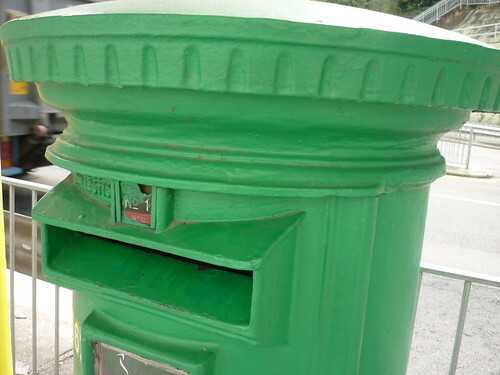 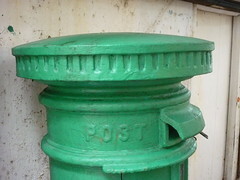 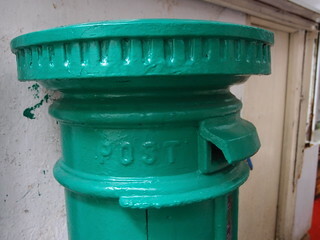 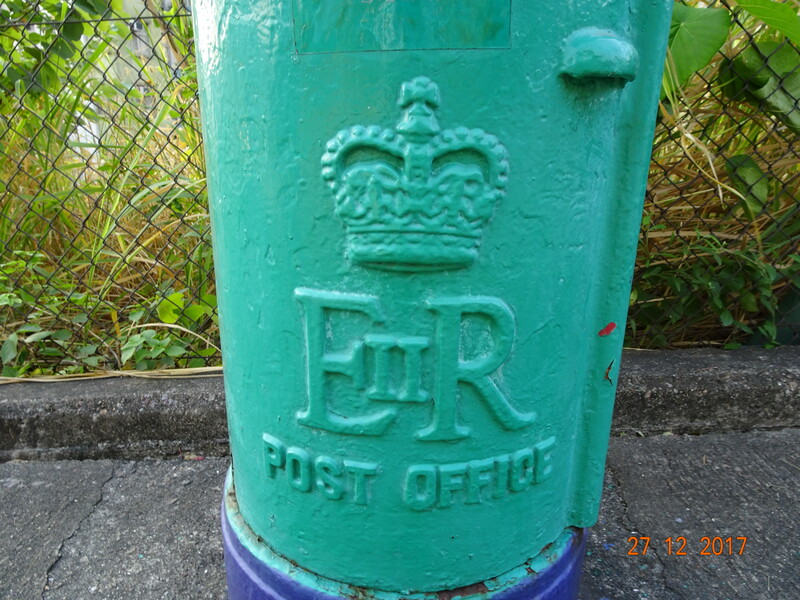 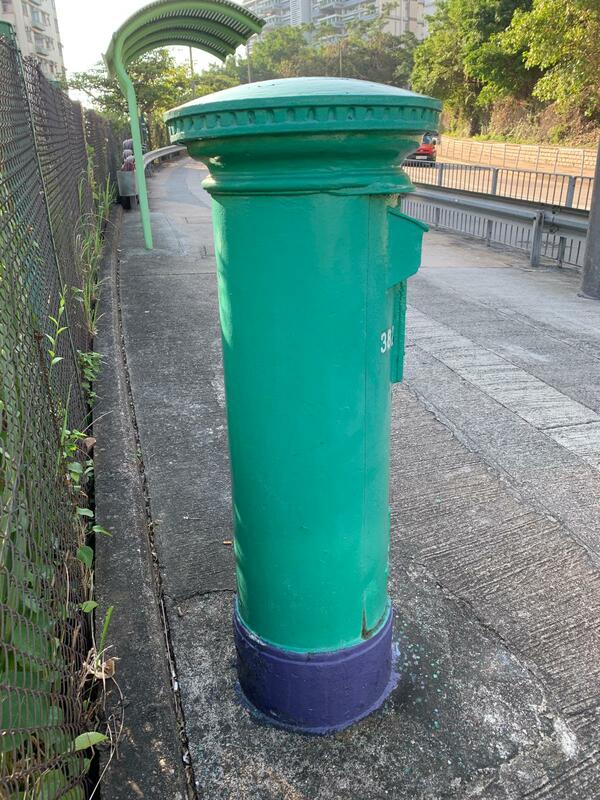 Please be updated that we are inviting contractor to carry out suitable maintenance and repainting work for the two posting boxes. 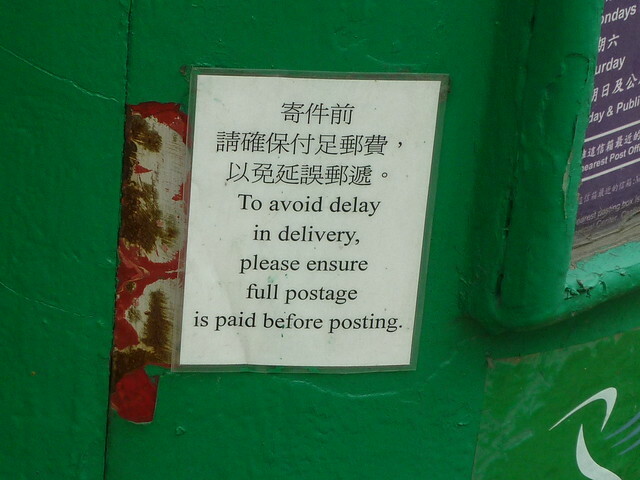 We will keep you posted the progress in due course. 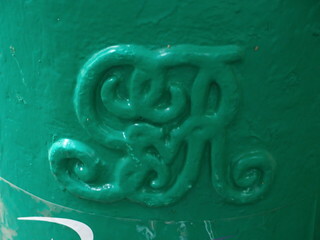 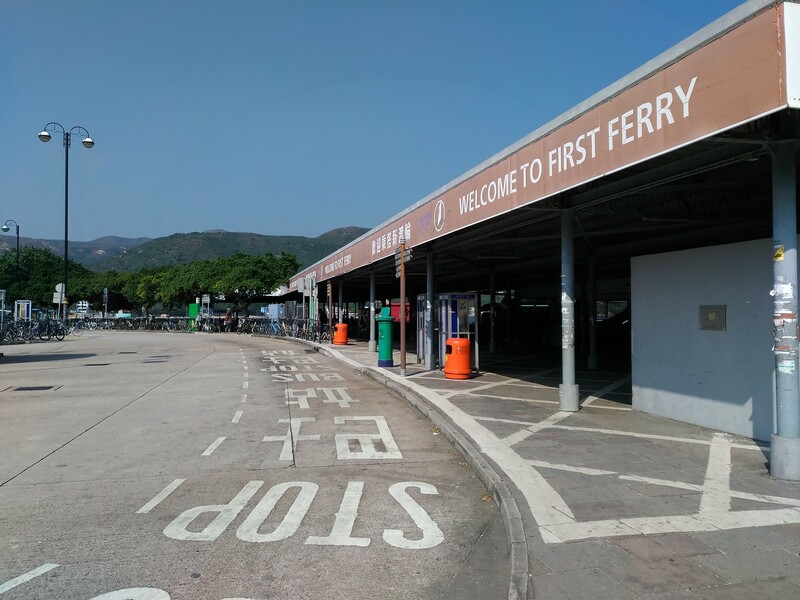 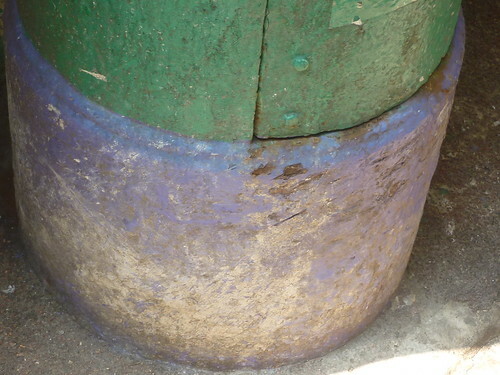 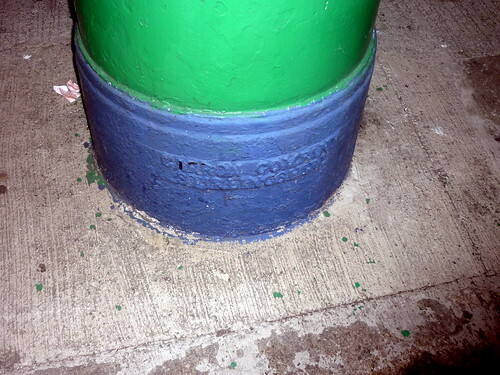 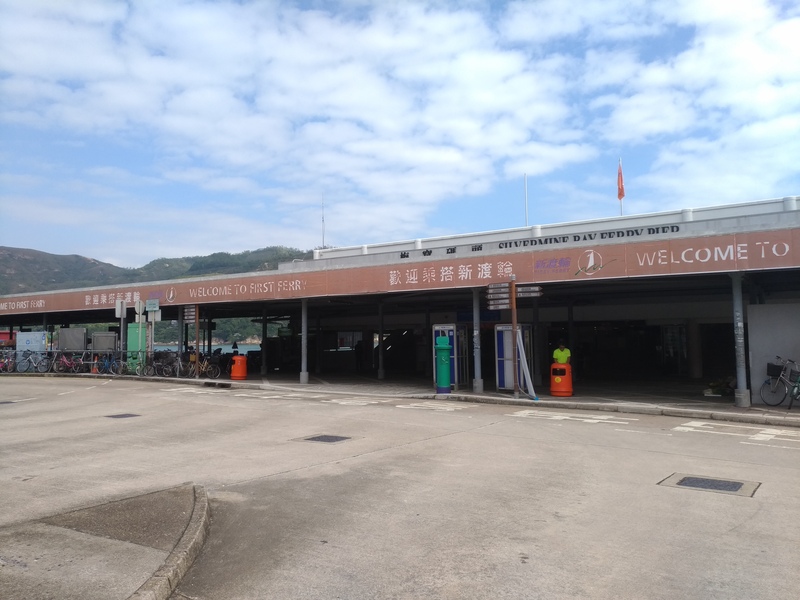 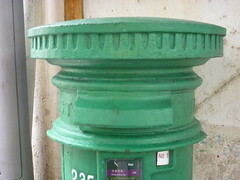 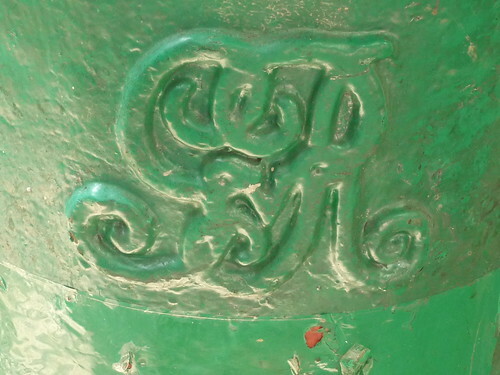 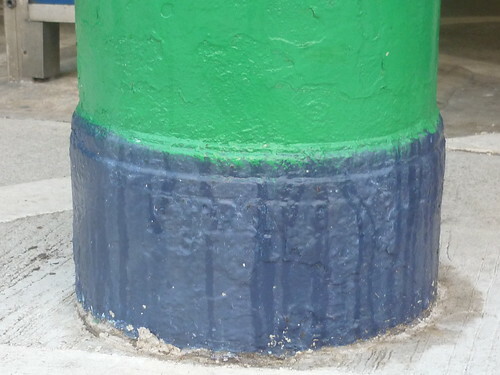 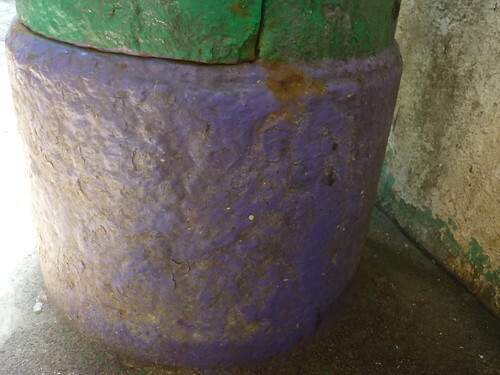 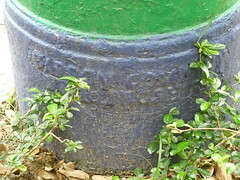 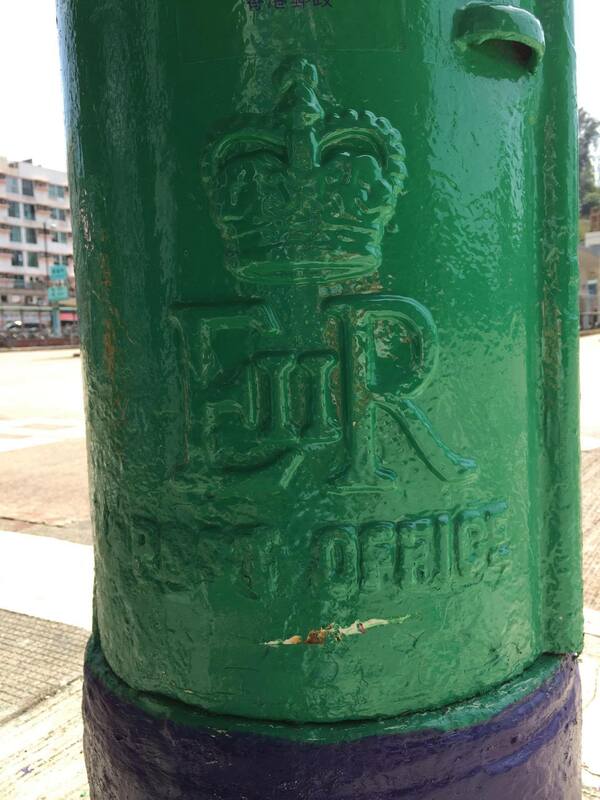 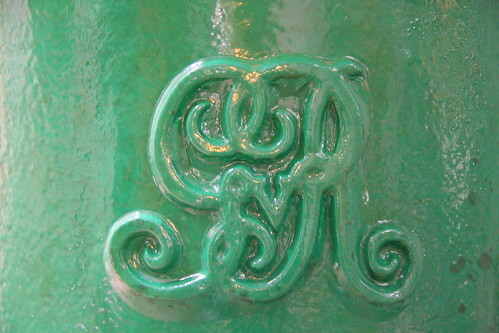 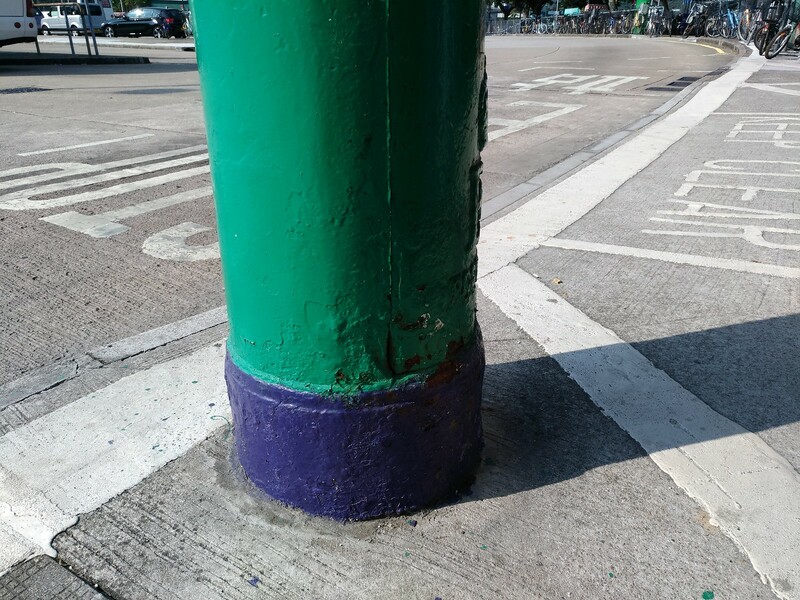 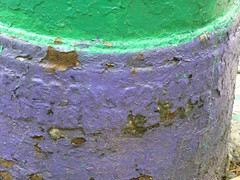 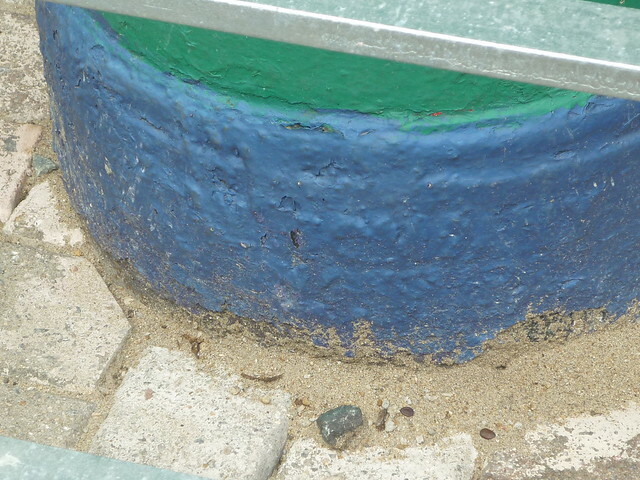 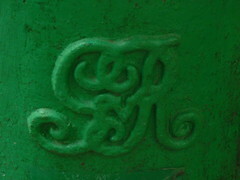 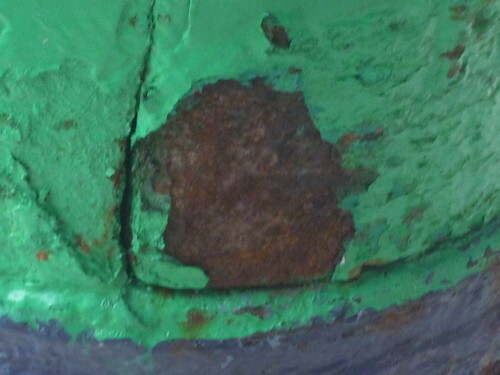 No.215 (Mui Wo Ferry Pier, Lantau Island https://goo.gl/QEYifu): rust near where the main body and the base connect. 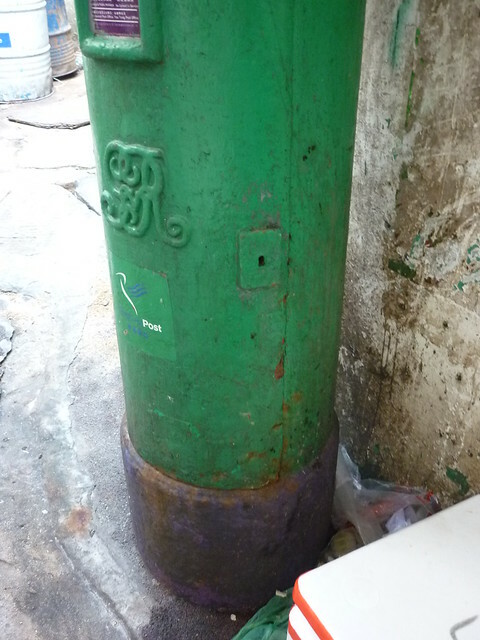 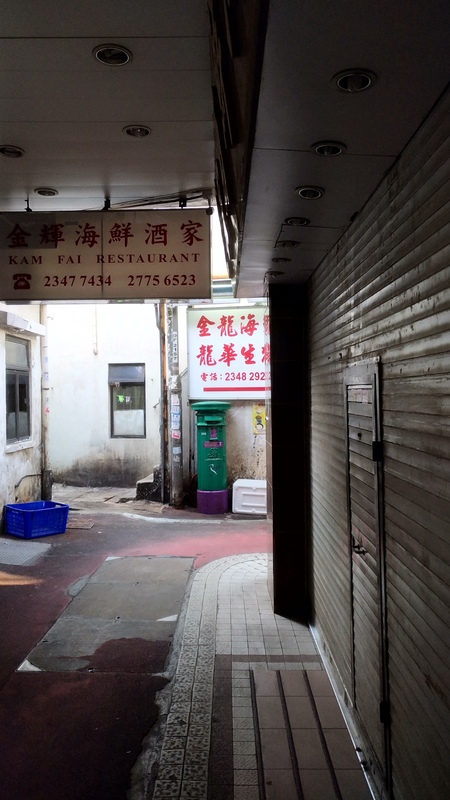 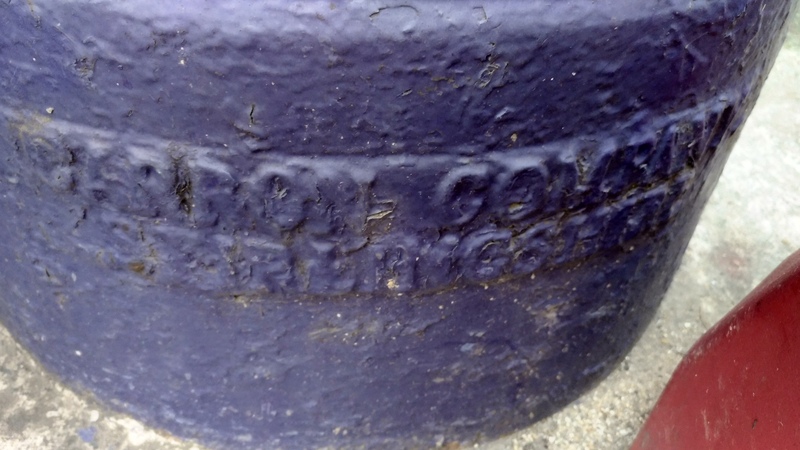 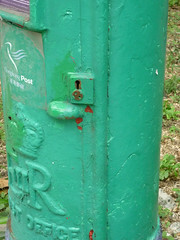 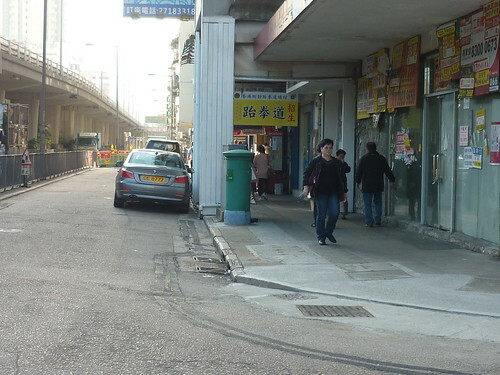 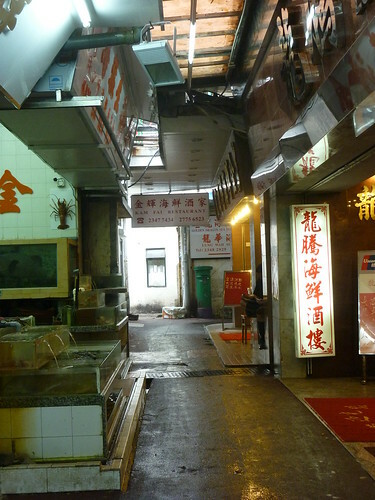 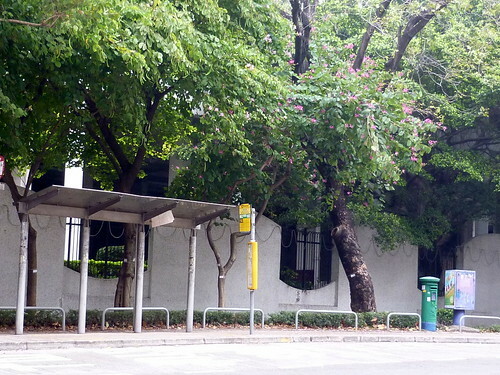 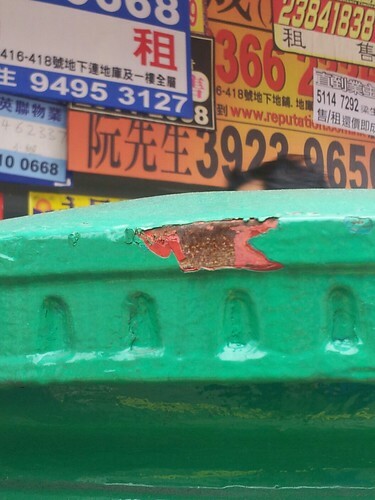 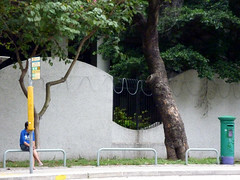 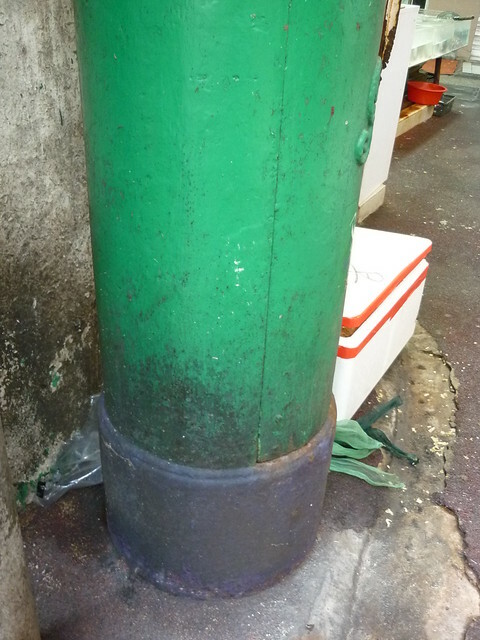 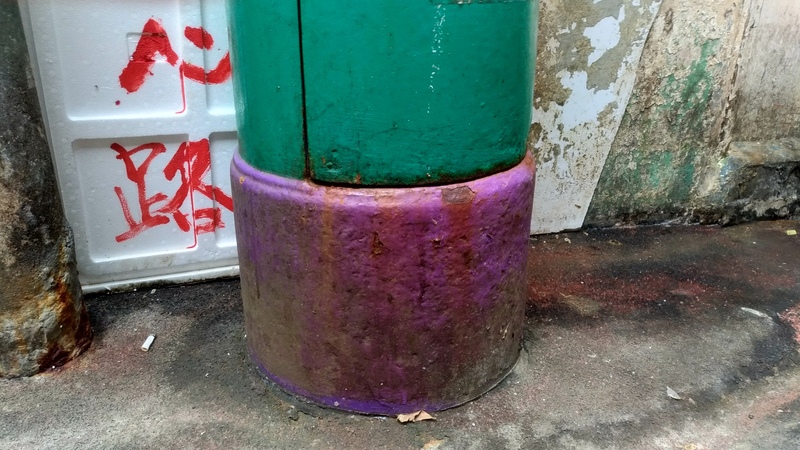 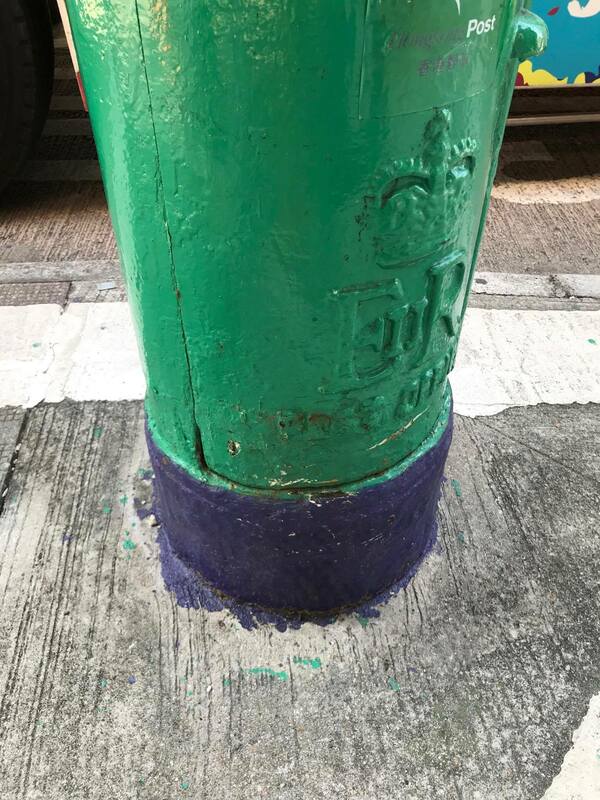 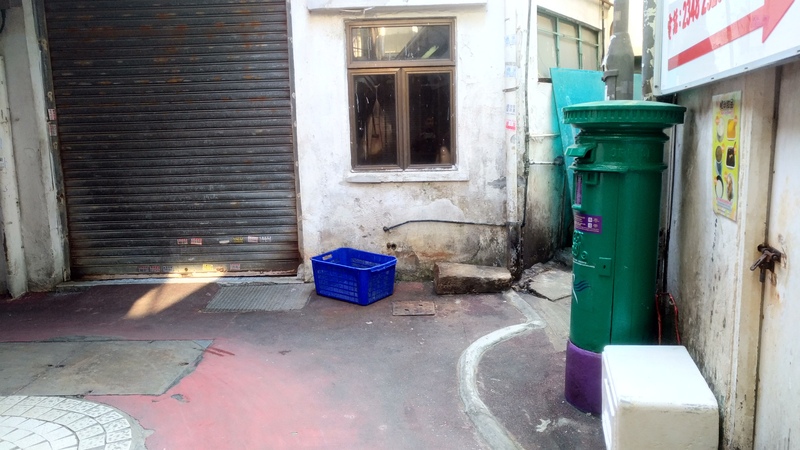 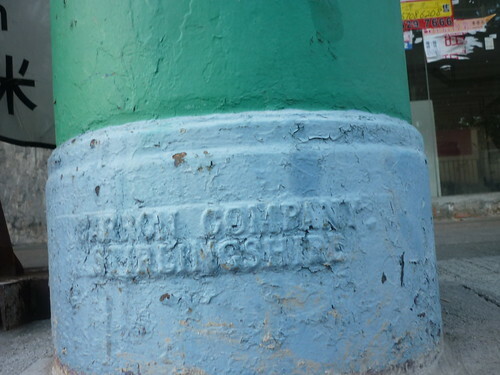 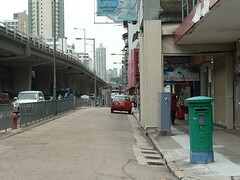 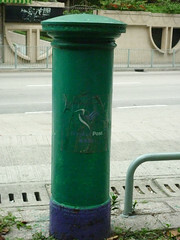 No.131 (Boundary Street / La Salle Road, Kowloon Tong https://goo.gl/kLnger): rust near where the main body and the base connect. 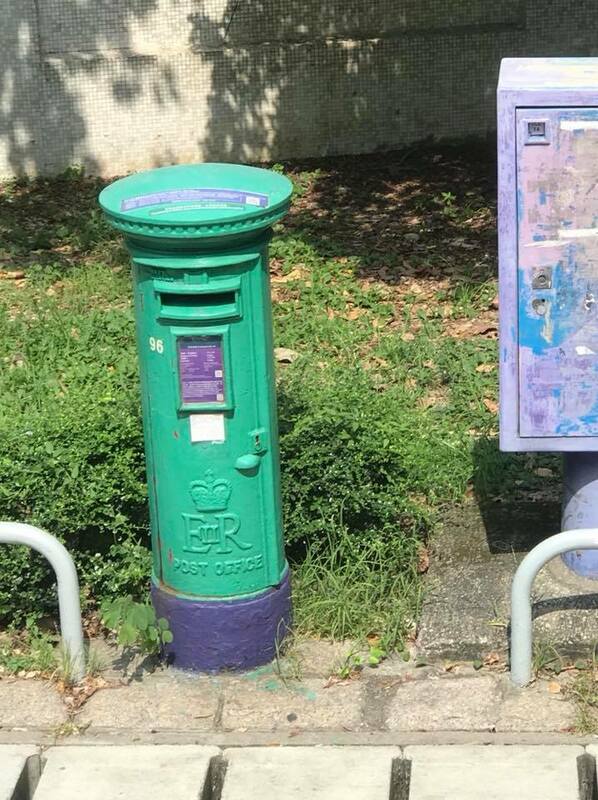 I would be grateful if you would keep me posted of any updates on these two boxes. 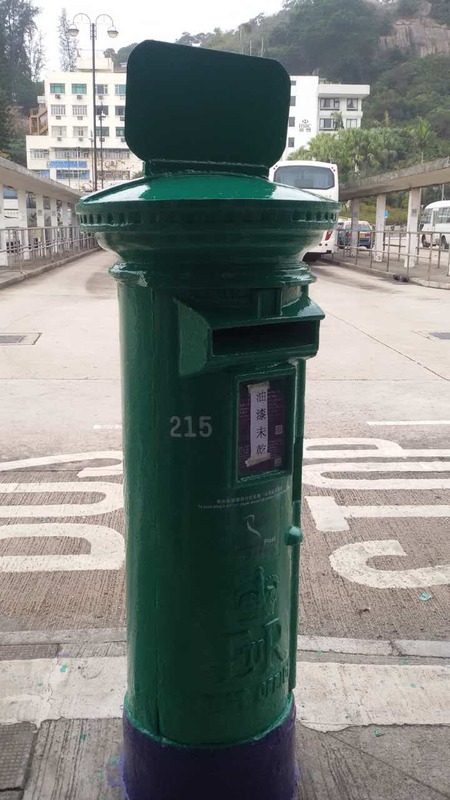 Please be informed that remedial action has already been taken on 25.11.2013 and attached please find a photo taken on that day for your reference. 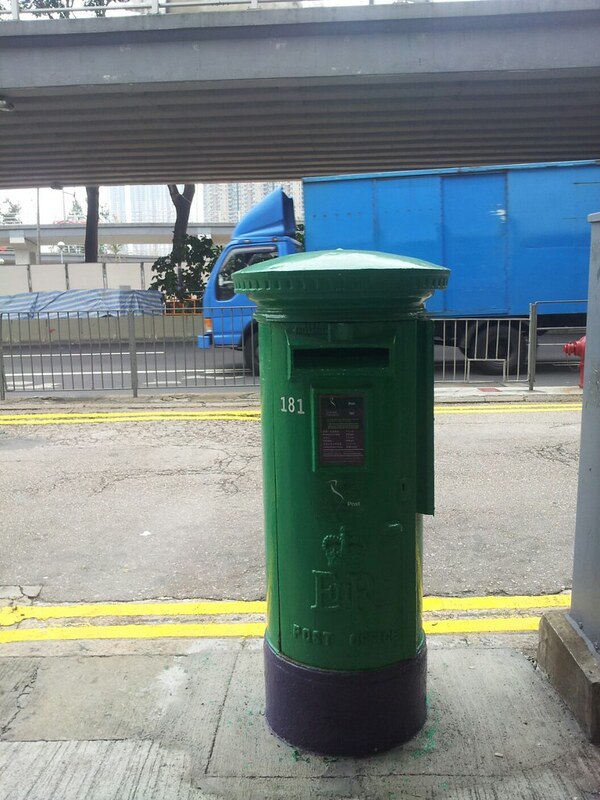 Sorry for the late reply. 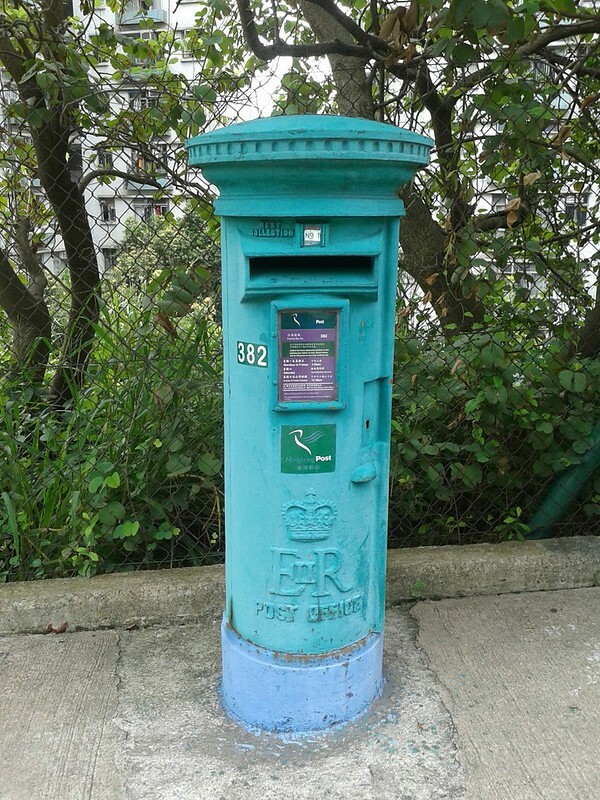 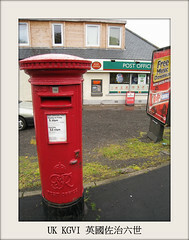 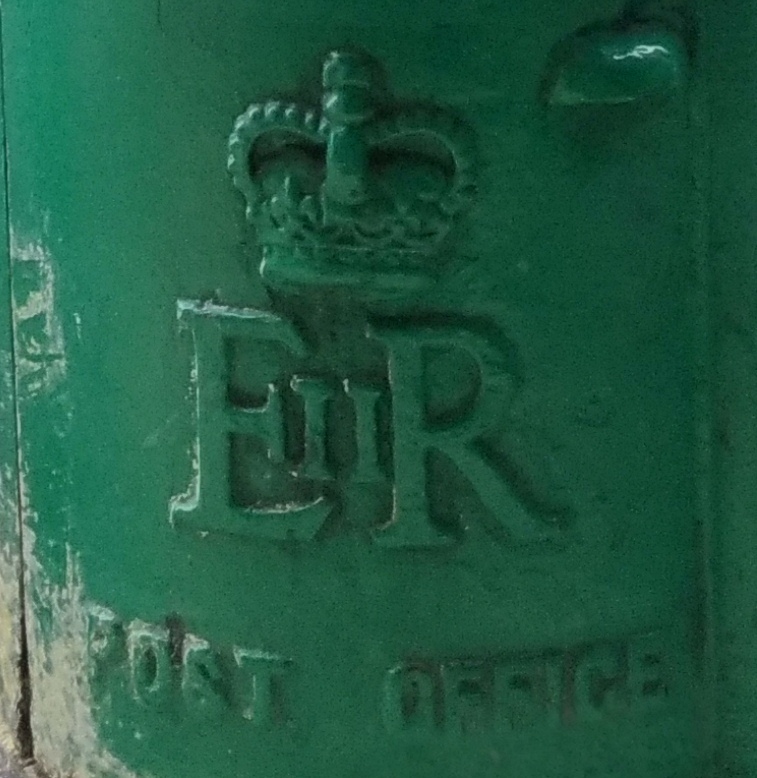 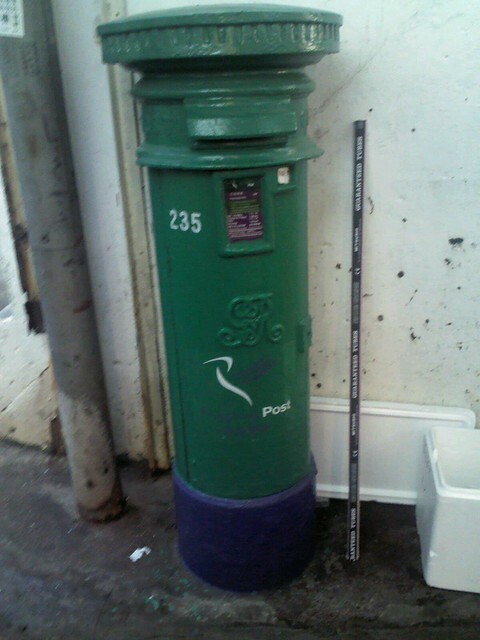 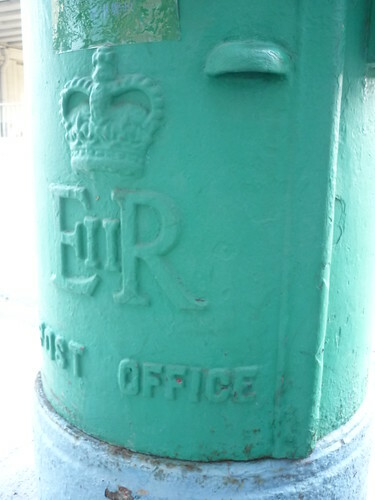 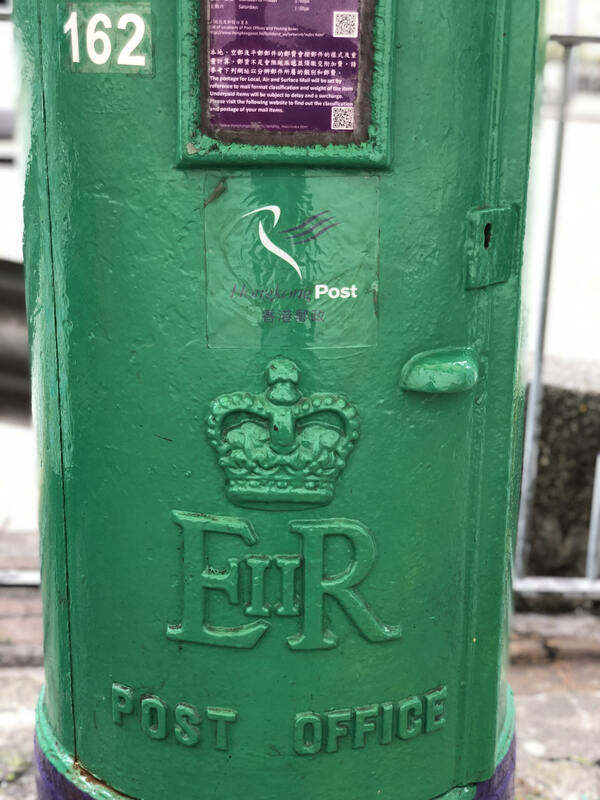 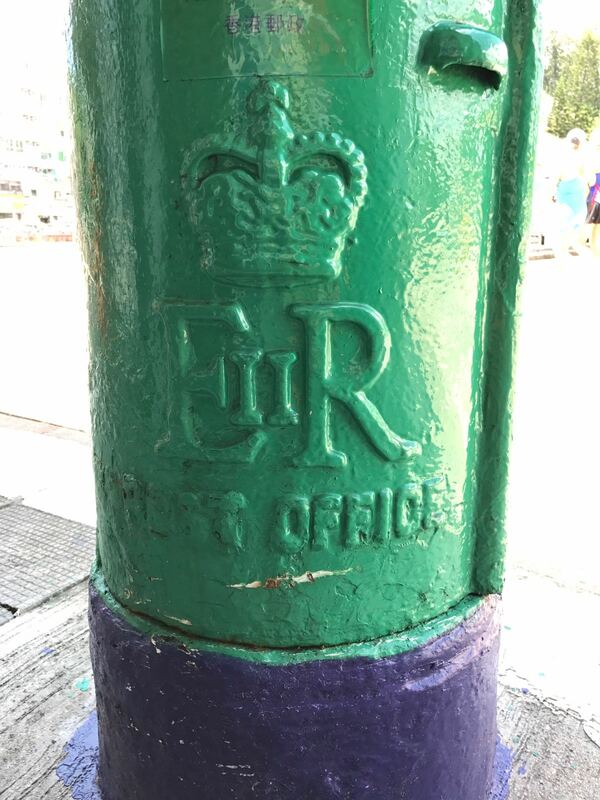 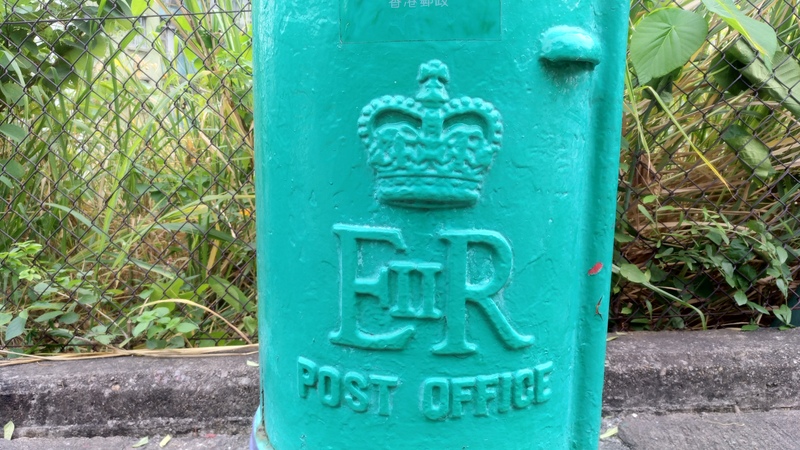 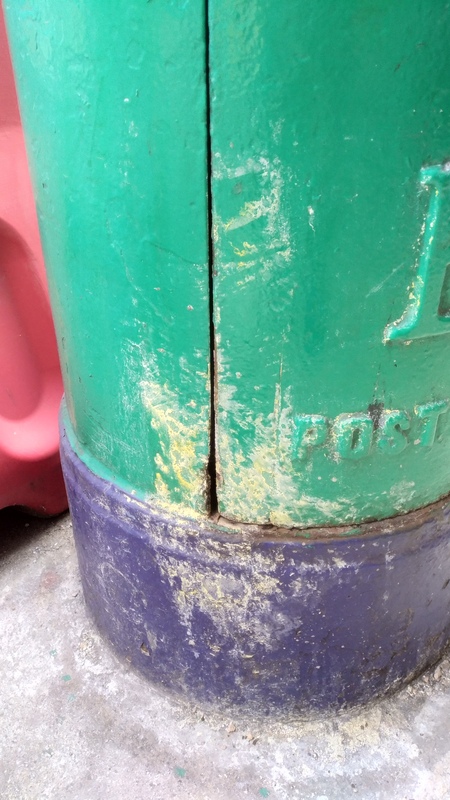 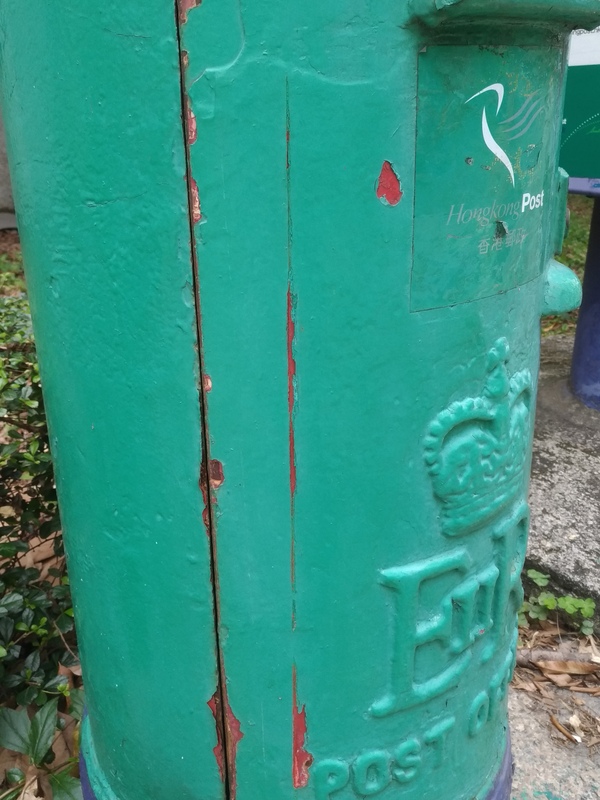 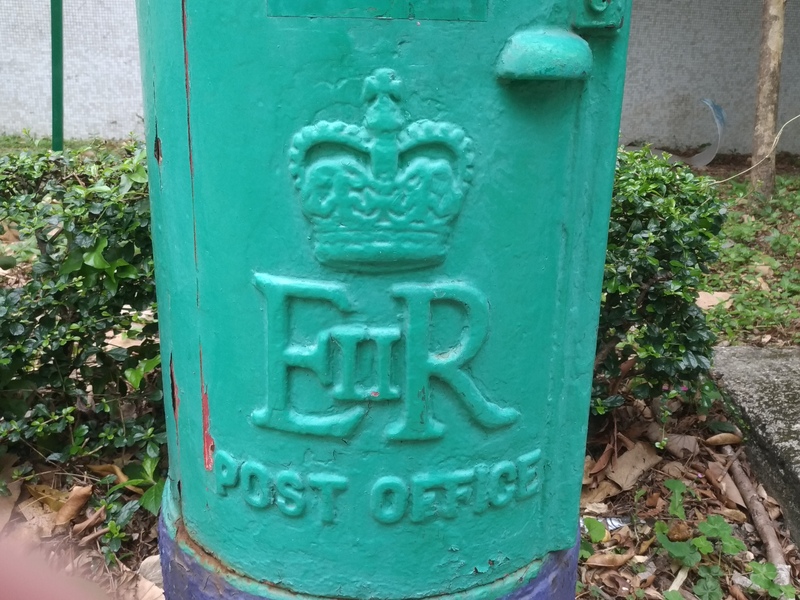 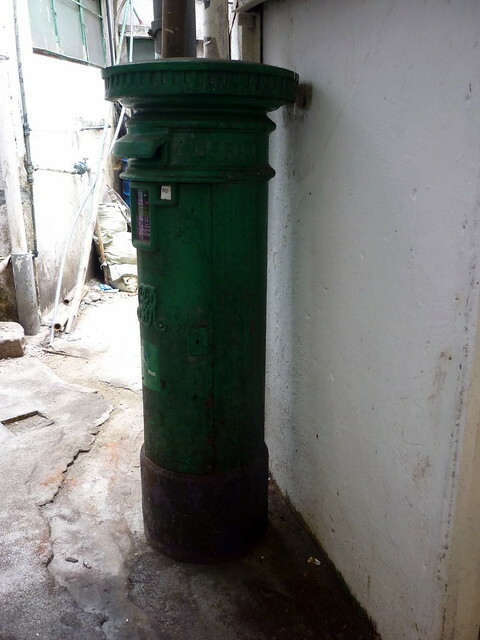 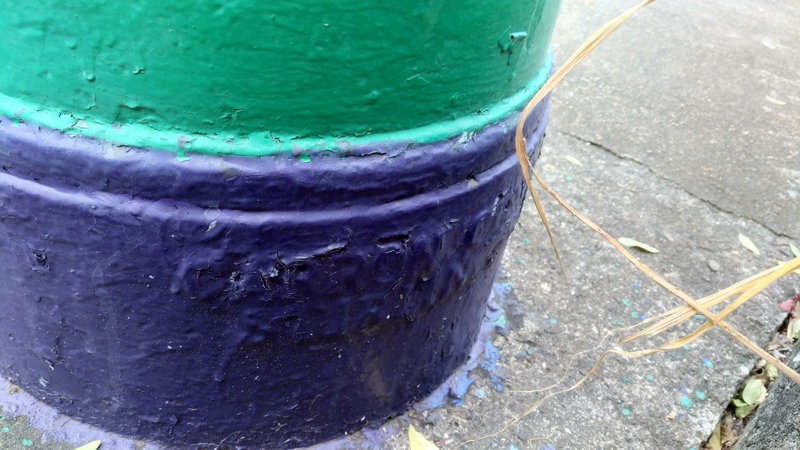 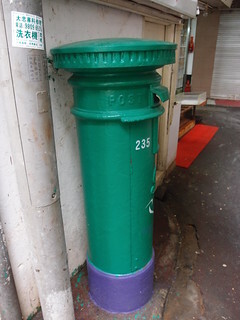 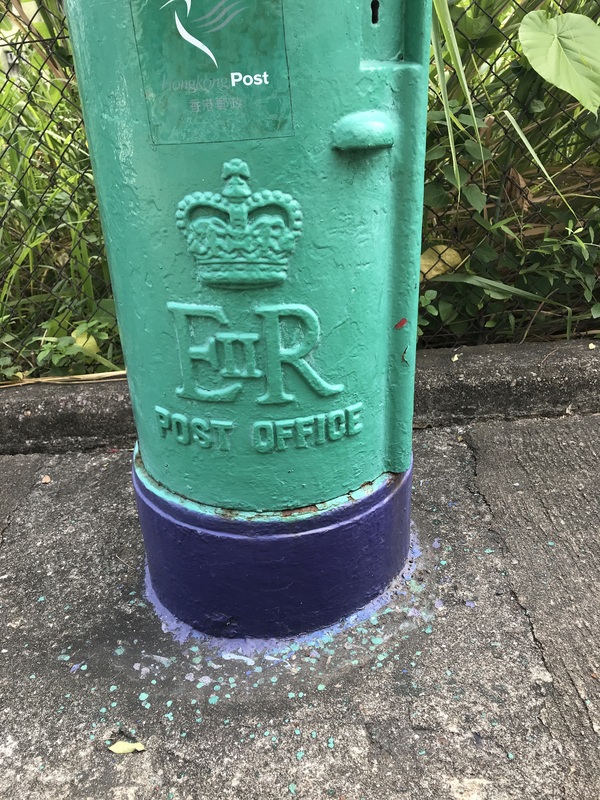 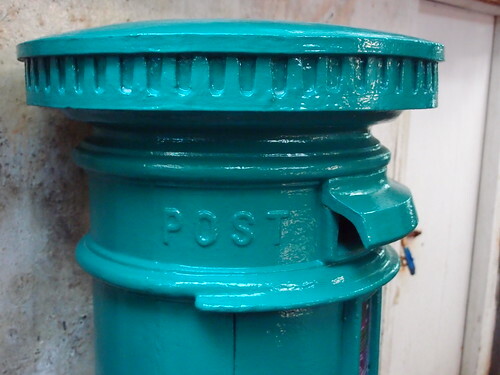 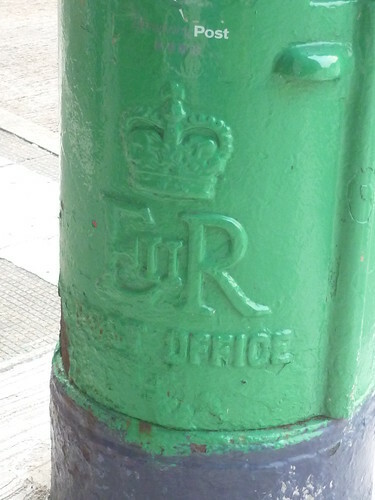 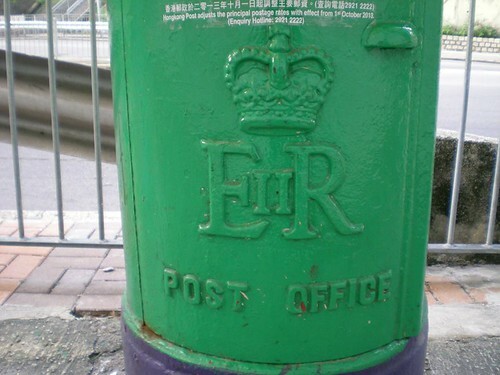 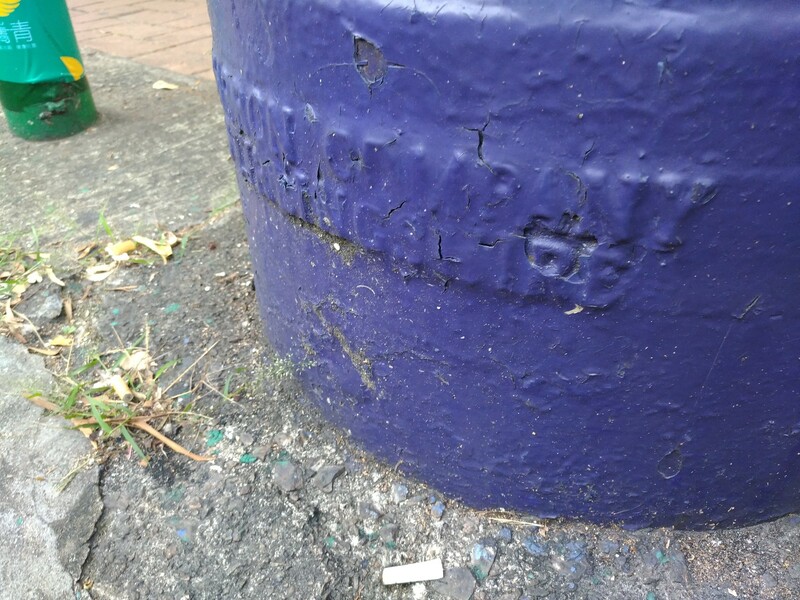 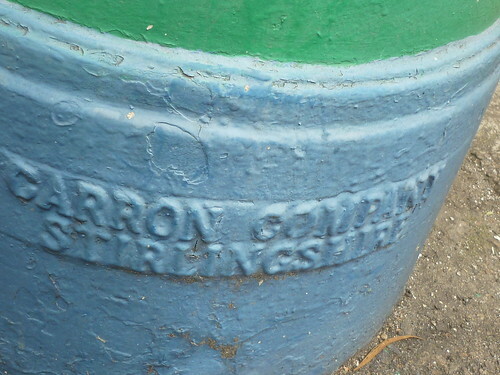 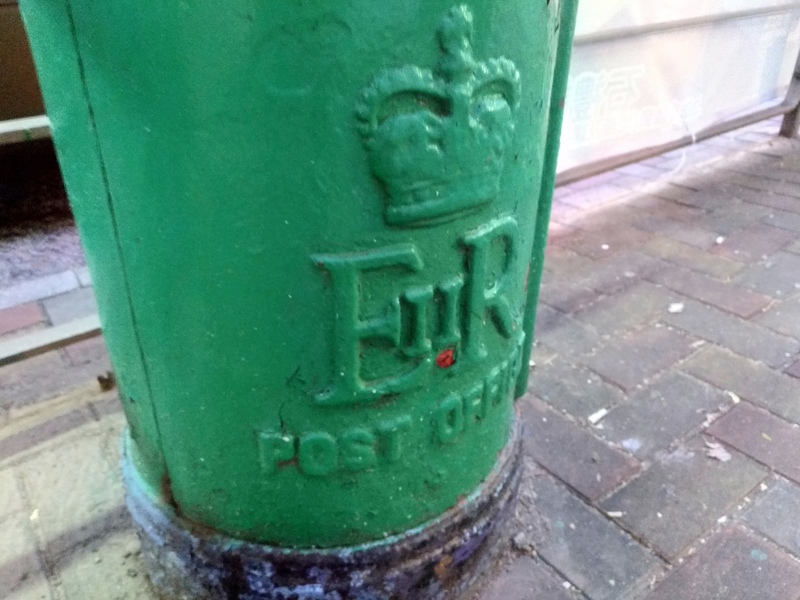 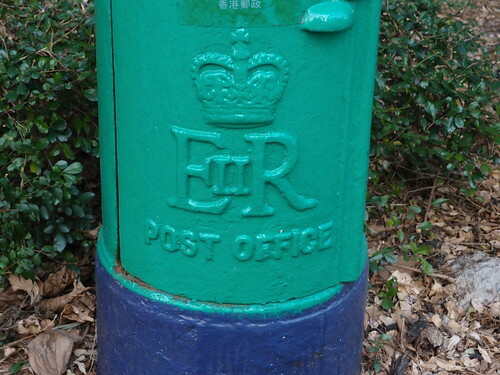 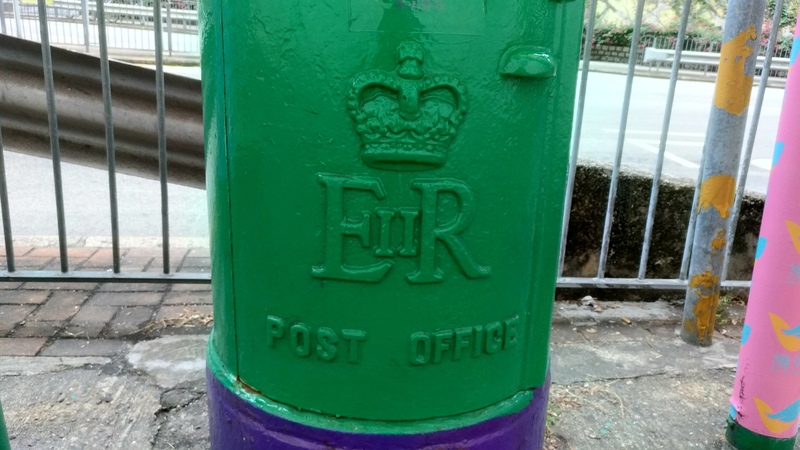 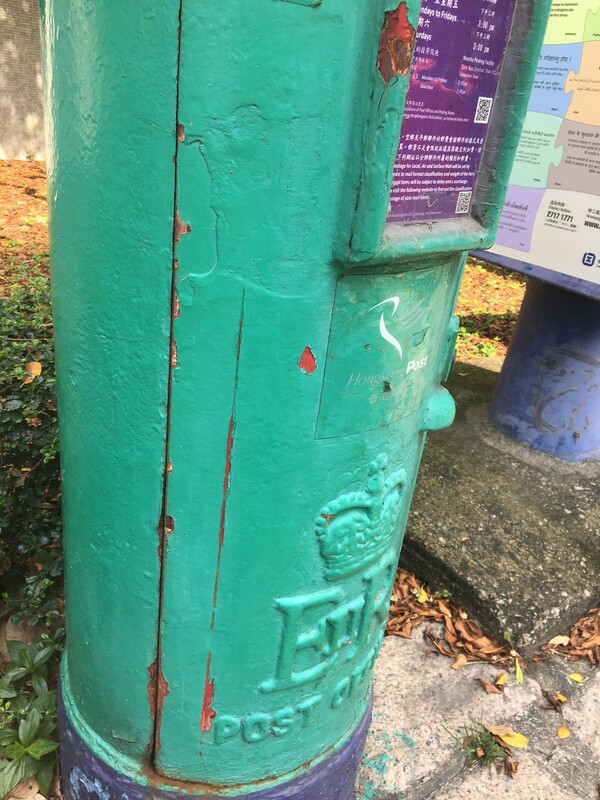 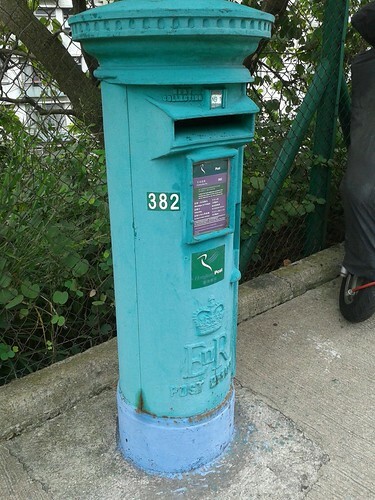 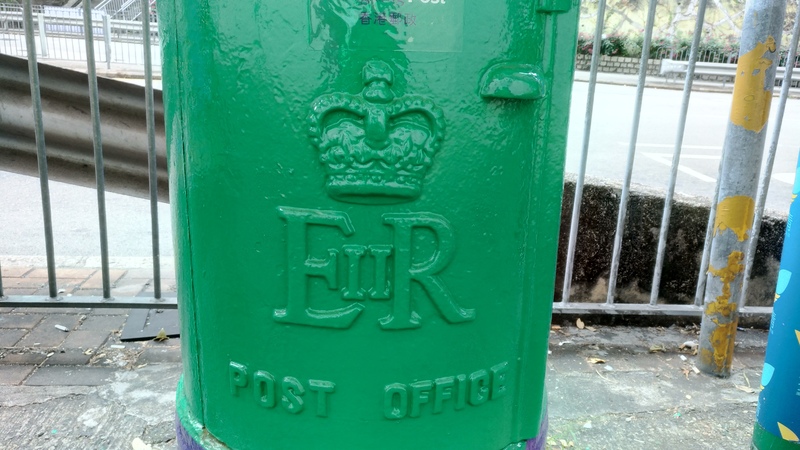 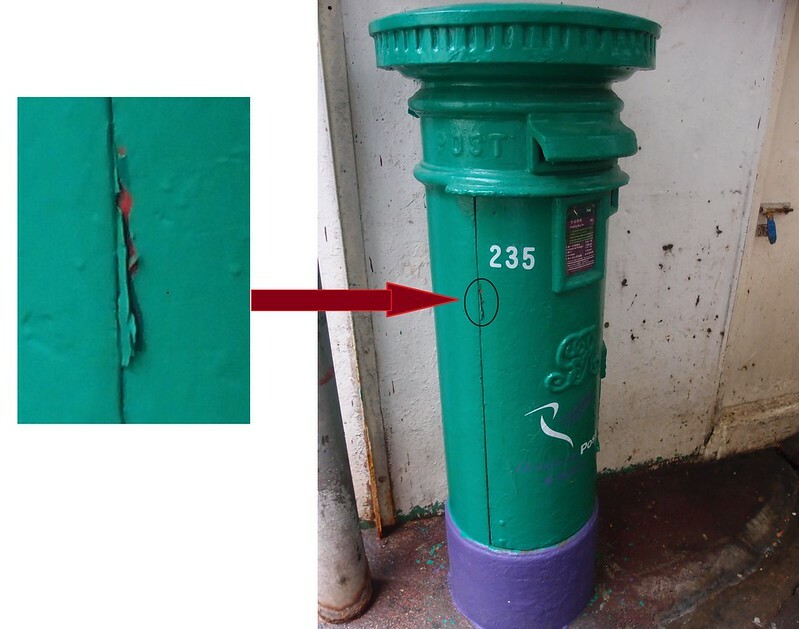 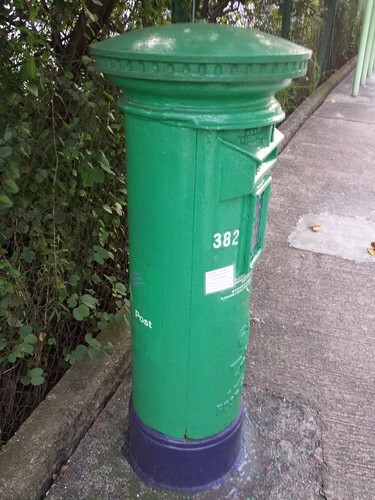 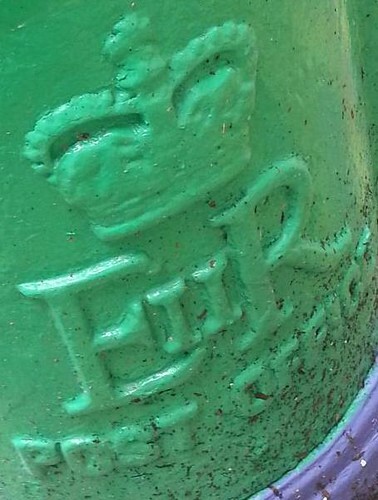 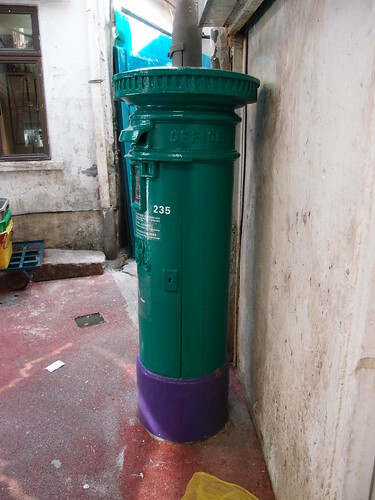 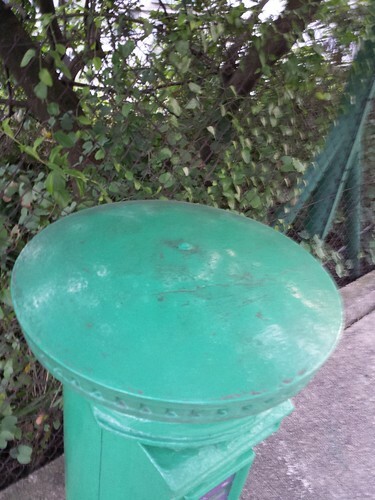 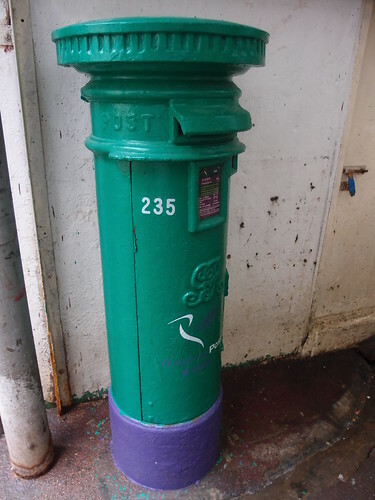 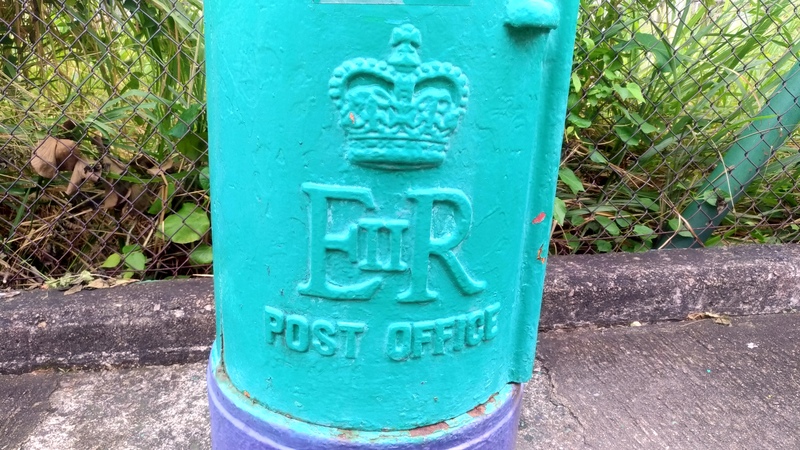 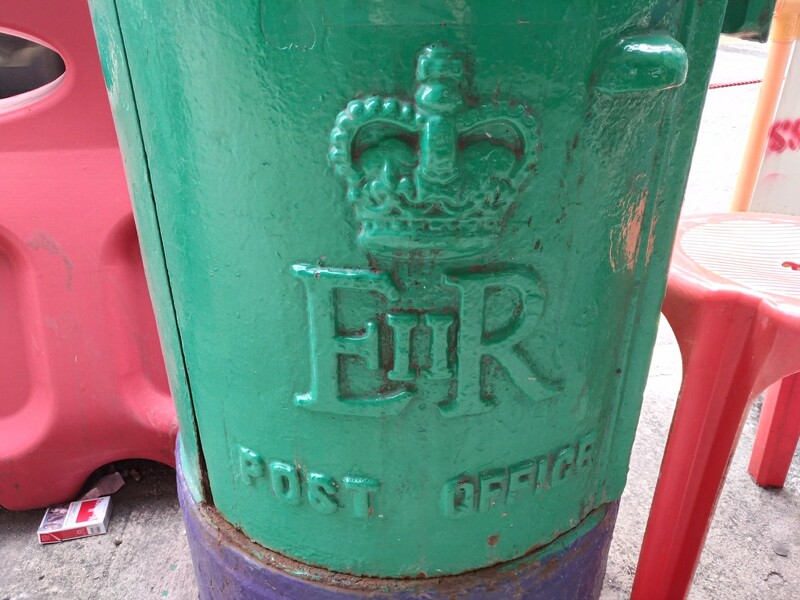 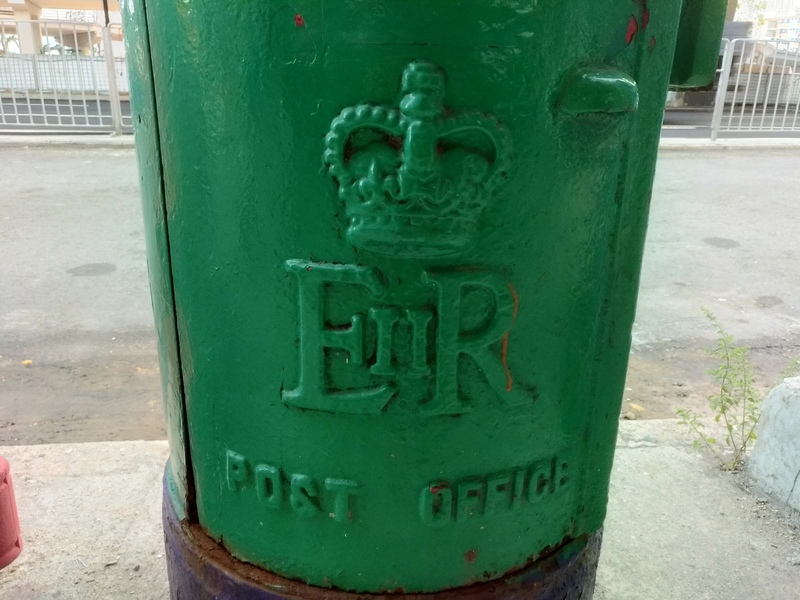 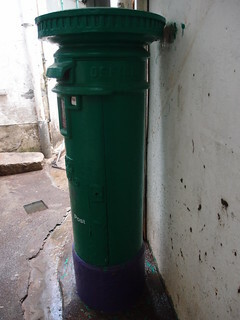 I had an opportunity to visit this postbox yesterday and noticed a fairly large piece of paint near its bottom had come off and, worryingly, the exposed area appeared to have rusted. 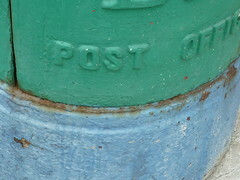 Seeing the rust now and given its occurrence not far from the spot of last year’s problem, I am worried the box may be afflicted with rust underneath the paint and would suggest some immediate action for it. 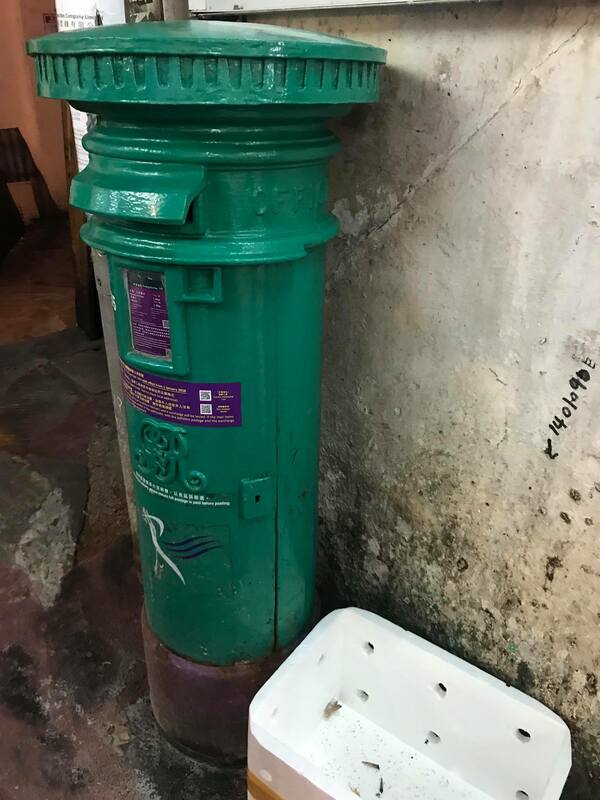 I hope this email finds you well. 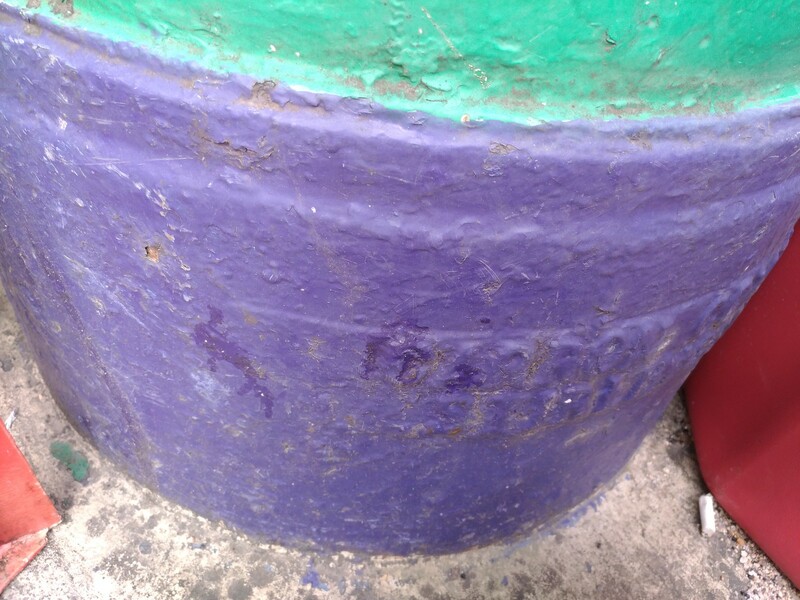 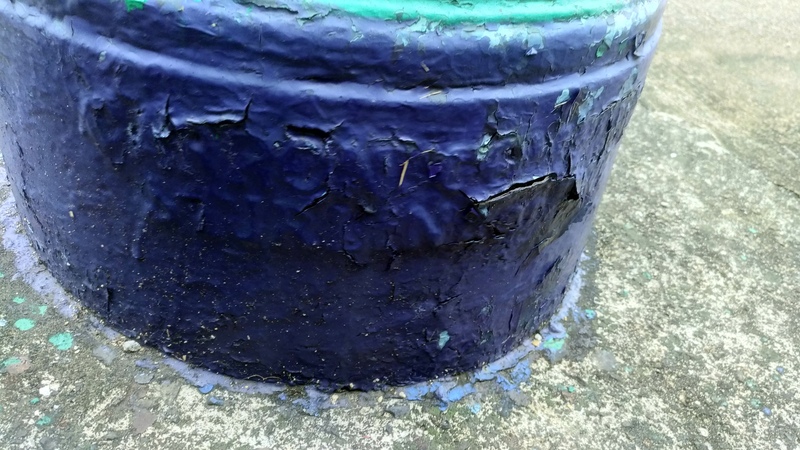 I just received two photos (attached for your reference) of the captioned box, which show clusters of peeling paint on its lower part, I think perhaps some attention is warranted. 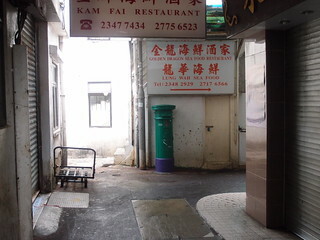 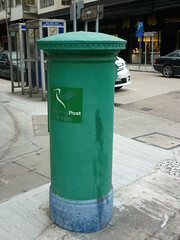 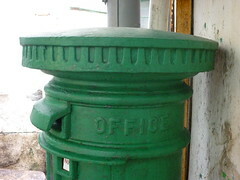 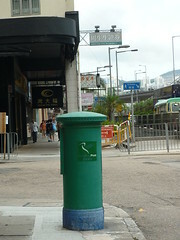 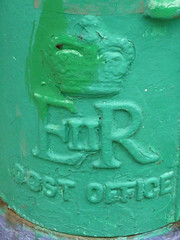 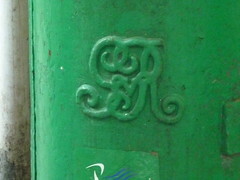 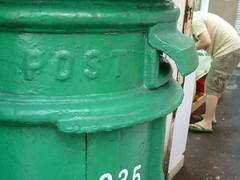 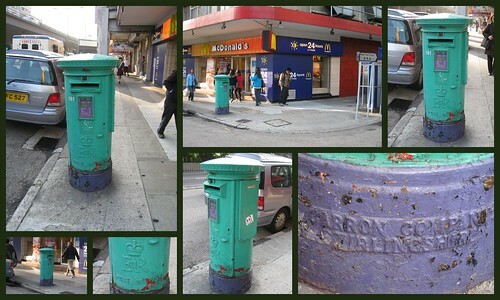 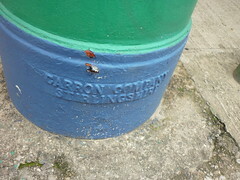 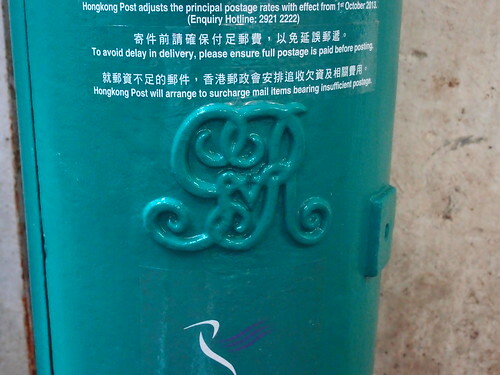 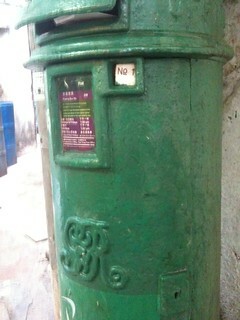 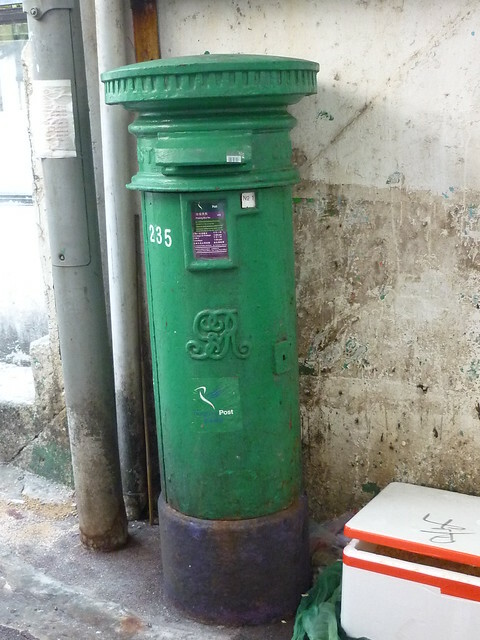 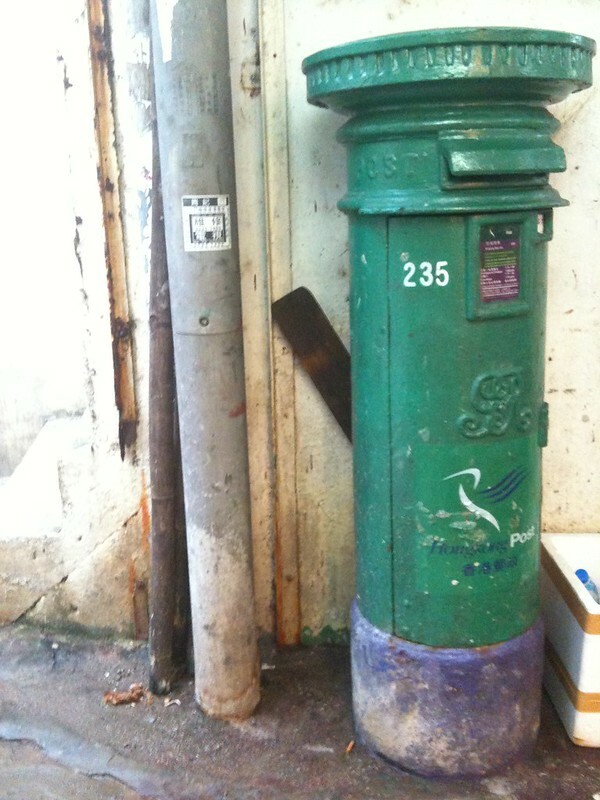 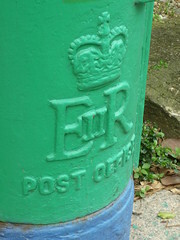 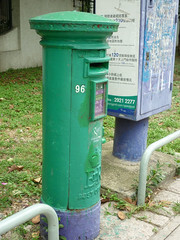 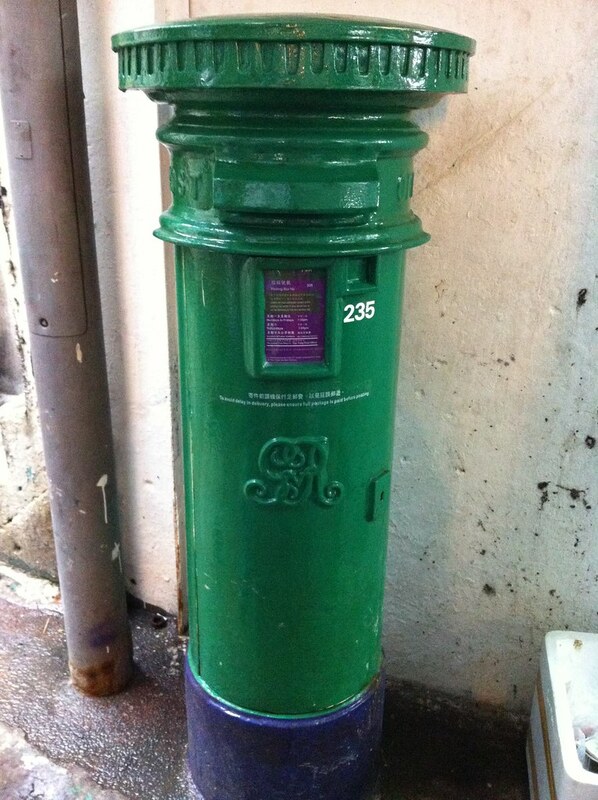 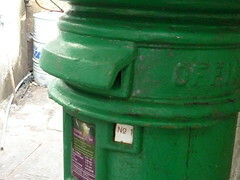 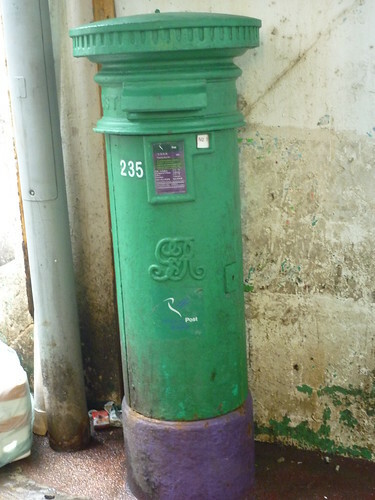 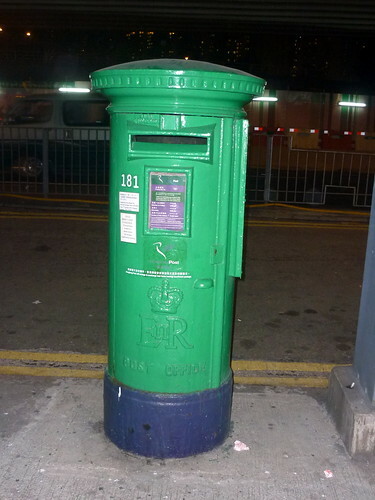 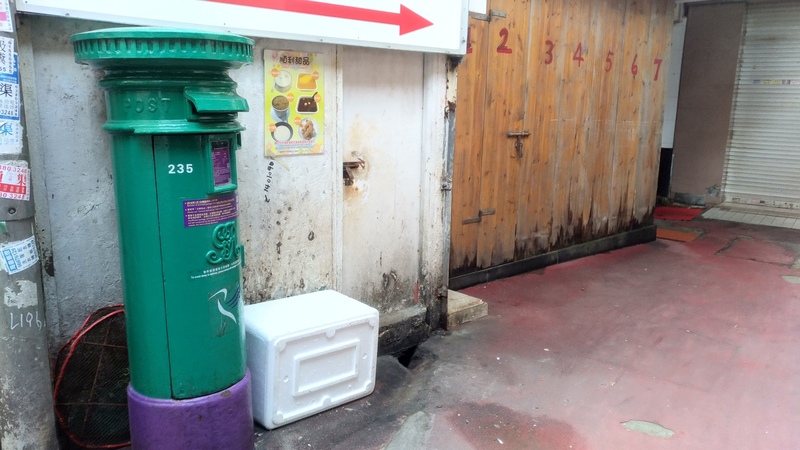 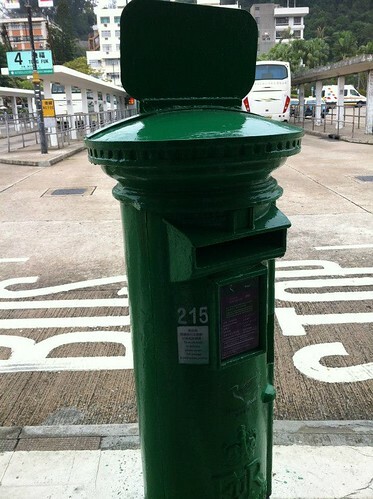 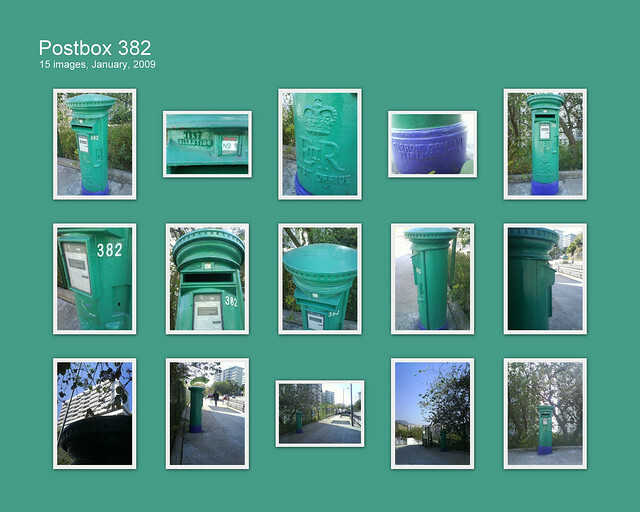 Thanks for bringing me to the attention of the deteriorating condition of posting box 219 at Mui Wo Ferry Pier, Lantau. 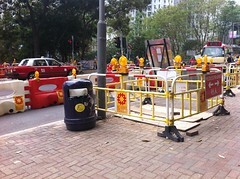 My colleague Ms. Candy Fung, Manager(Network) will follow up on this. 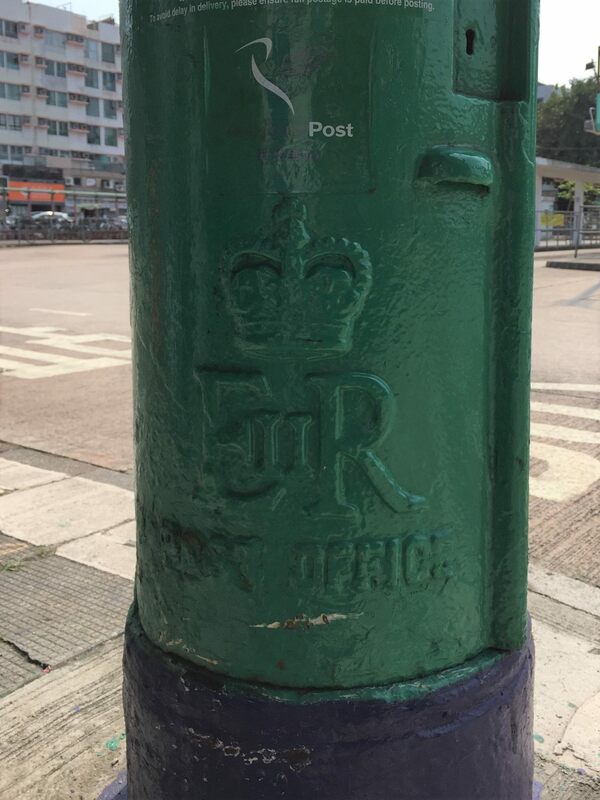 She will keep you informed of the status in due course.